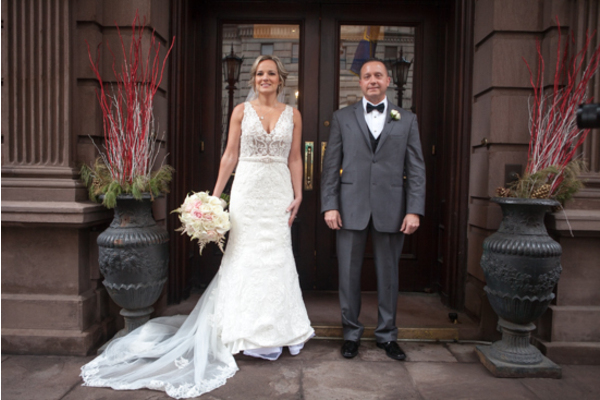 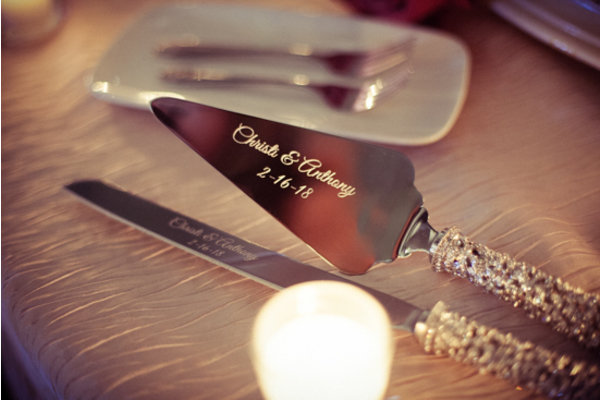 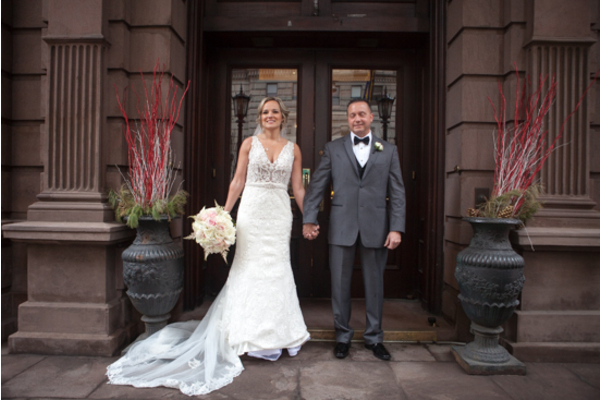 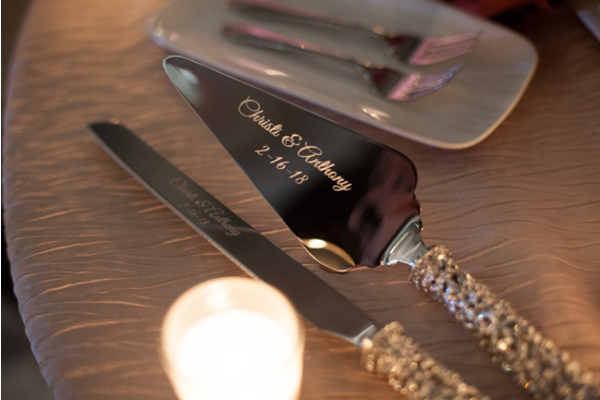 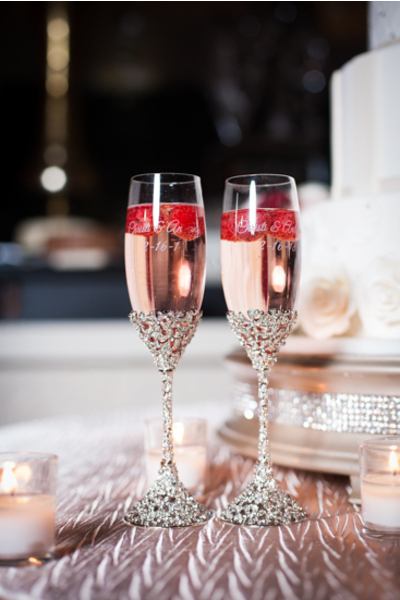 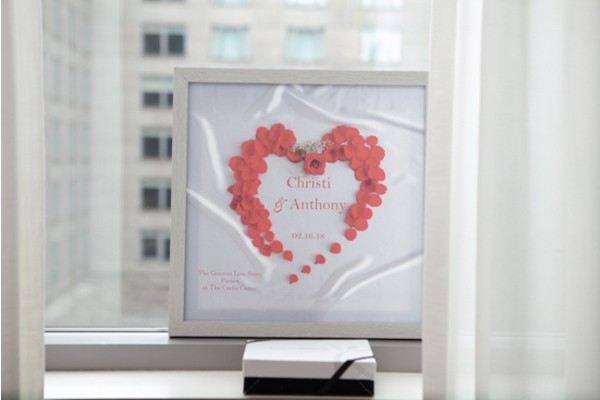 Congratulations to Christi and Anthony on their recent marriage! 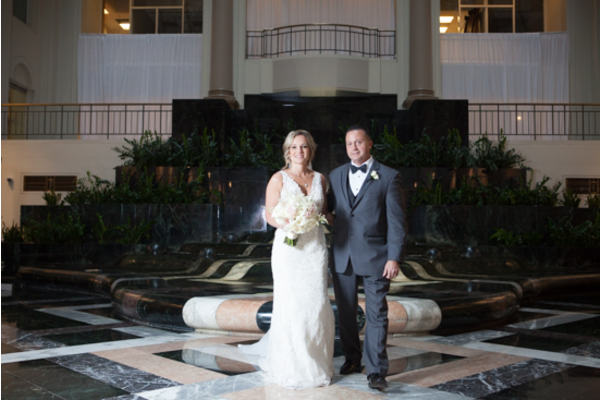 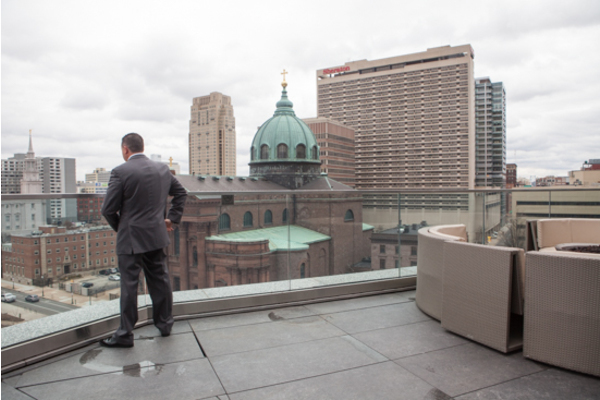 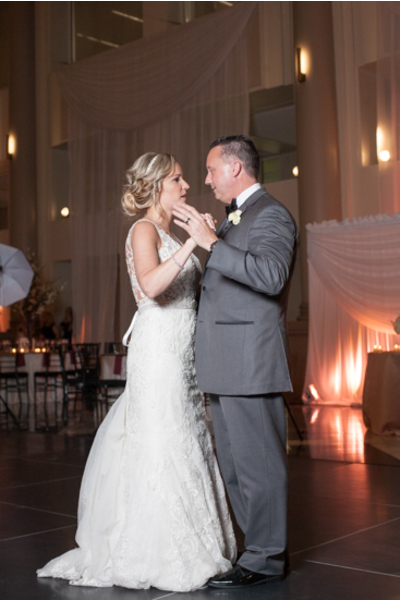 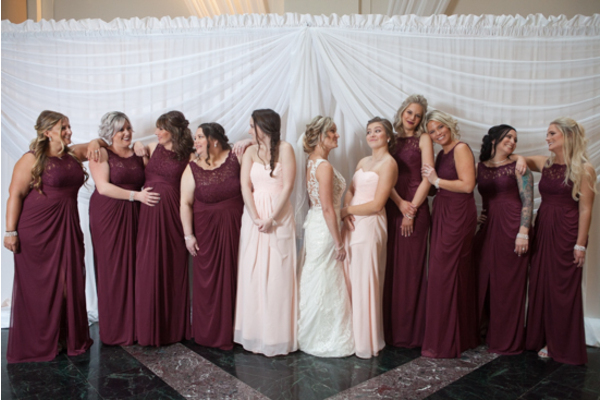 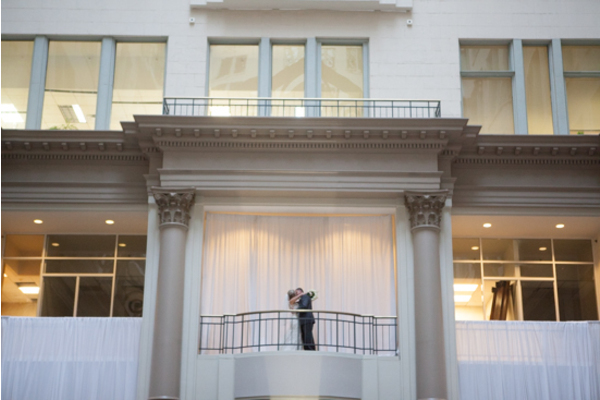 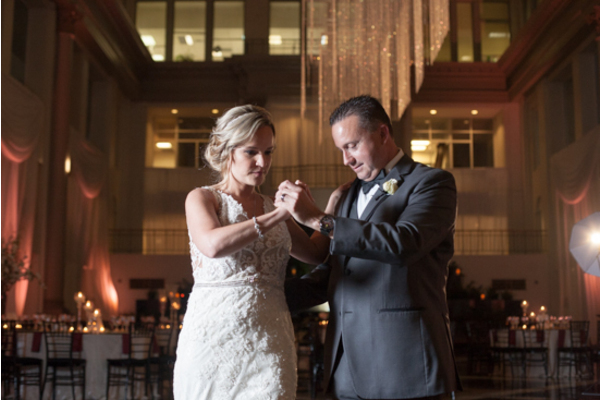 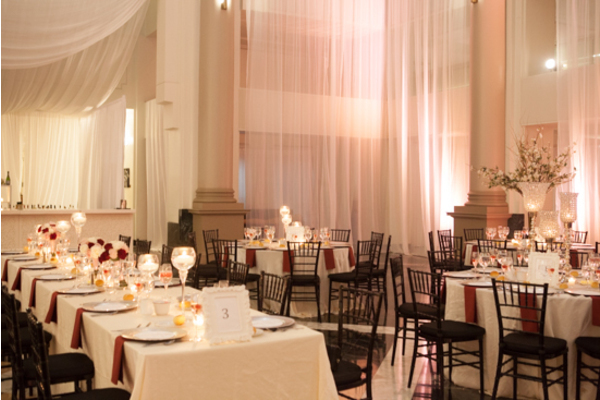 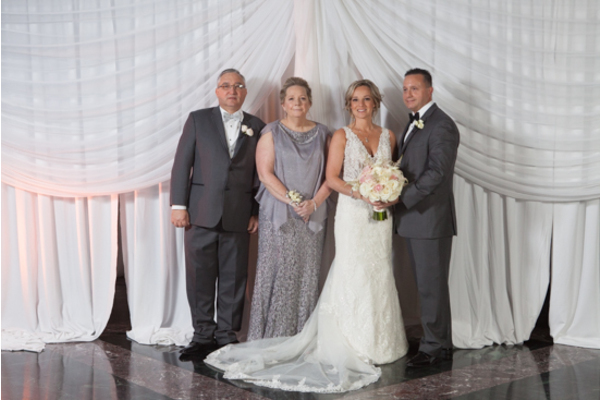 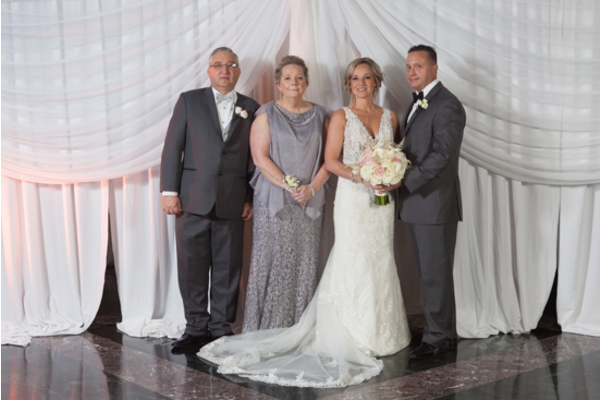 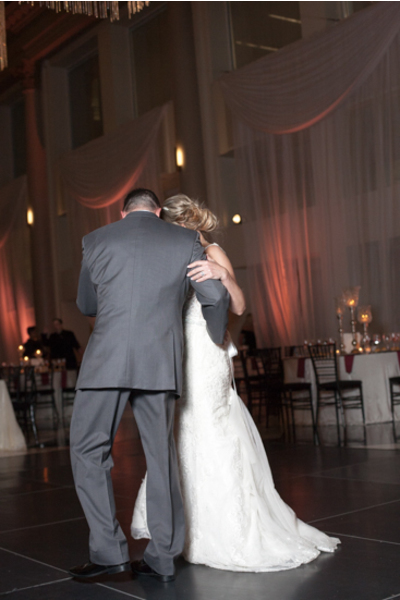 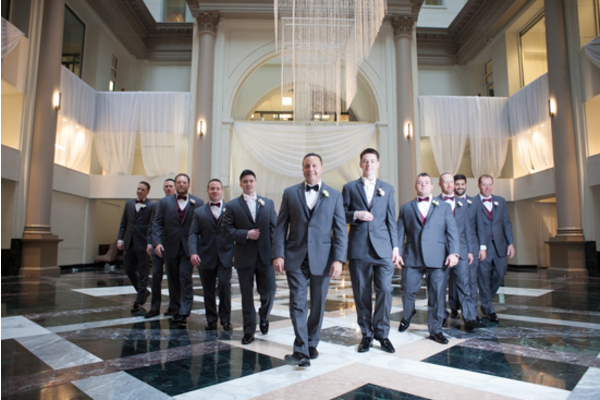 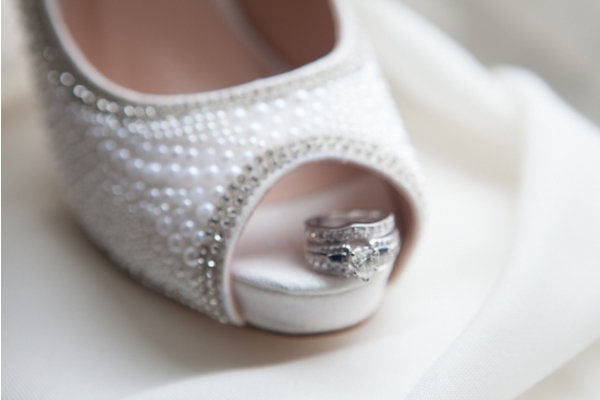 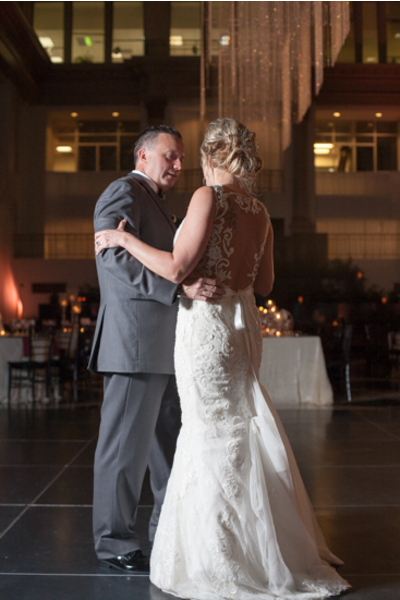 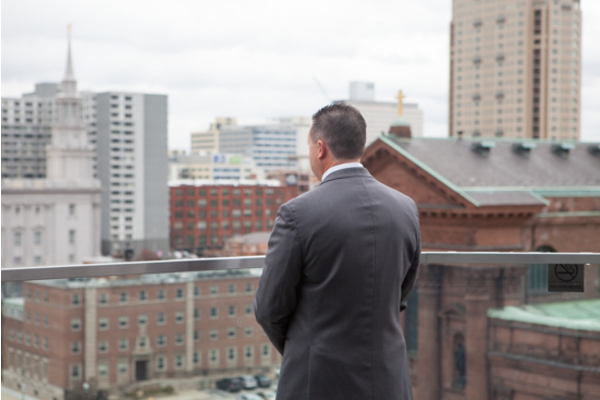 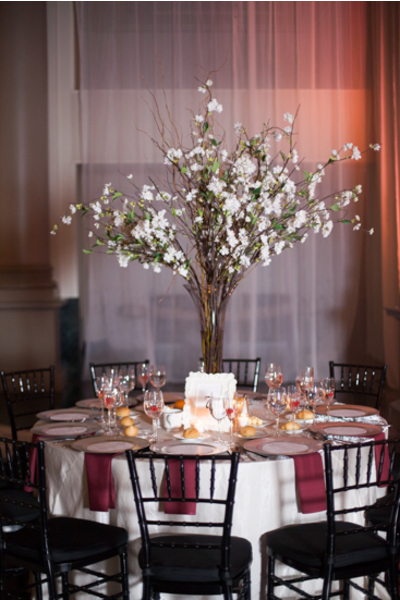 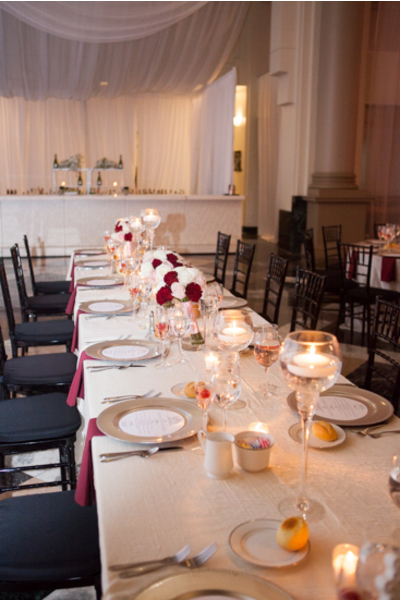 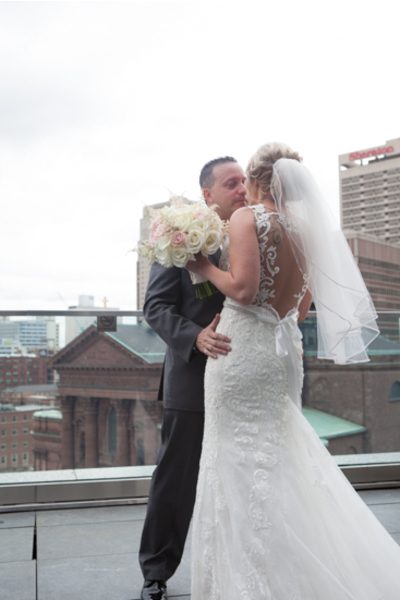 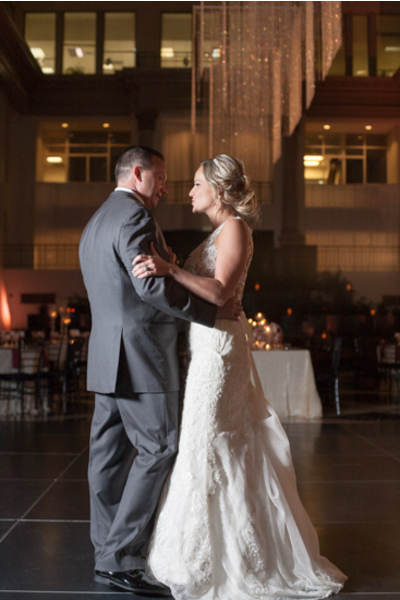 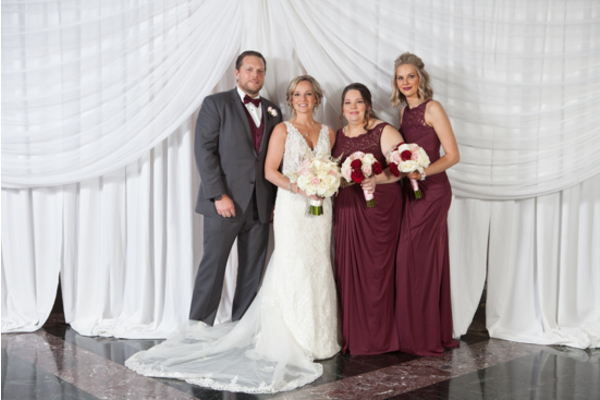 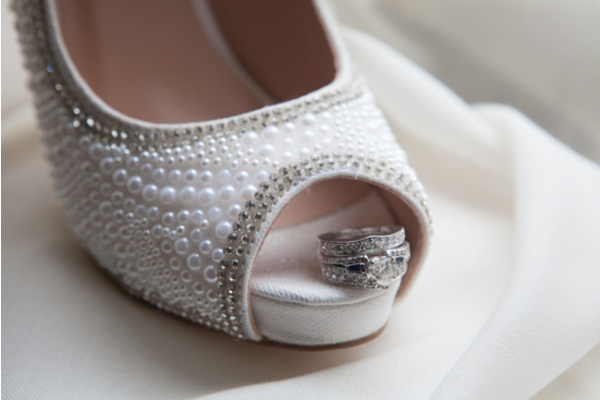 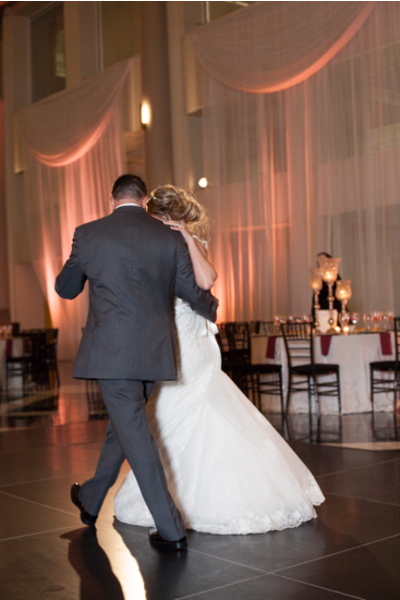 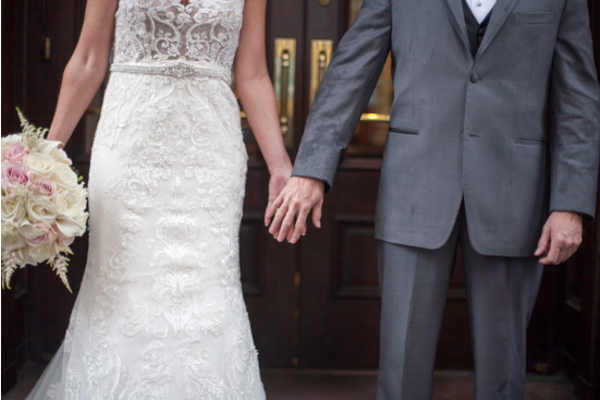 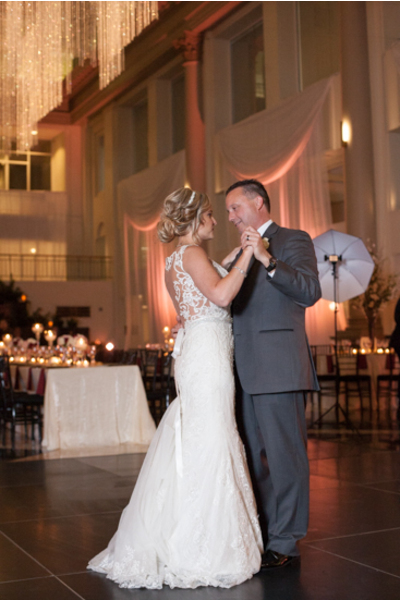 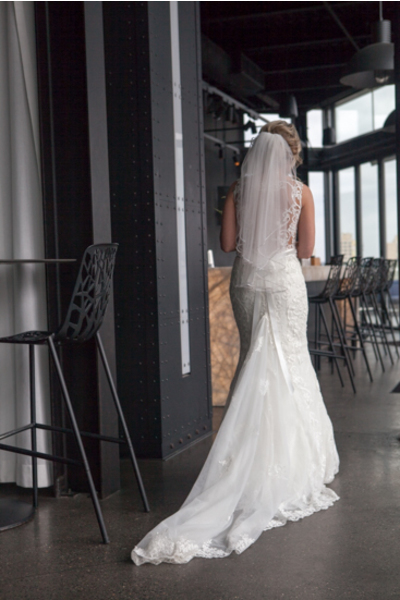 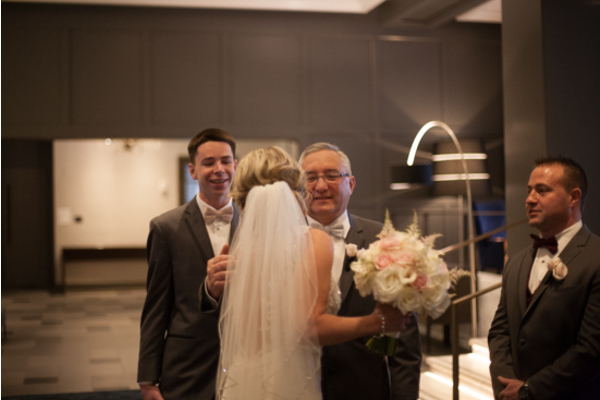 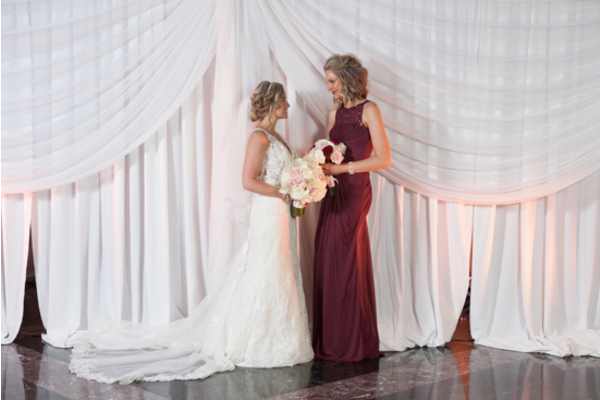 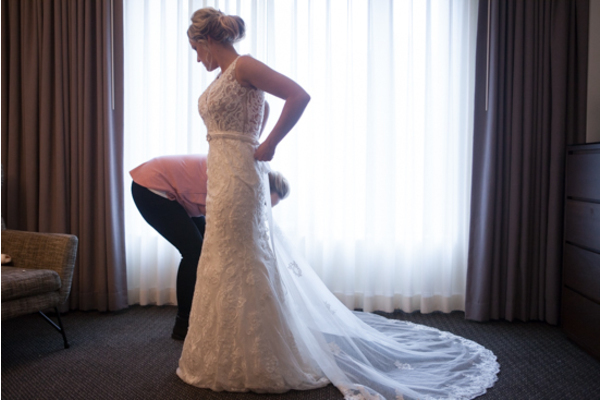 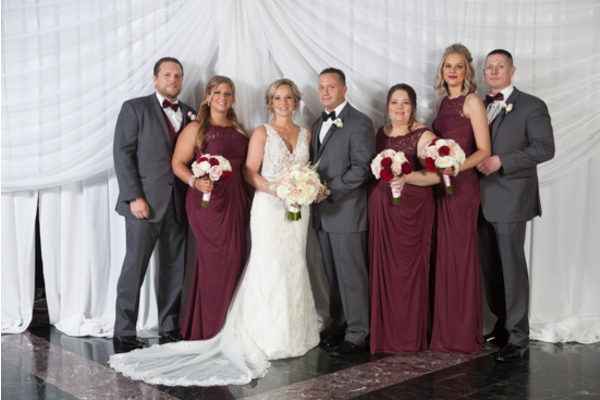 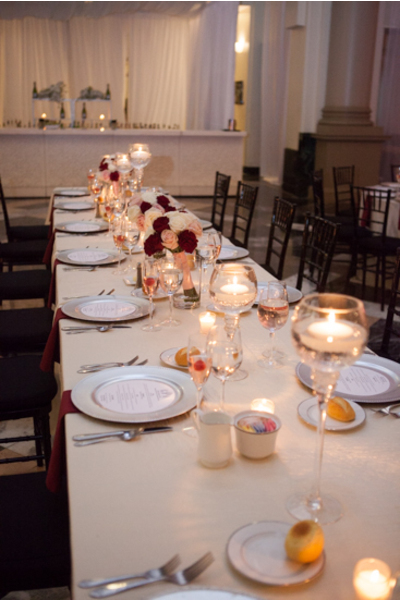 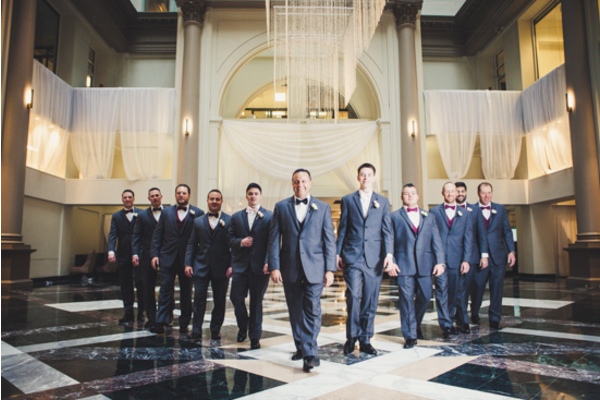 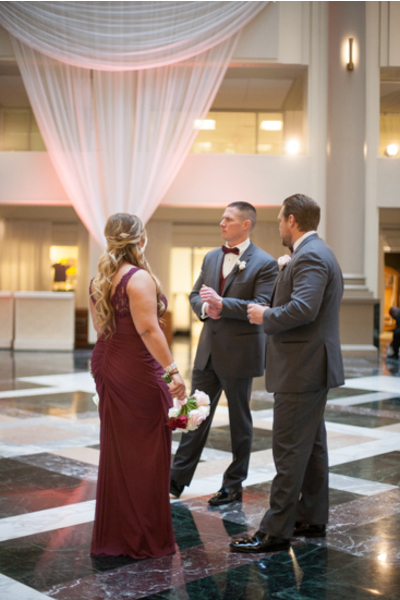 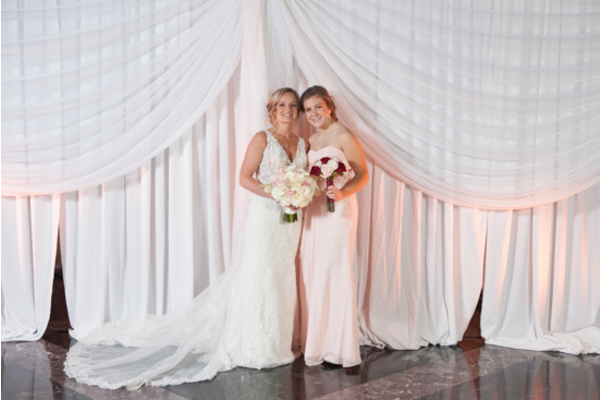 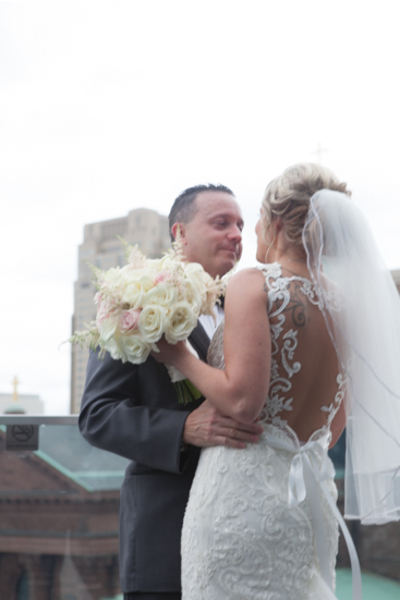 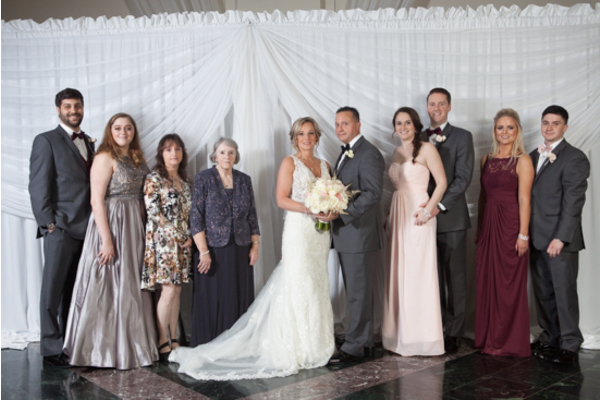 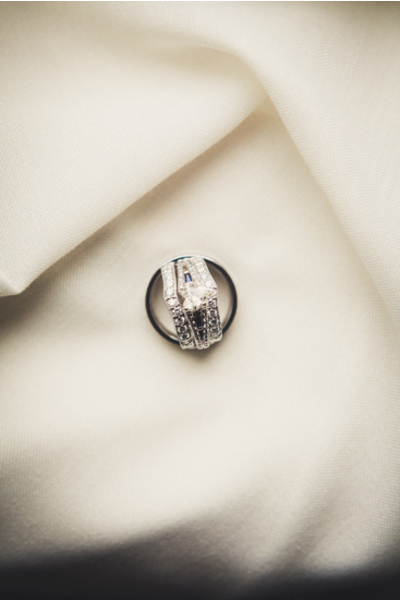 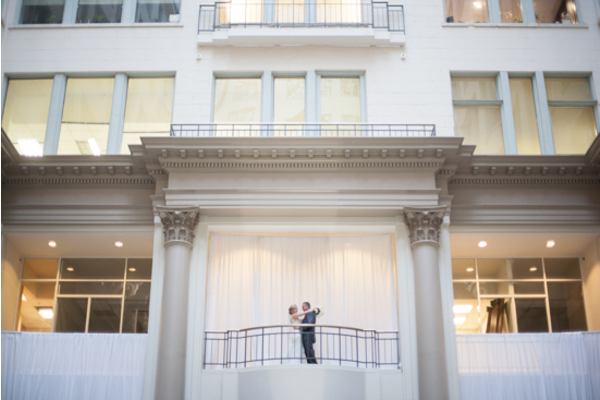 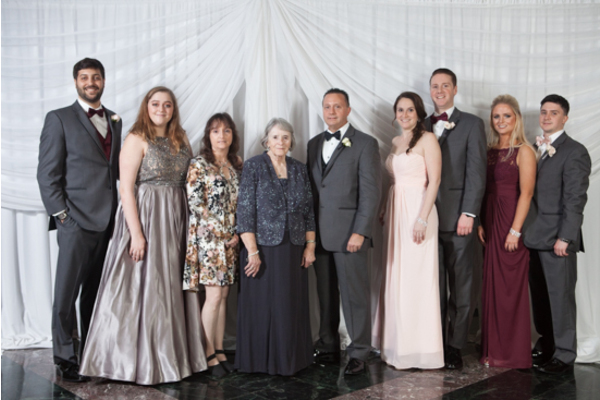 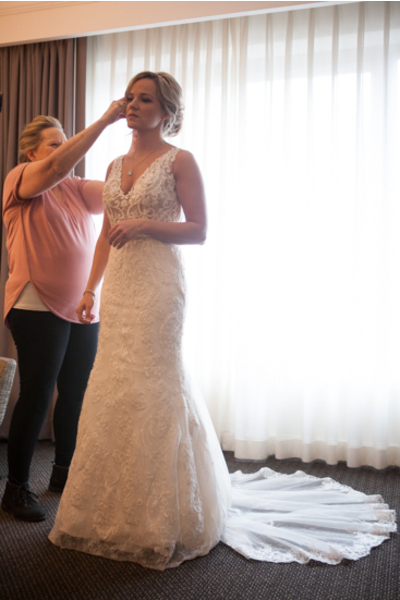 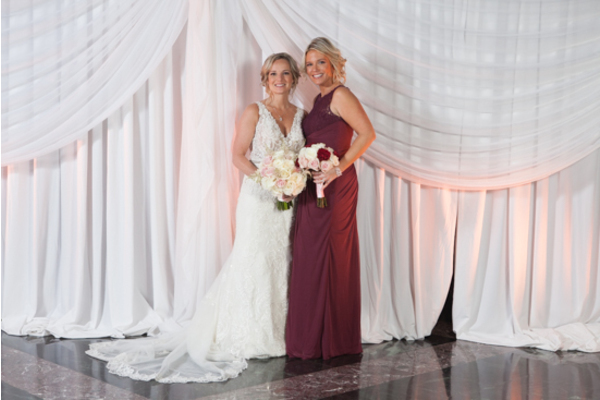 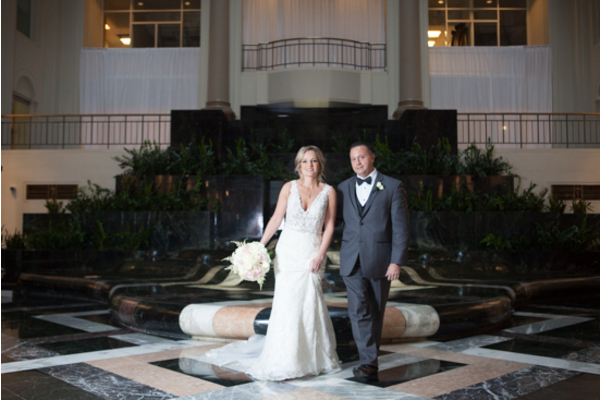 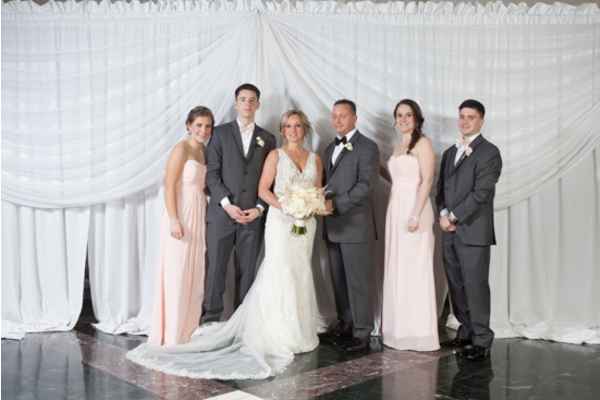 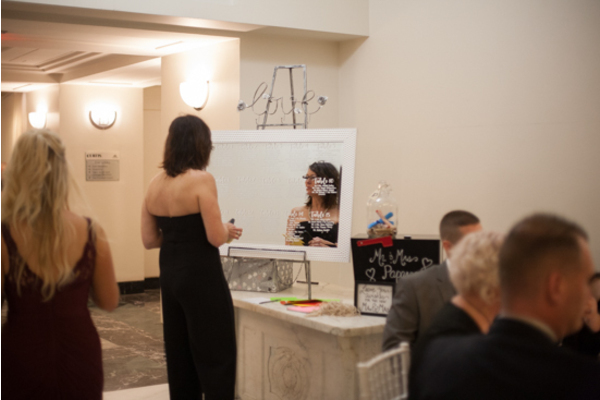 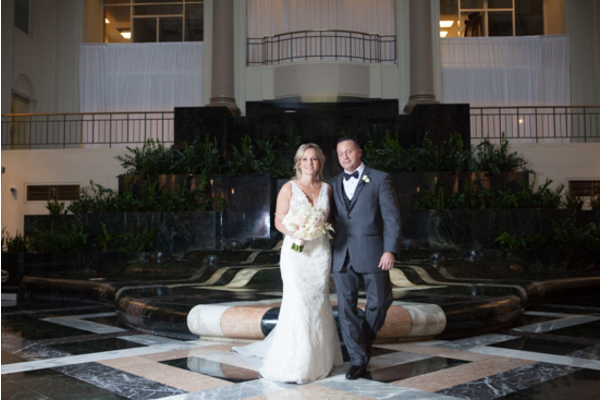 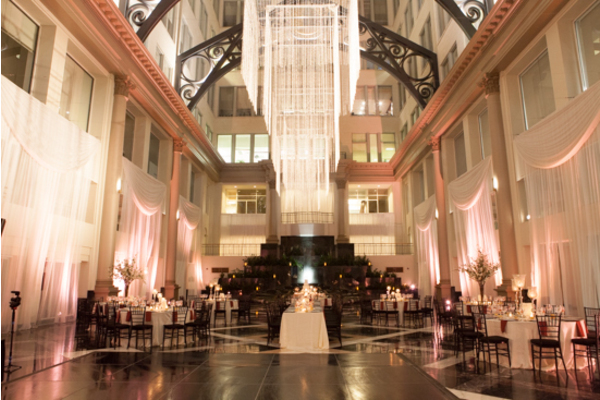 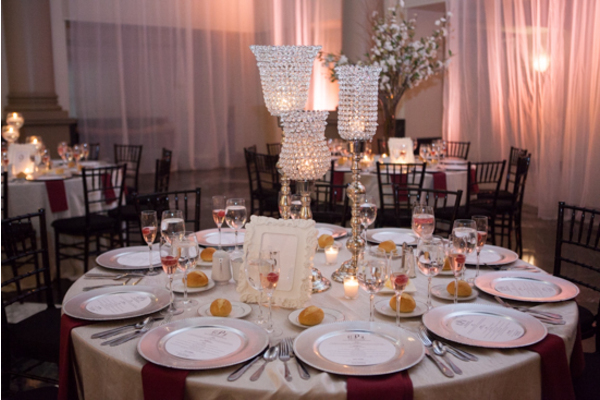 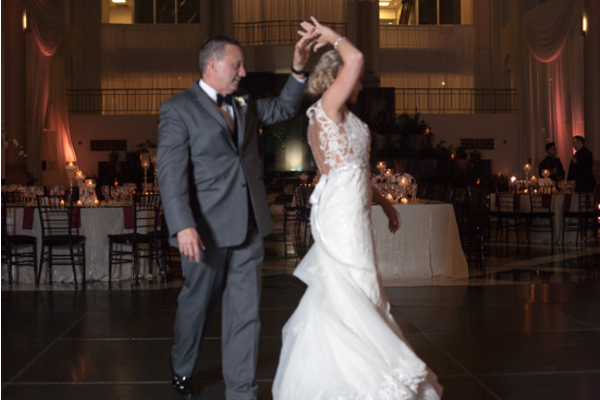 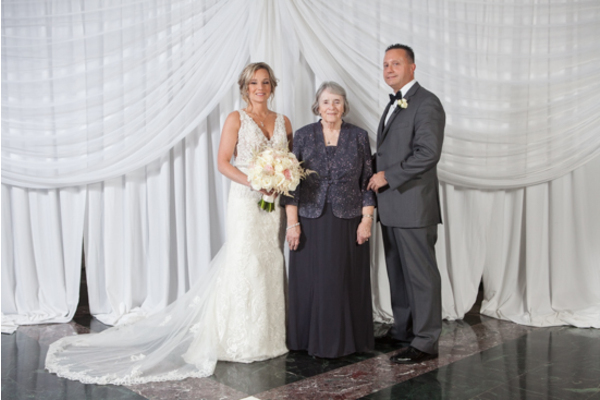 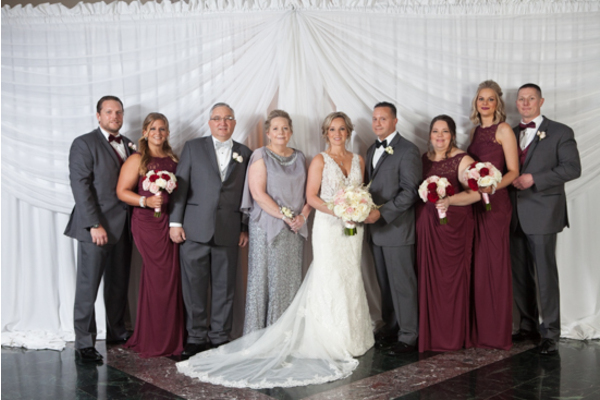 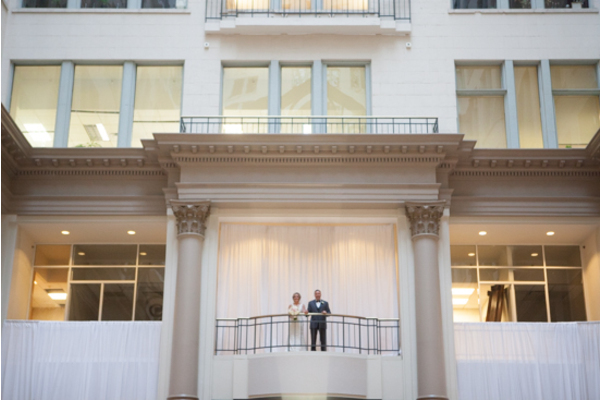 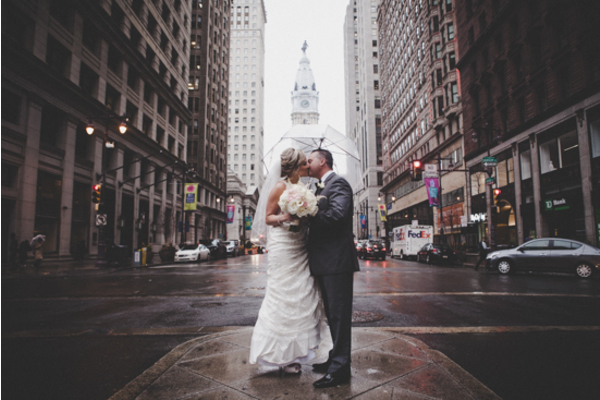 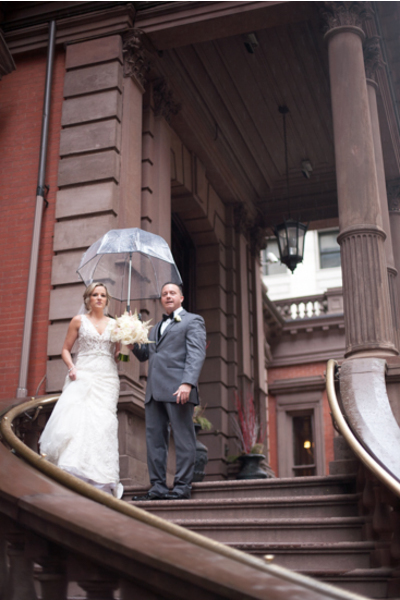 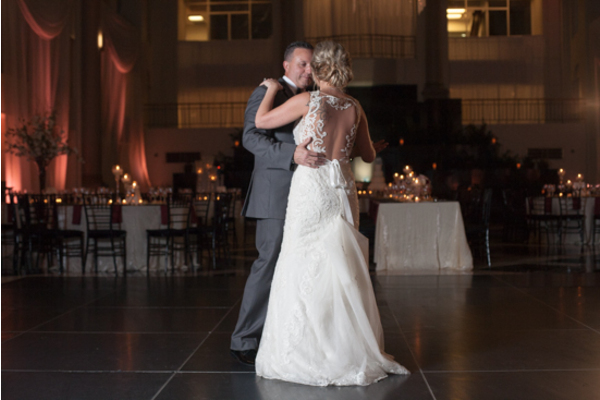 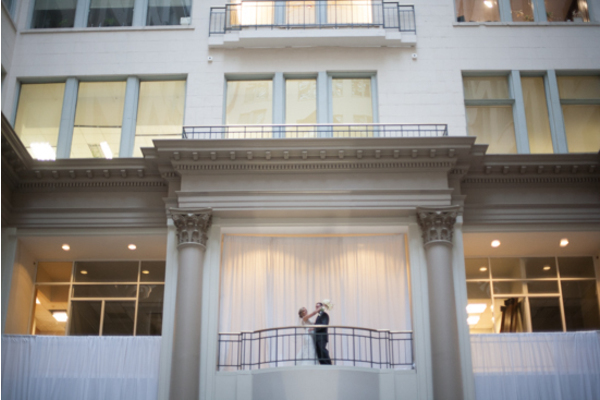 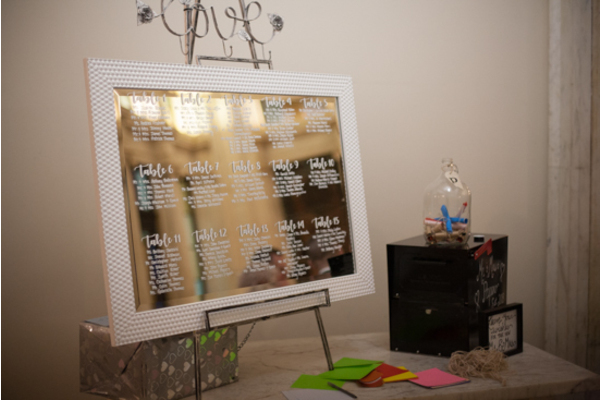 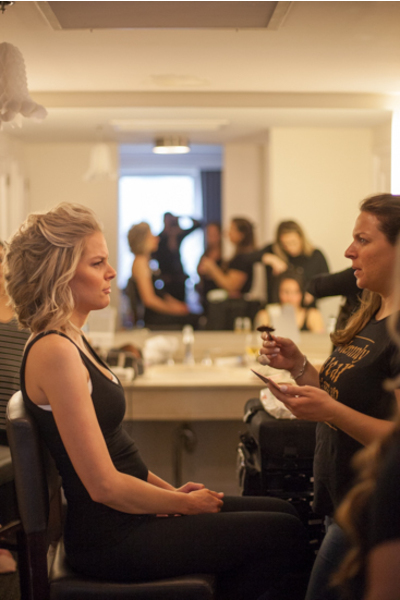 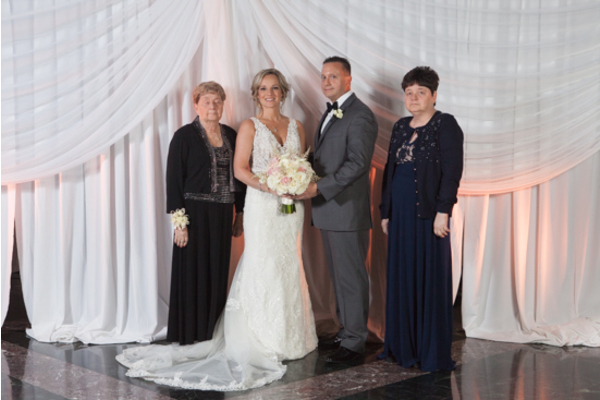 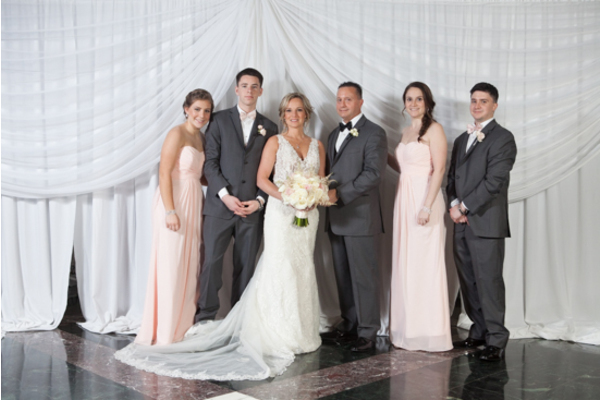 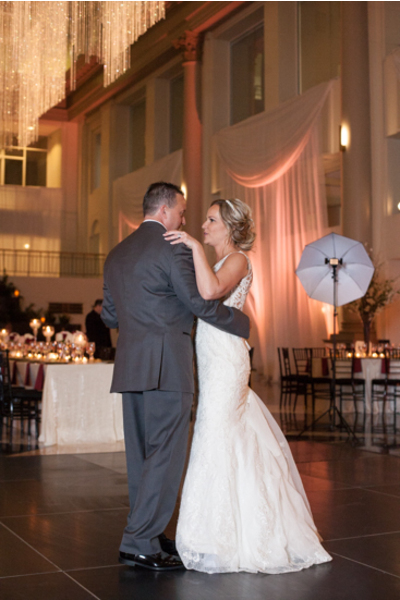 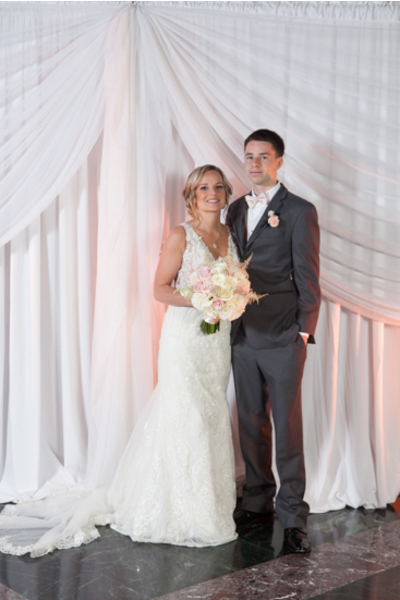 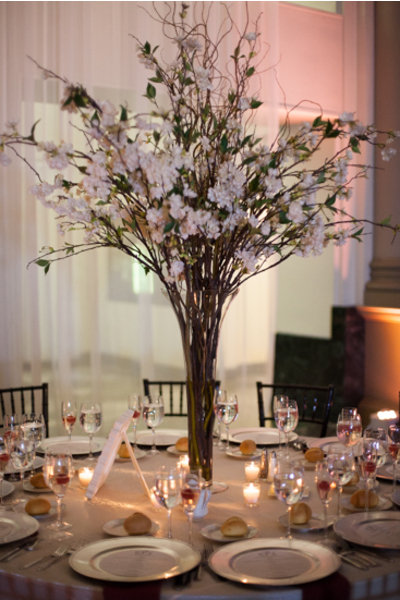 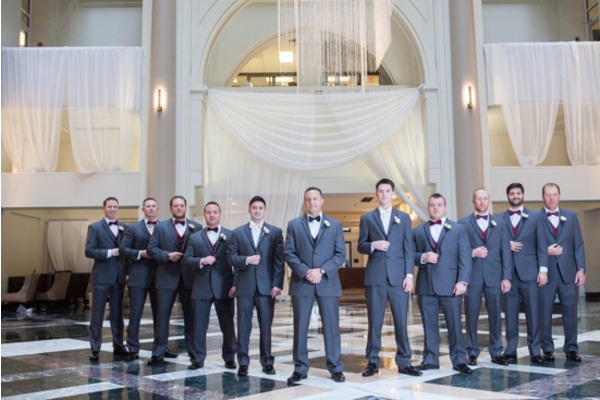 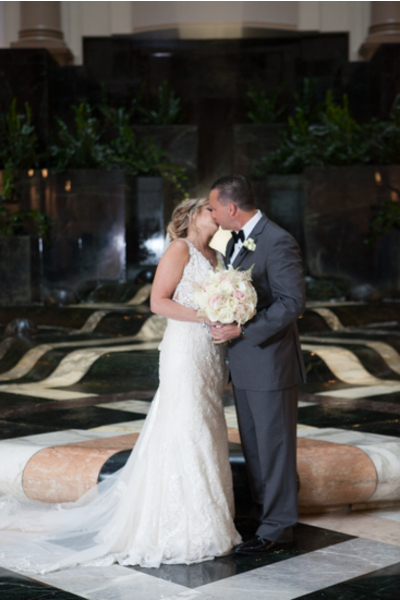 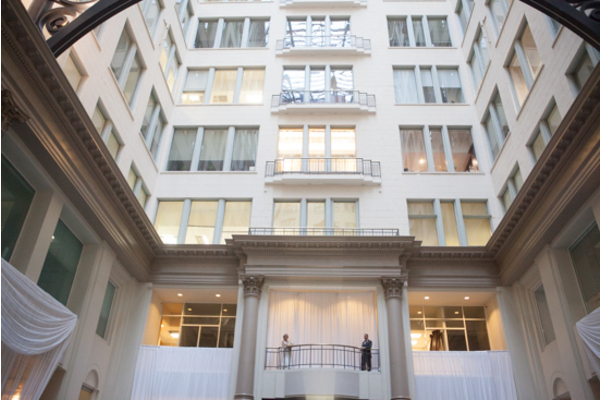 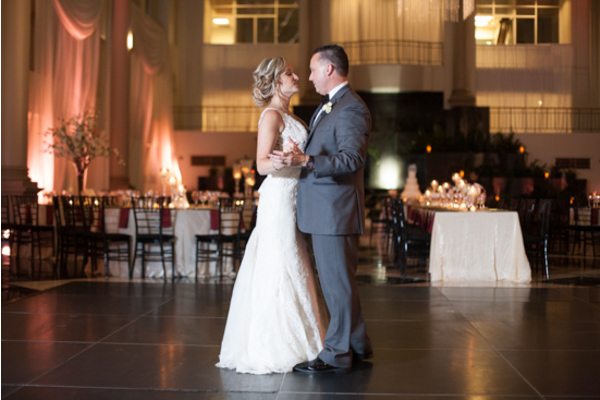 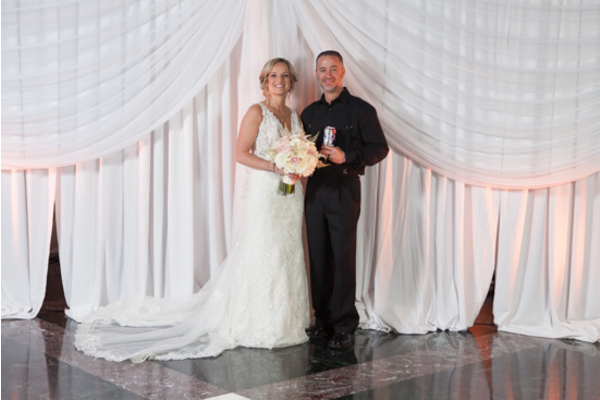 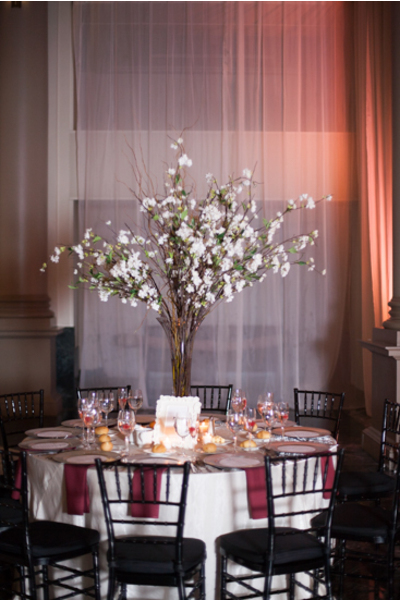 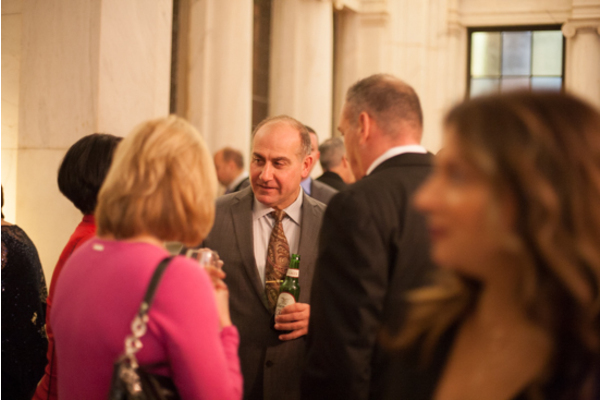 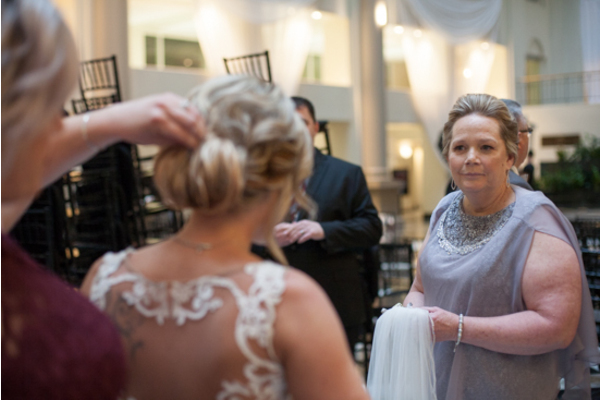 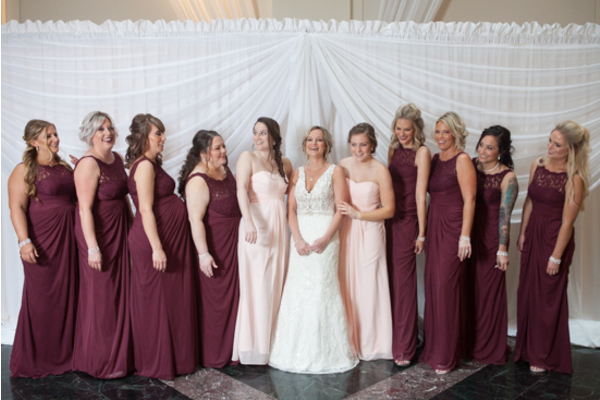 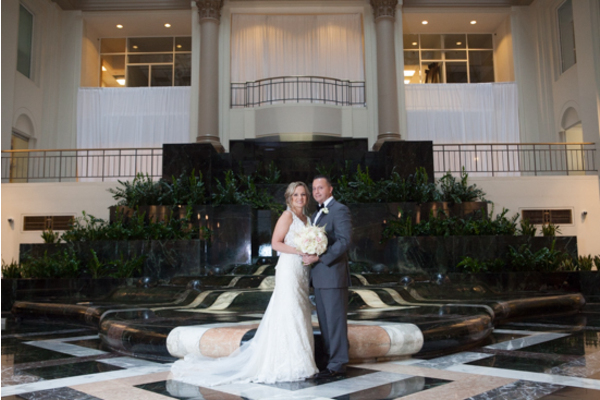 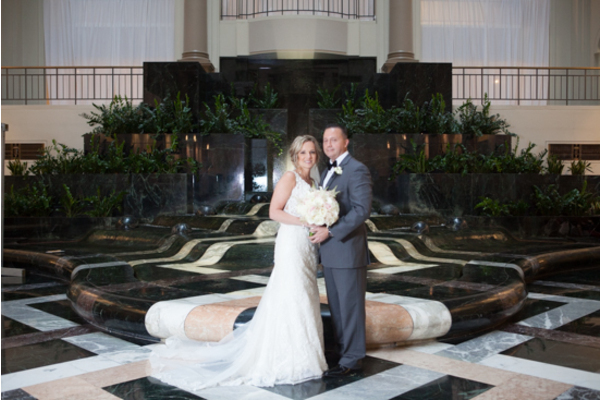 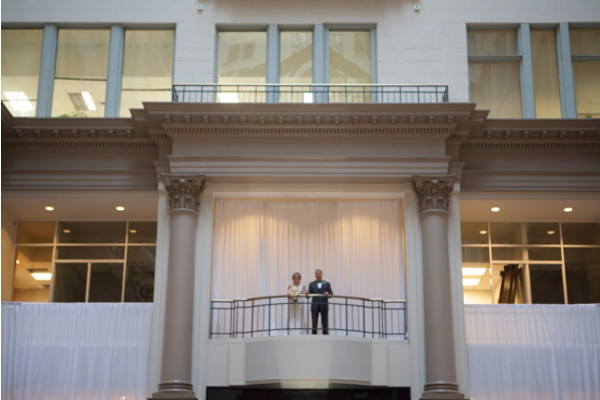 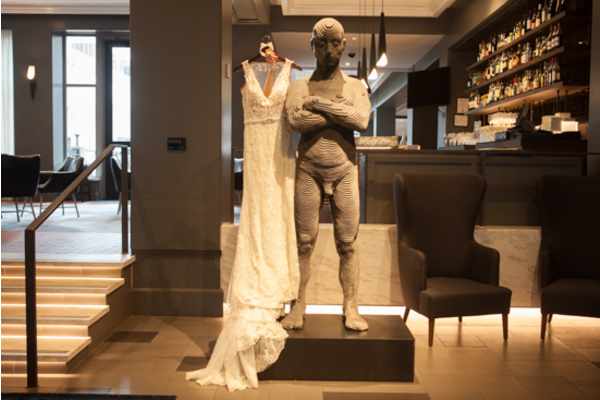 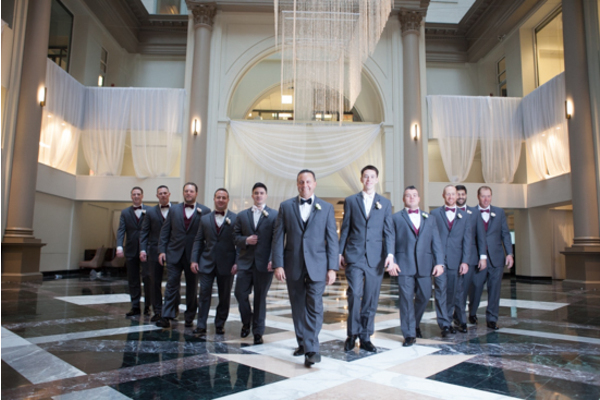 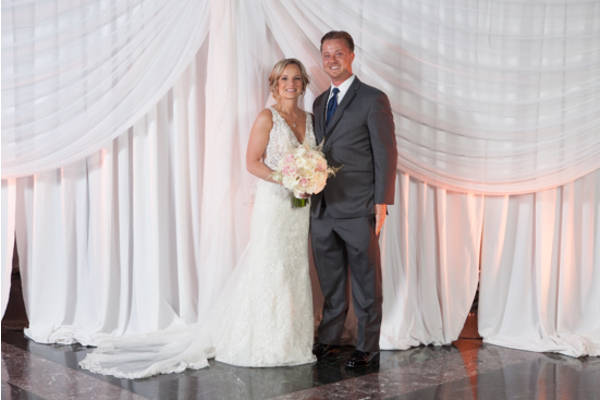 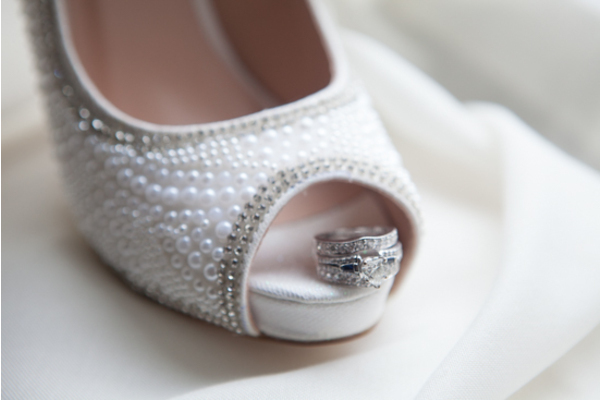 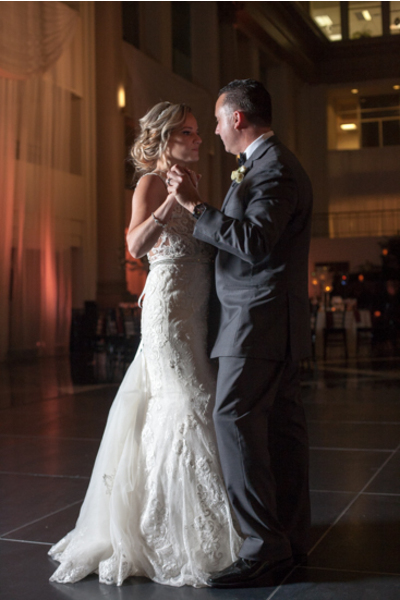 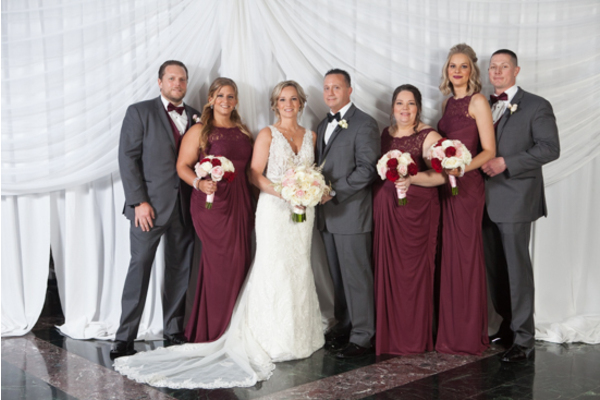 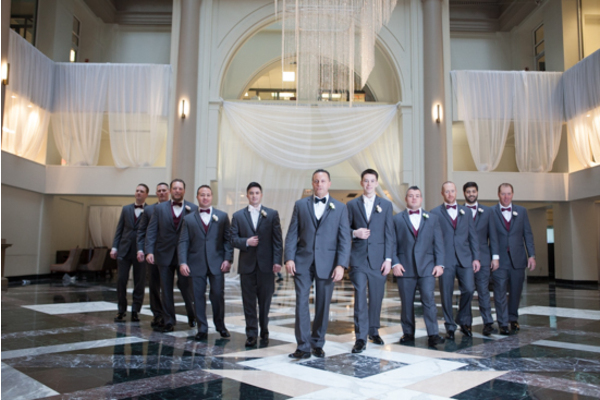 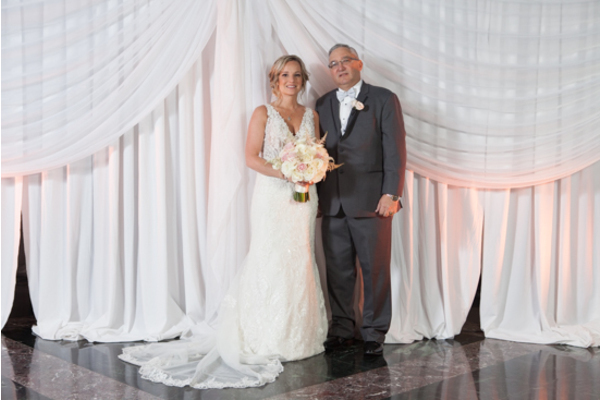 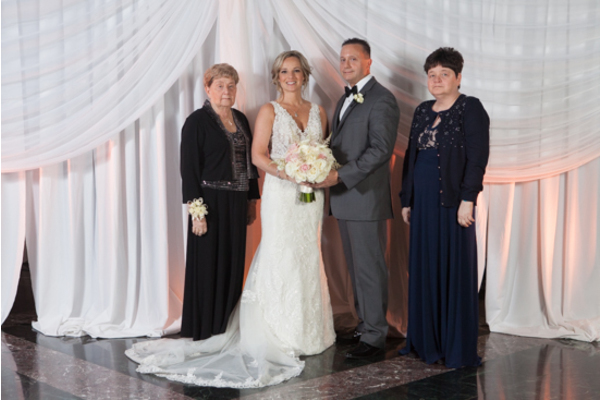 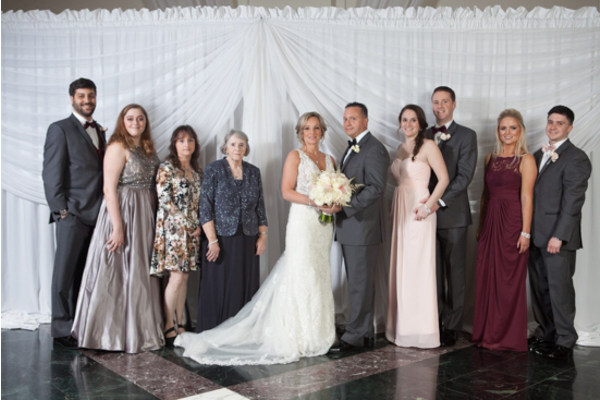 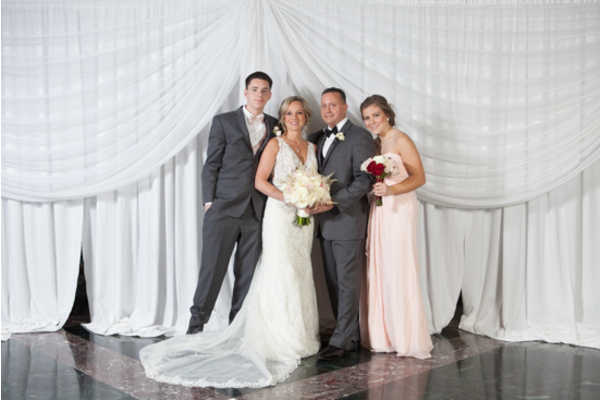 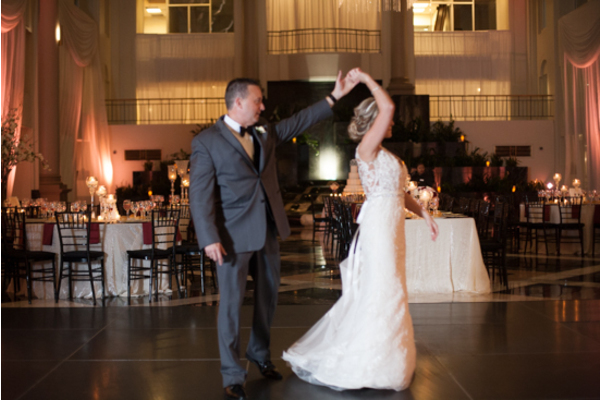 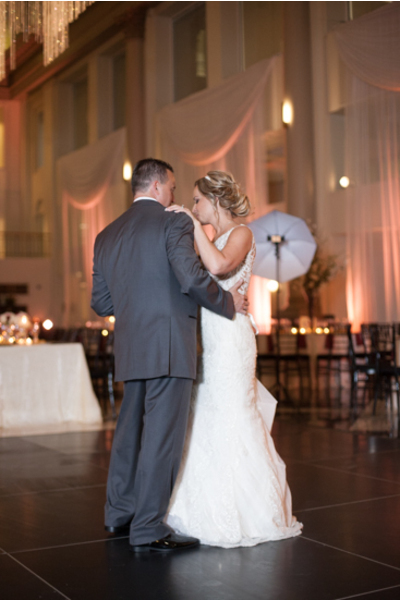 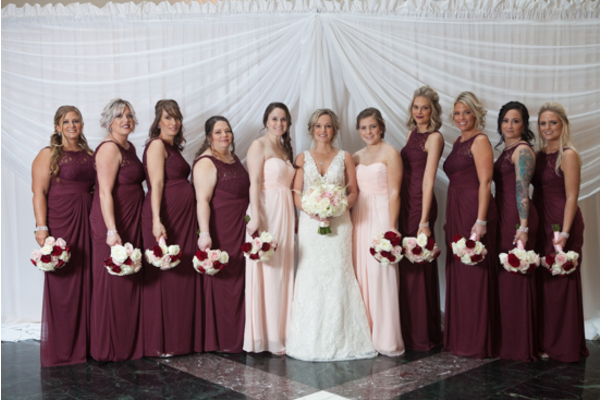 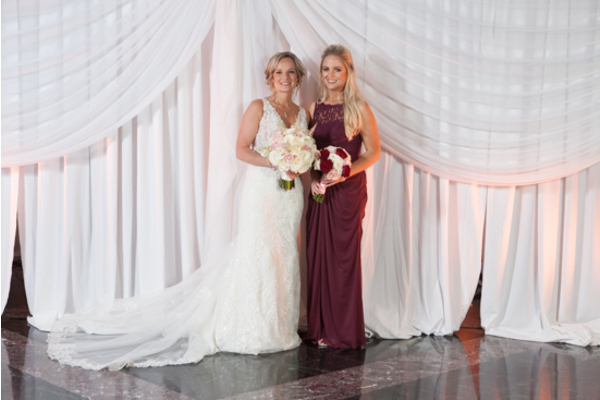 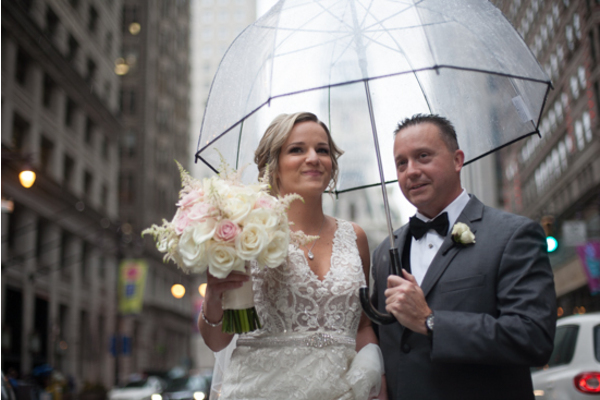 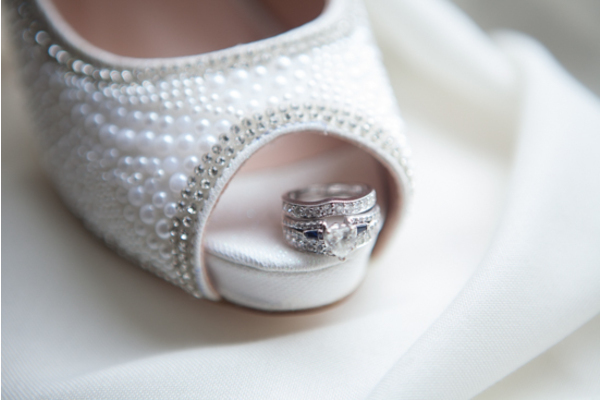 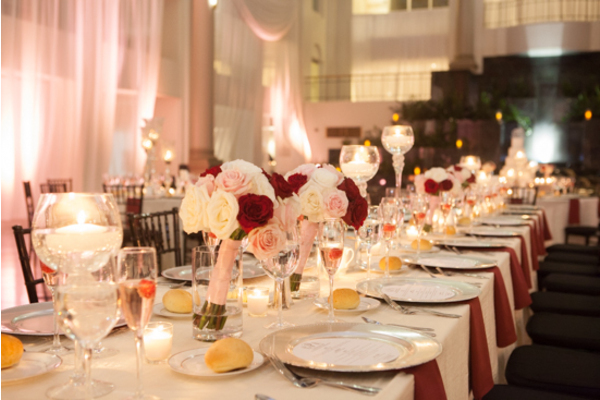 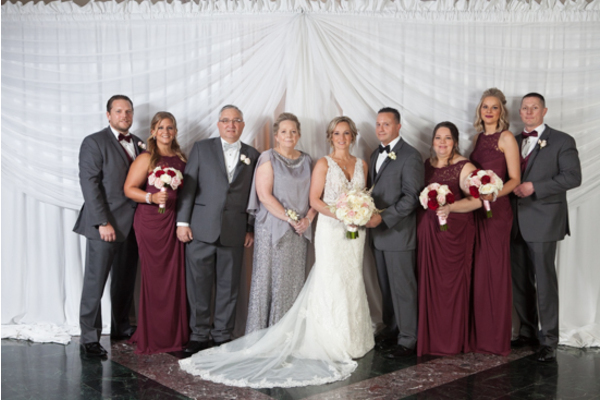 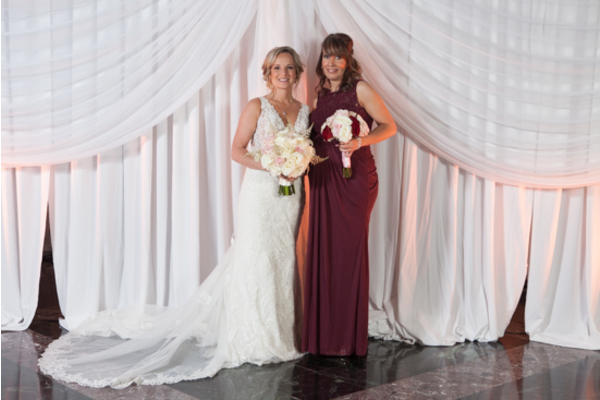 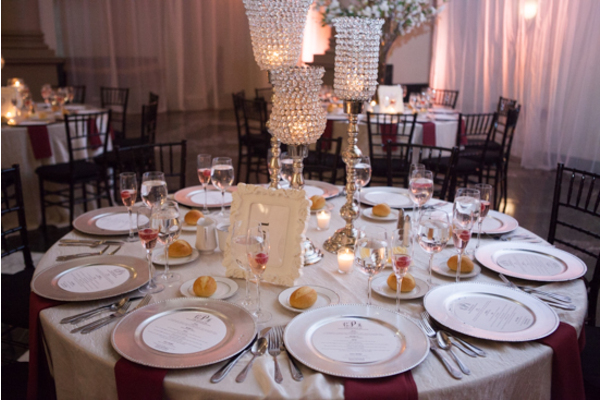 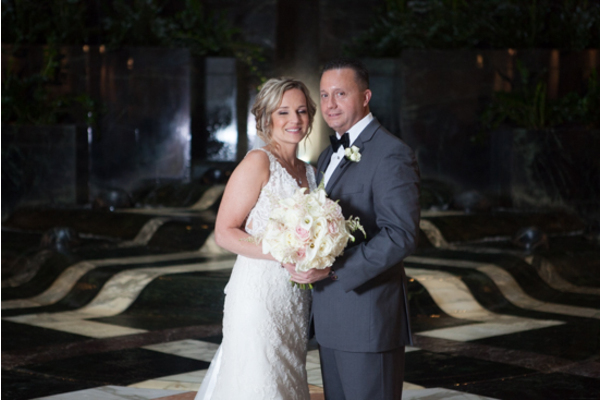 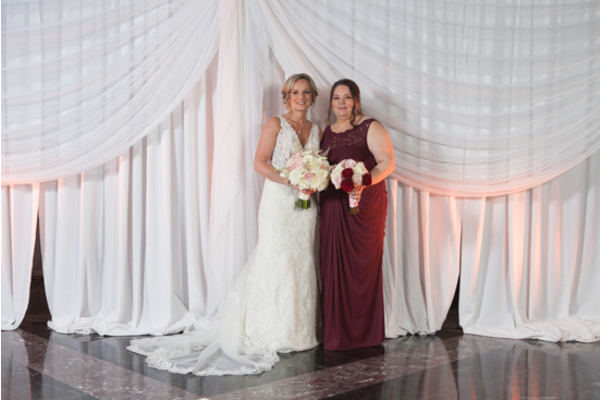 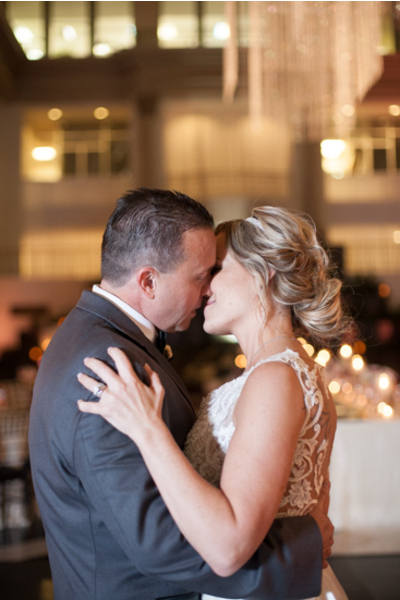 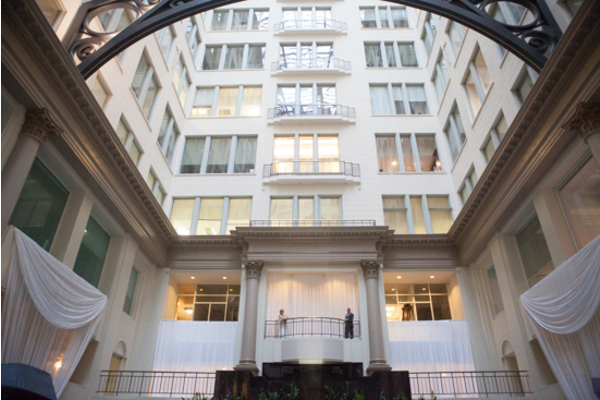 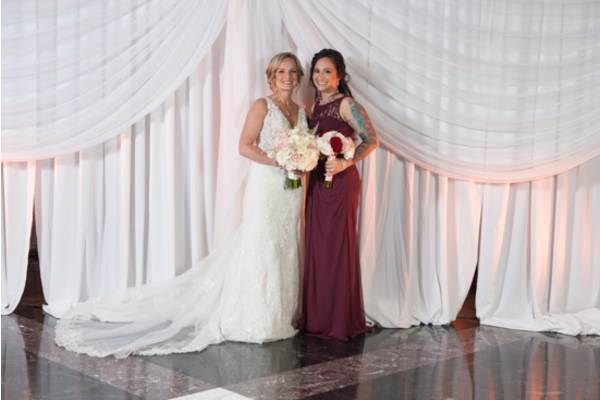 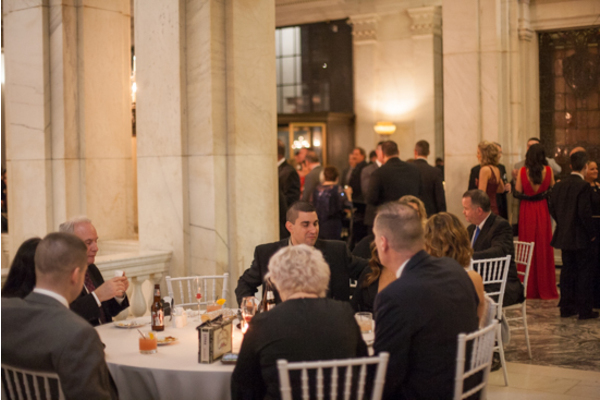 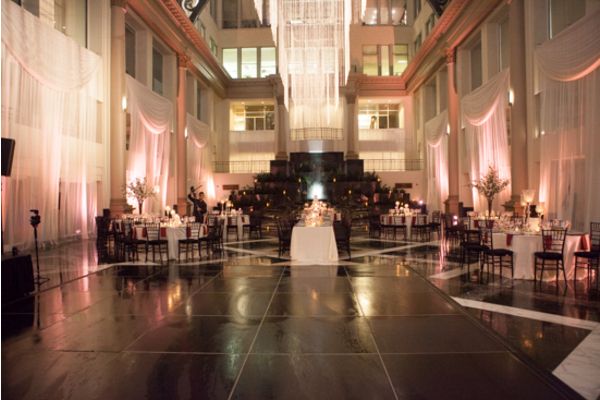 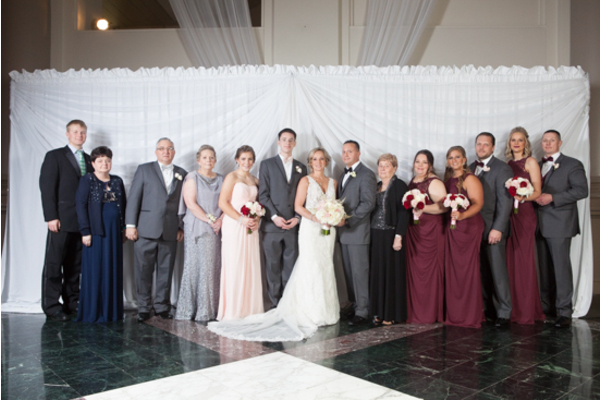 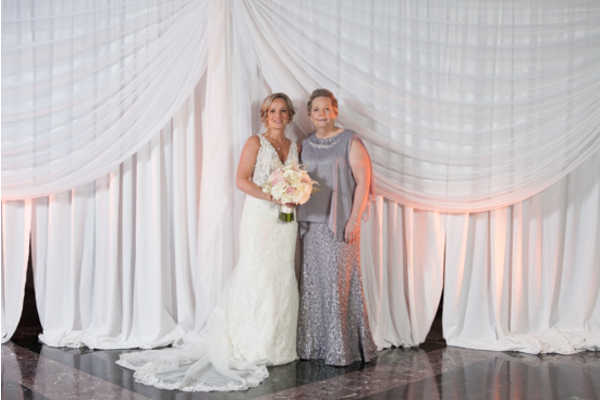 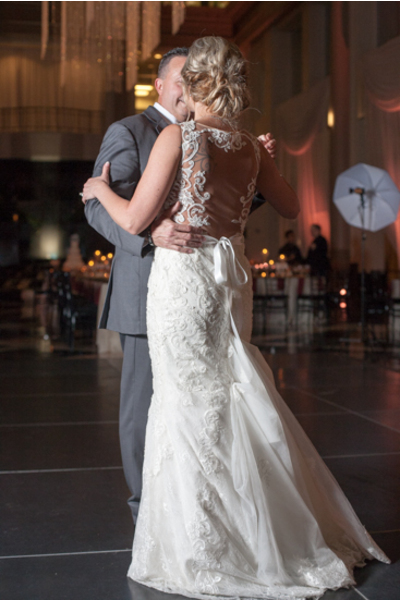 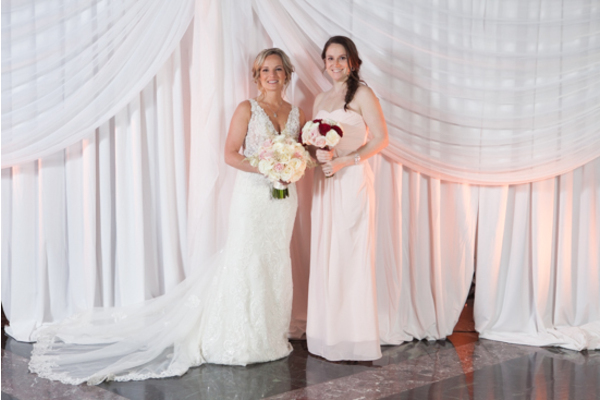 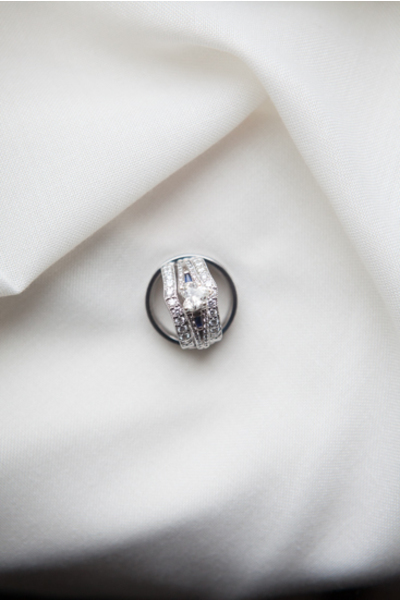 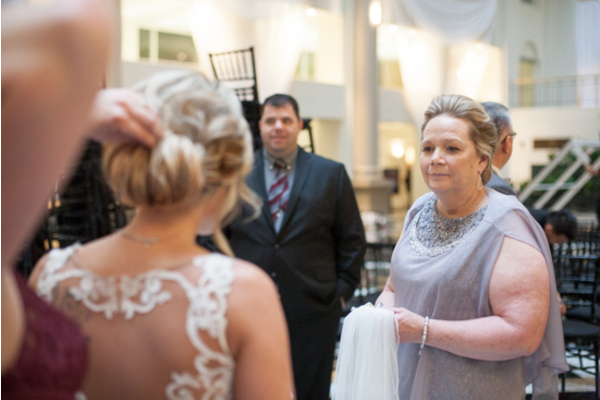 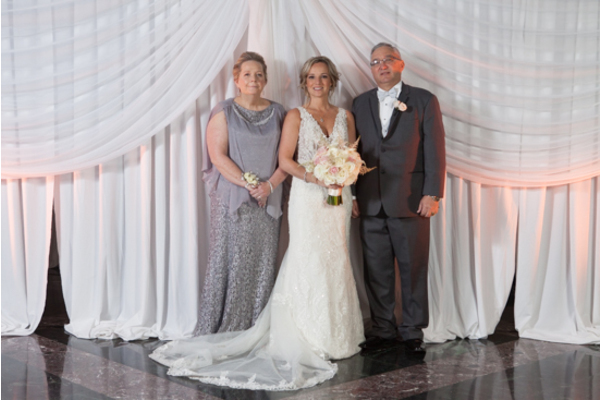 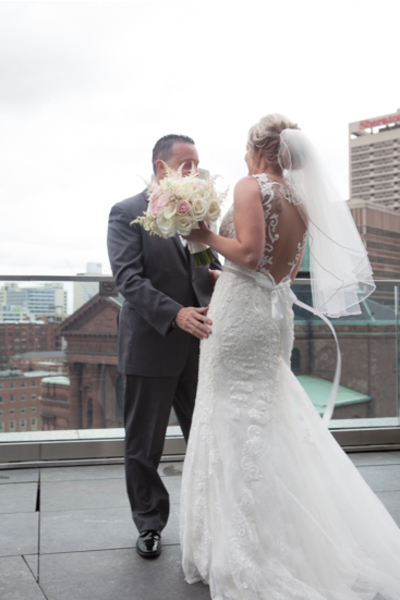 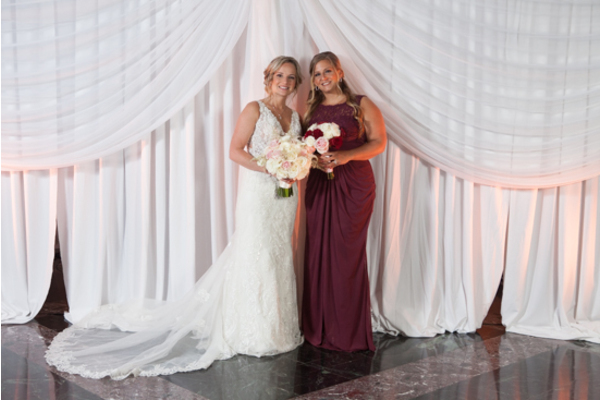 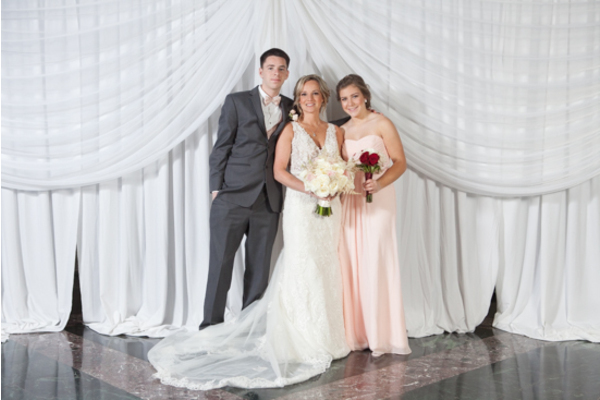 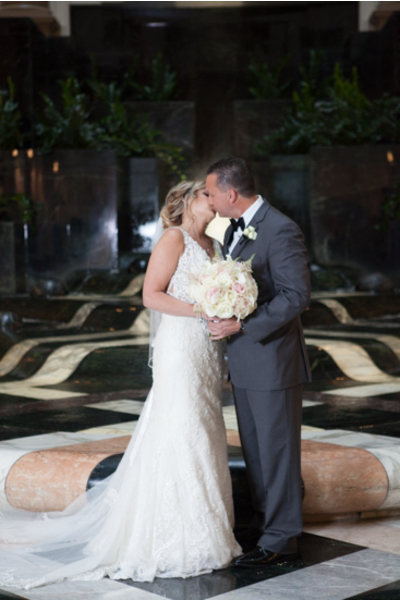 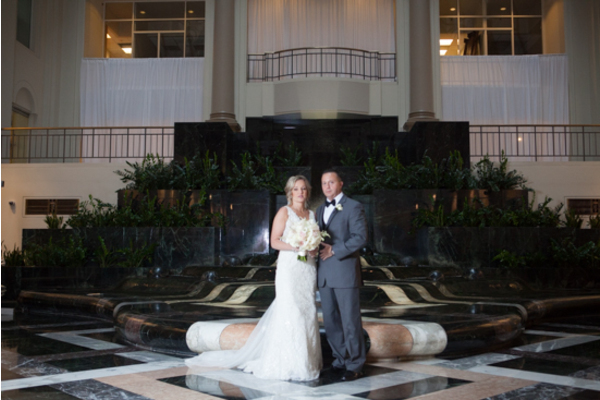 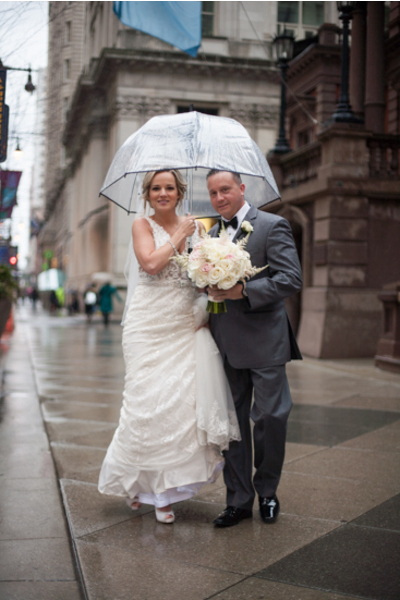 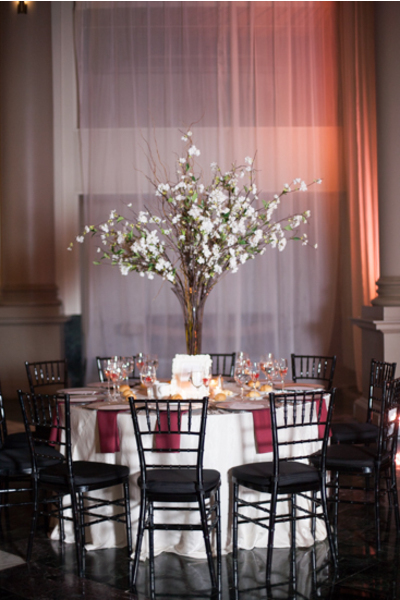 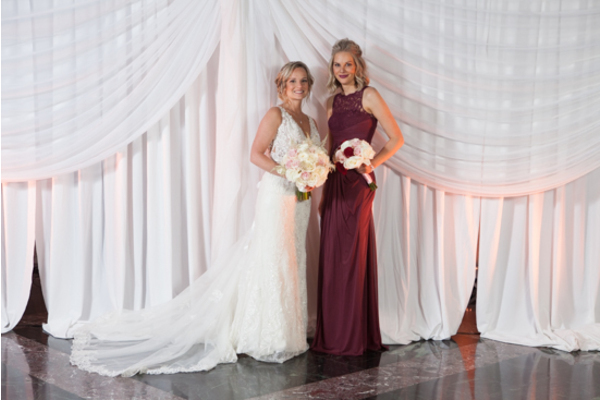 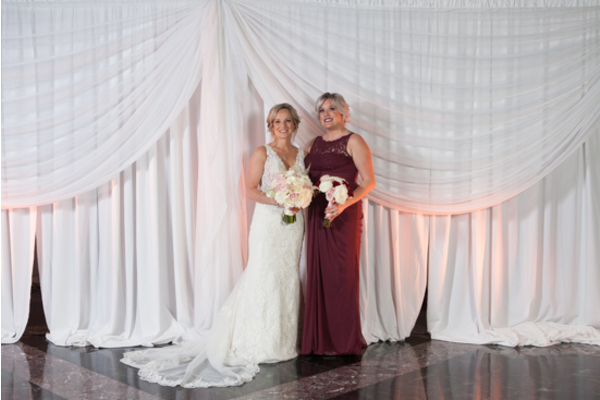 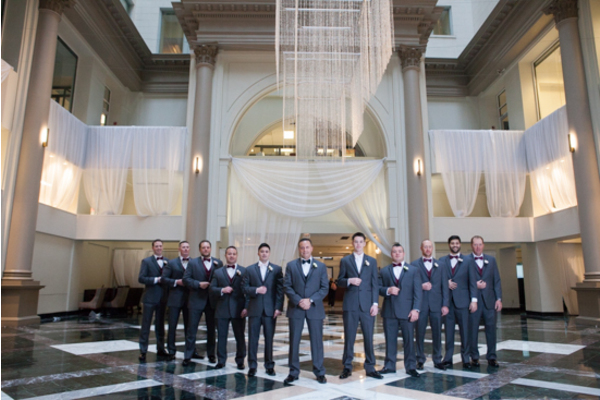 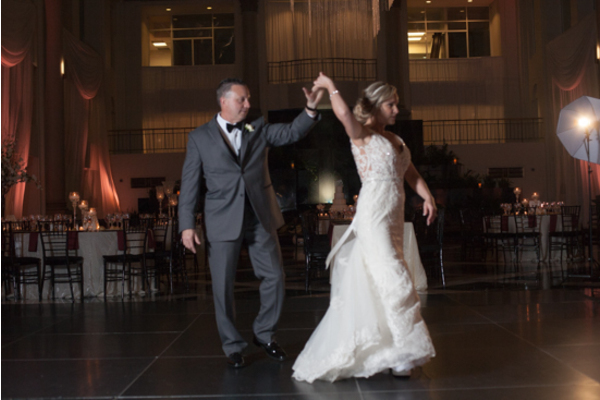 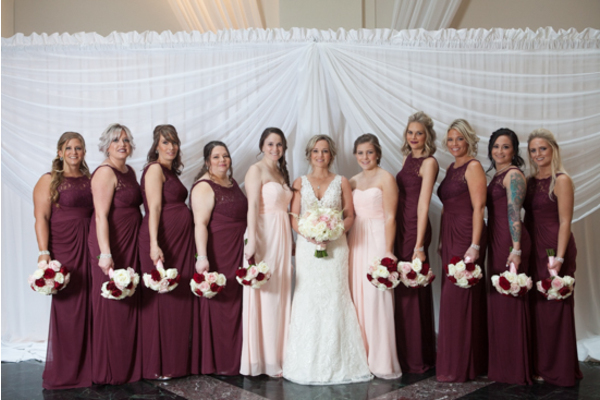 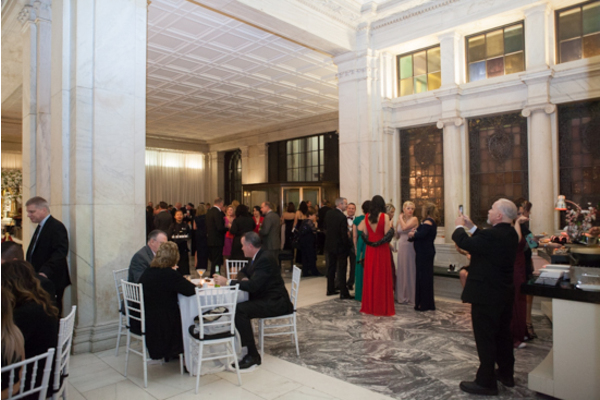 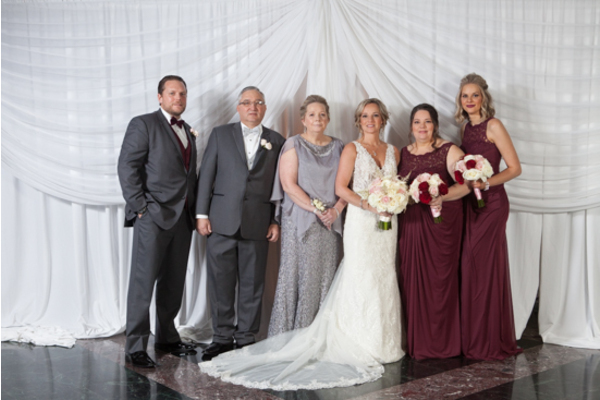 The couple celebrated their wedding day in the beautiful city of Philadelphia, PA at the Atrium at Curtis Center. 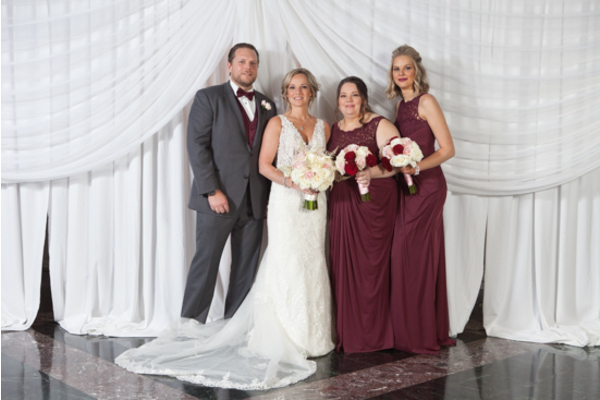 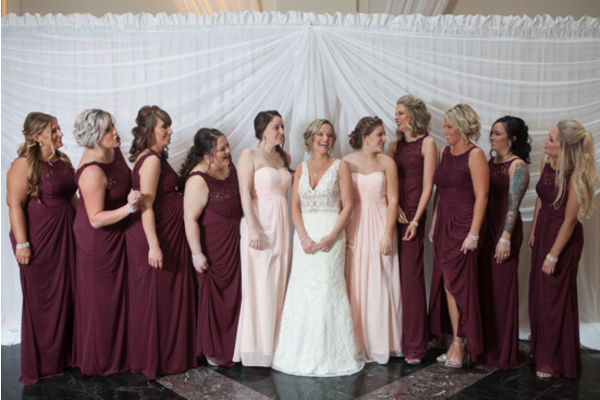 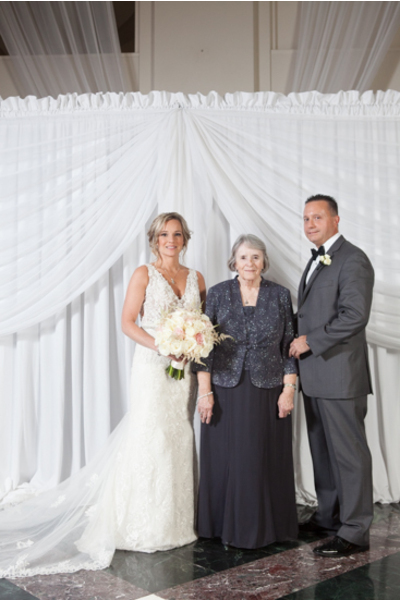 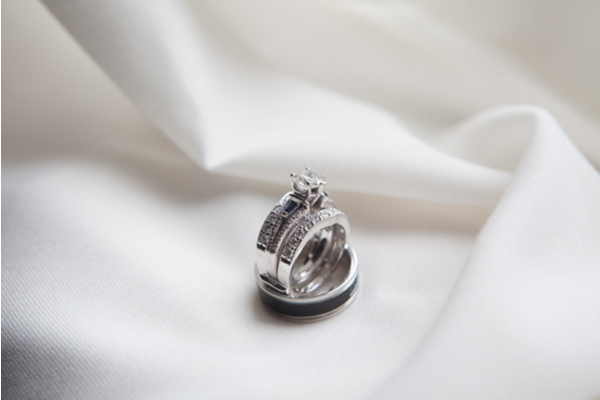 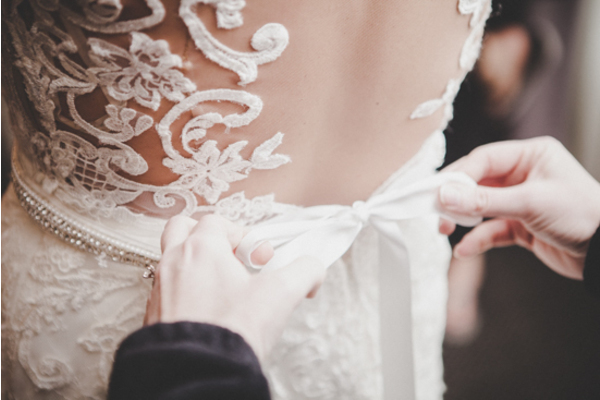 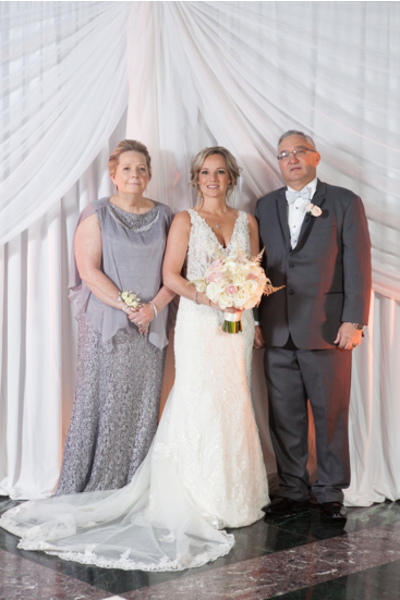 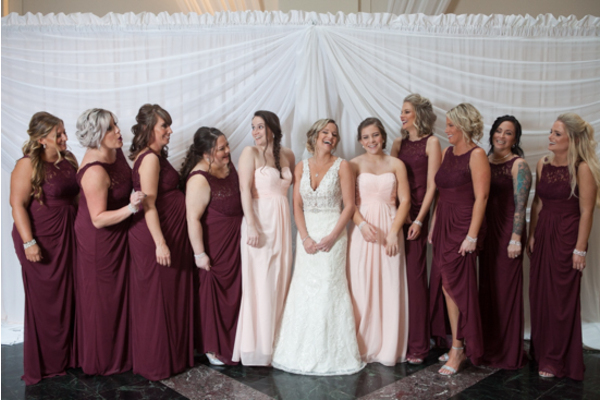 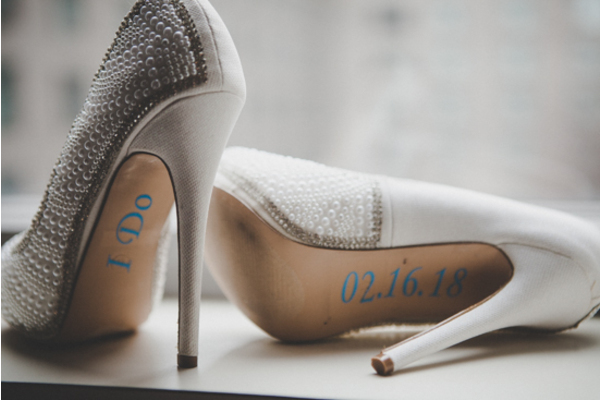 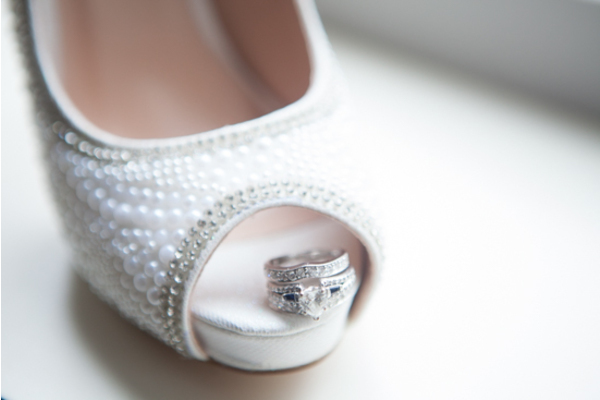 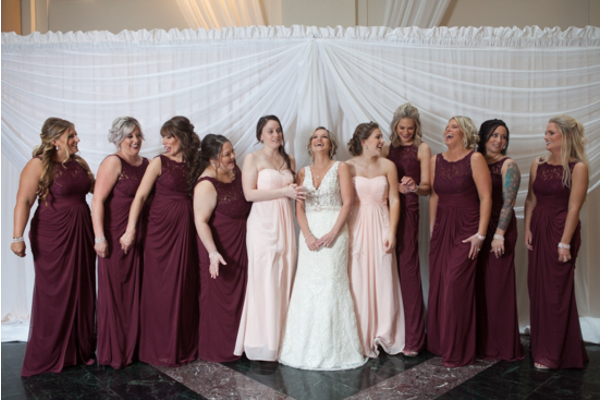 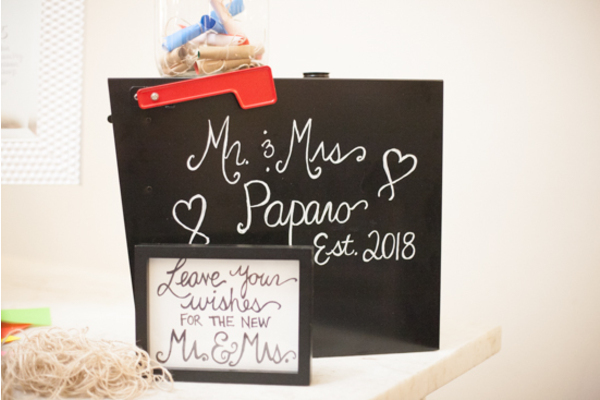 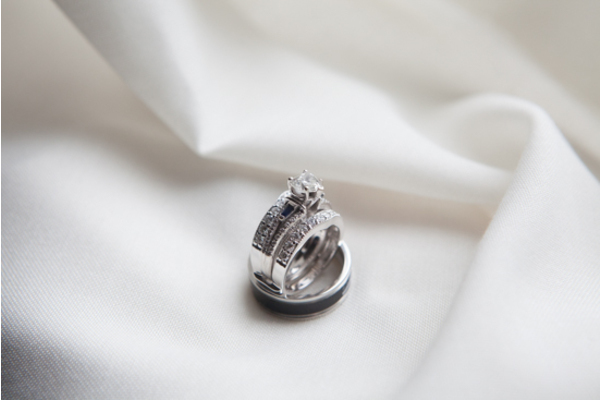 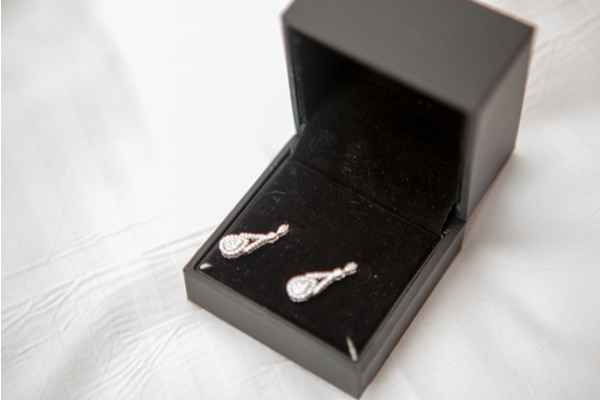 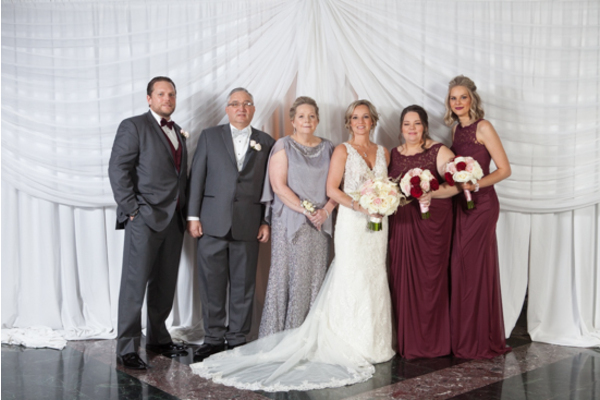 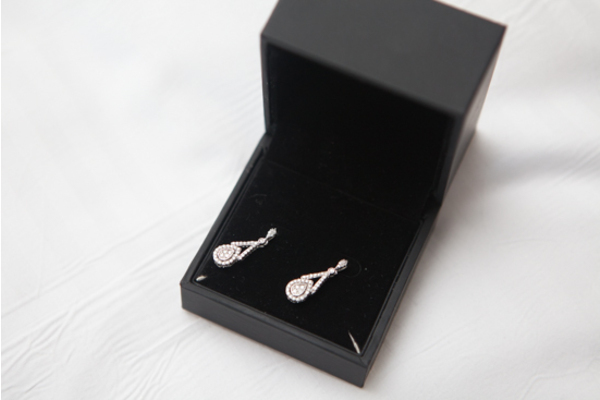 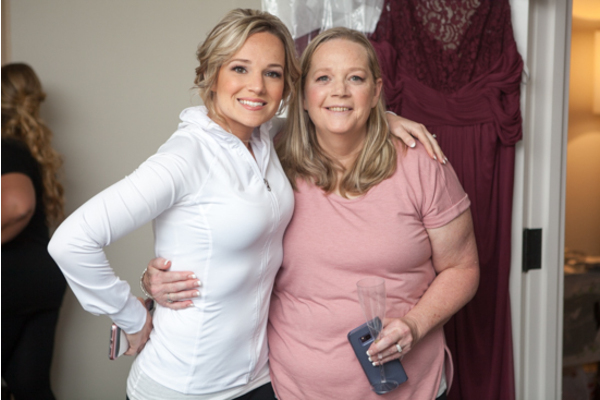 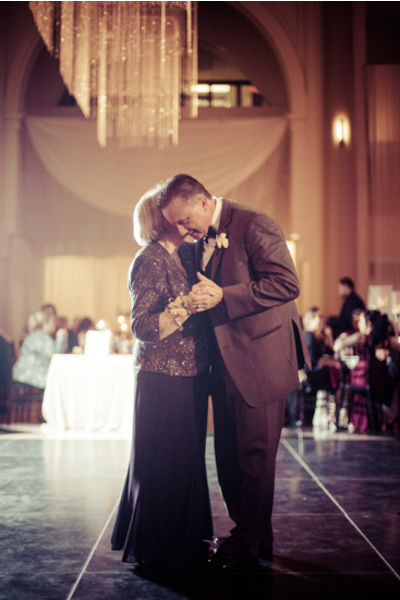 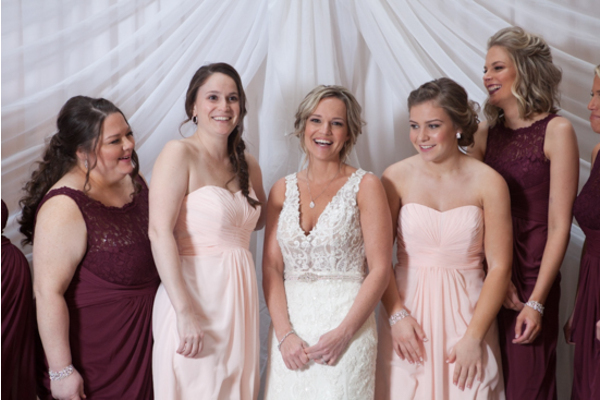 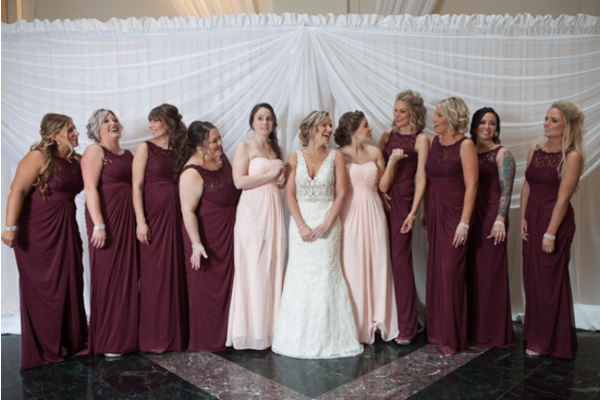 Their wedding was held two days after Valentine’s Day to celebrate their special love story together! 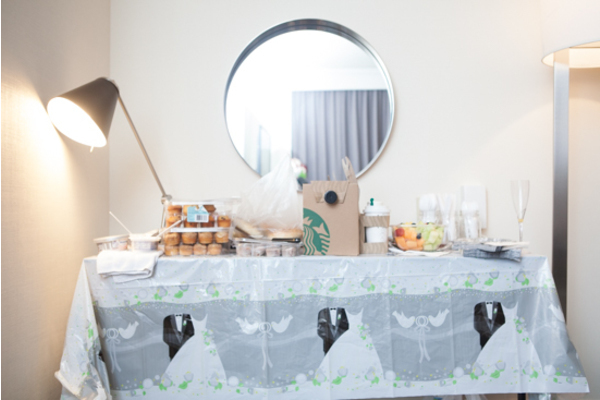 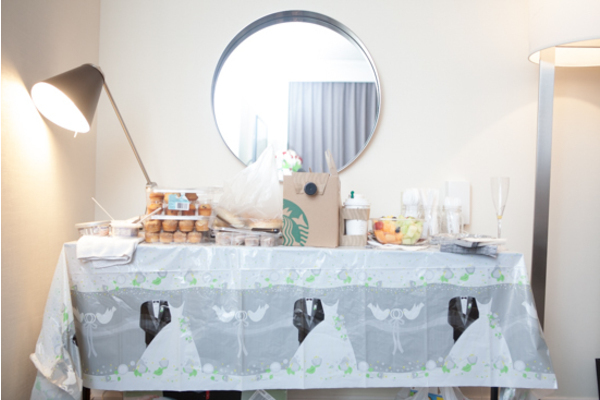 The morning began with Christi and her bridesmaids enjoying Starbucks coffee and other delicious brunch treats. 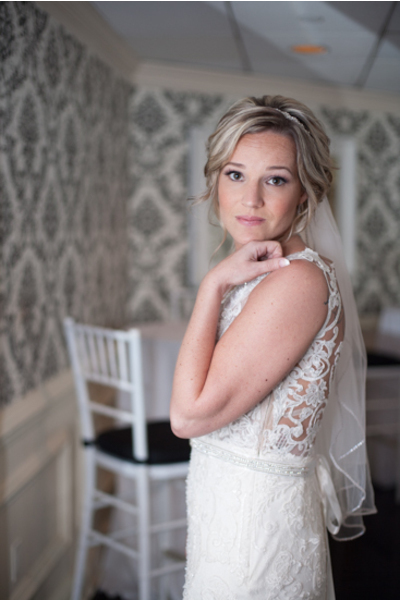 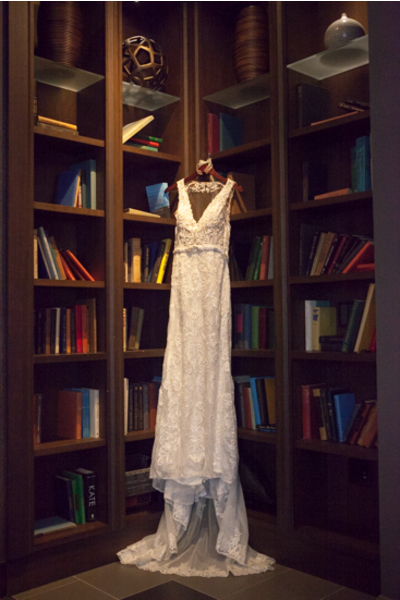 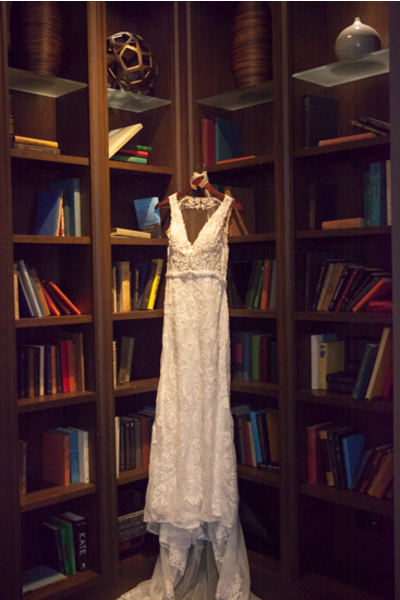 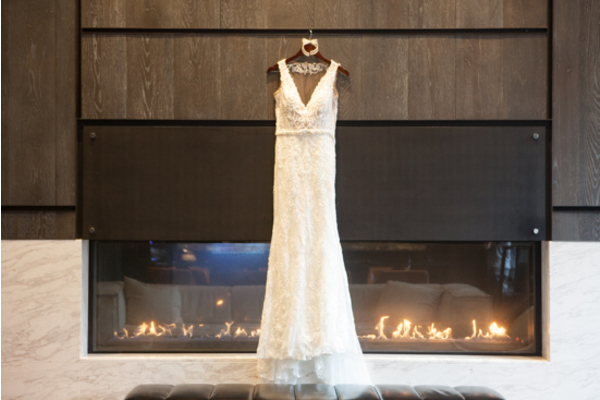 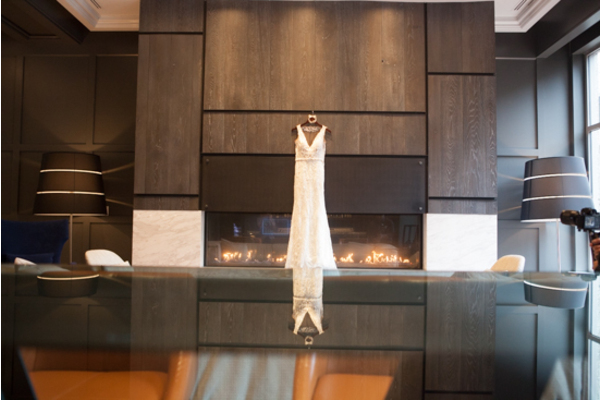 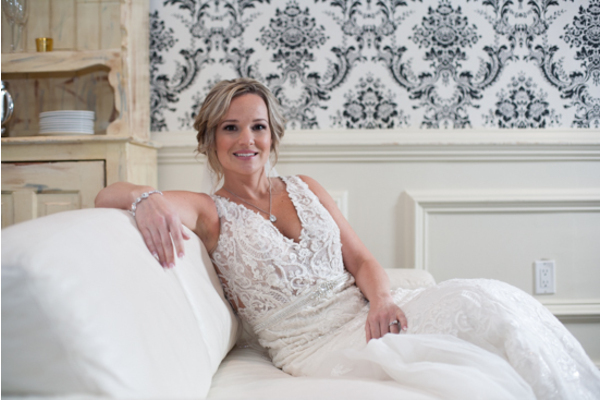 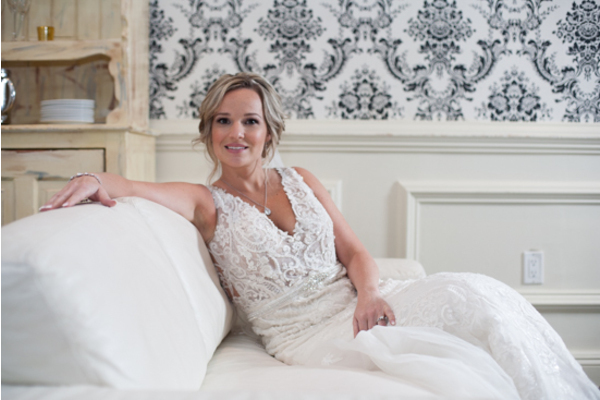 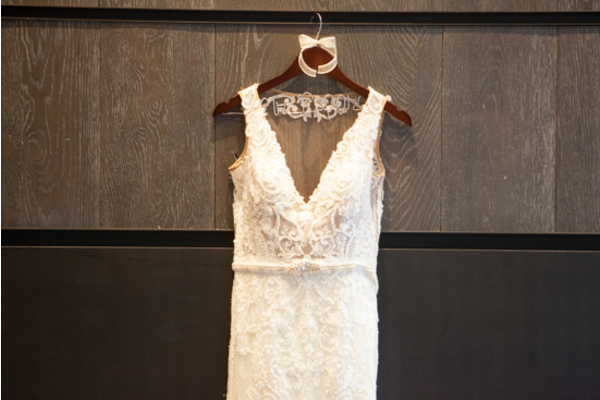 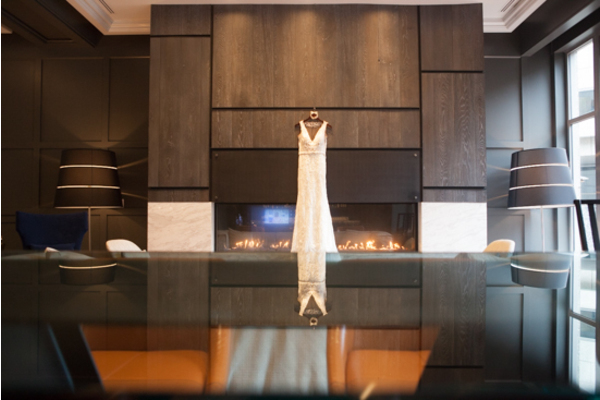 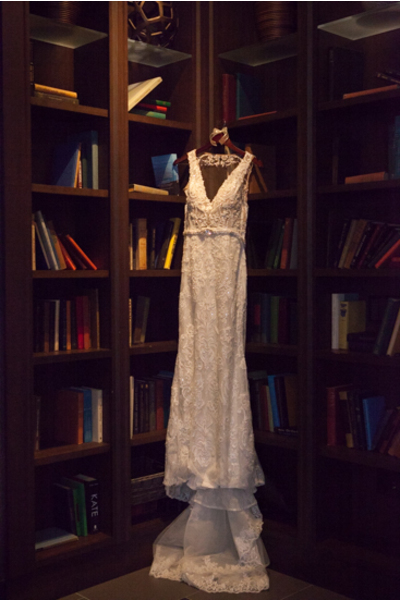 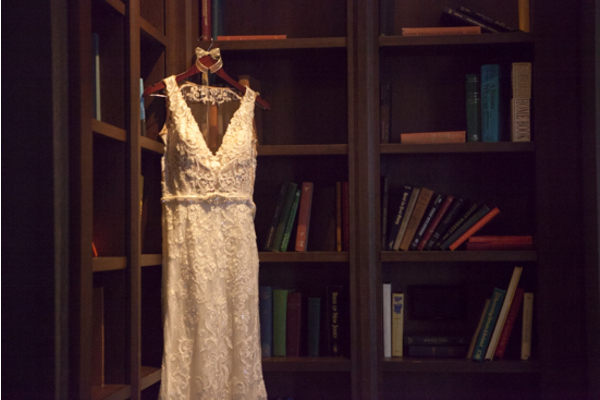 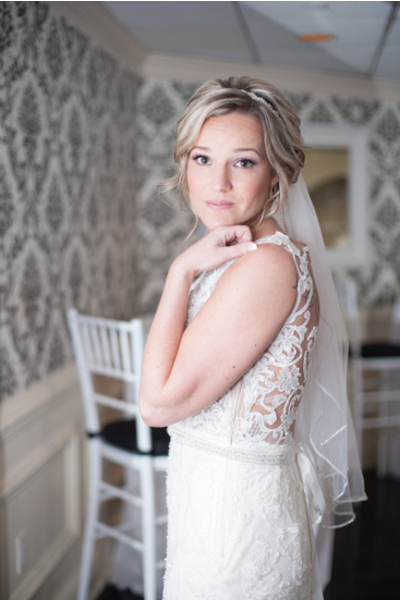 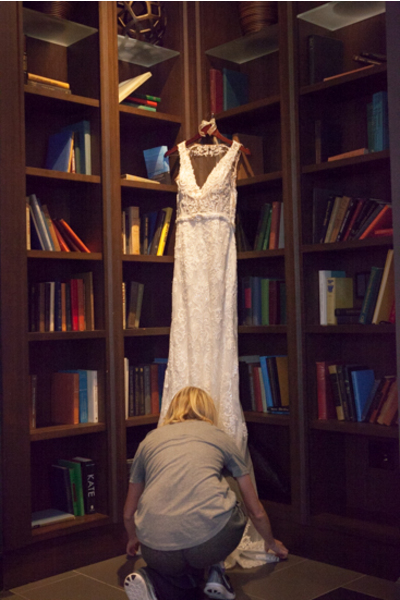 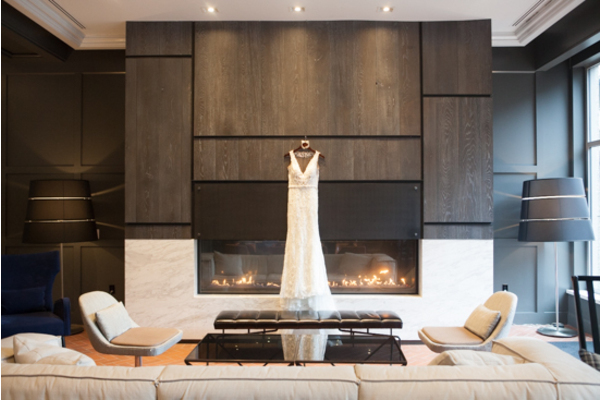 Our NJ Wedding Photographer beautifully captured Christi’s vintage wedding dress by the fireplace and bookshelf around the house. 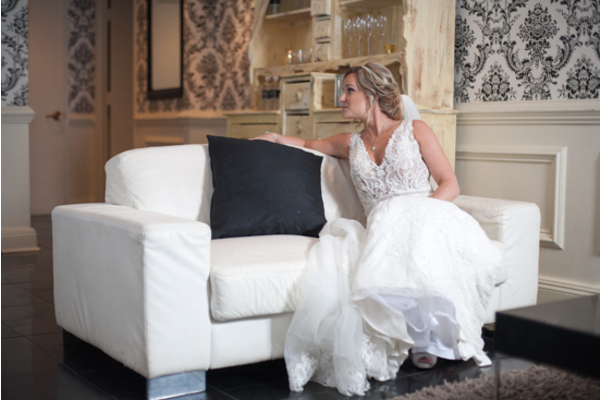 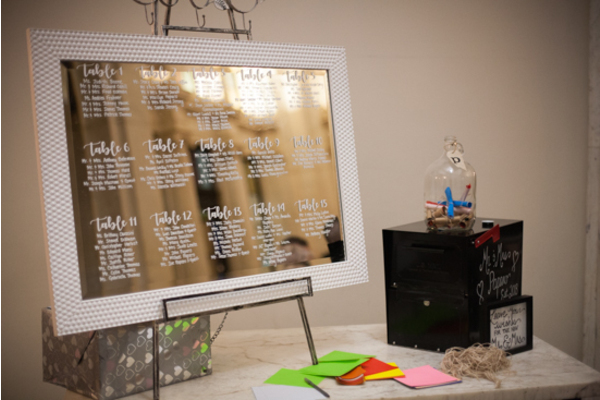 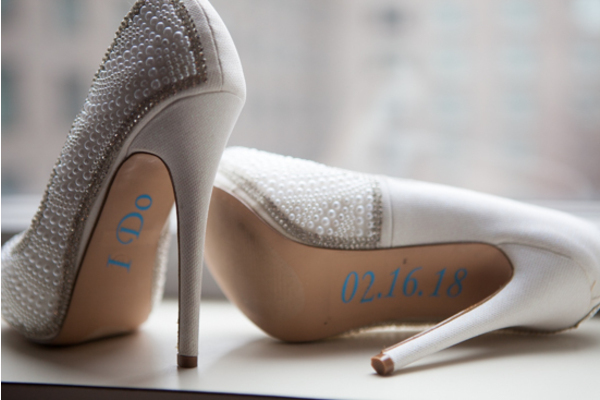 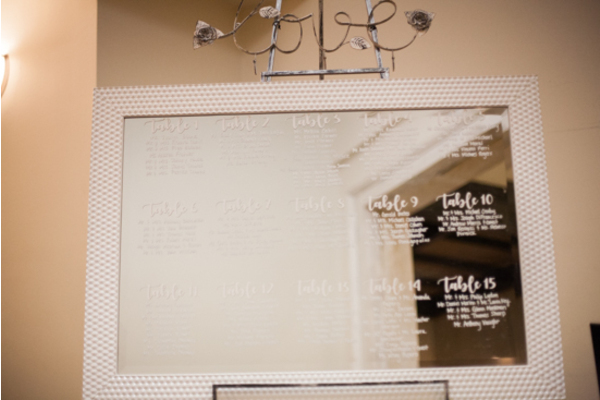 Christi also posed by a sign on her windowsill that read the couple’s names, date of the wedding, and more! 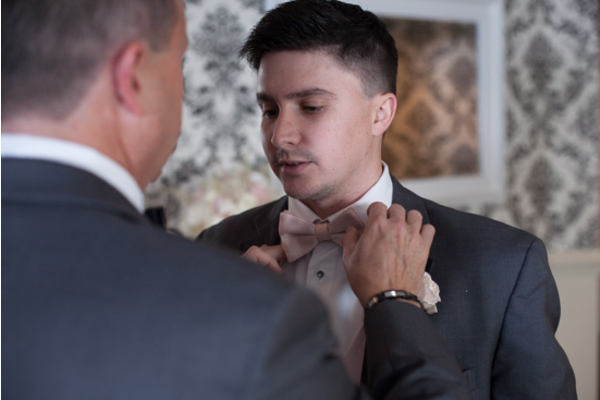 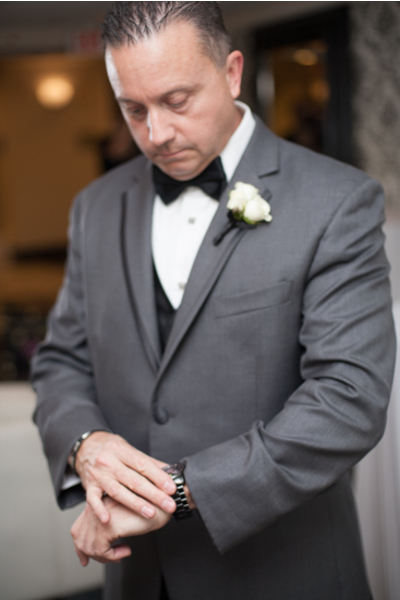 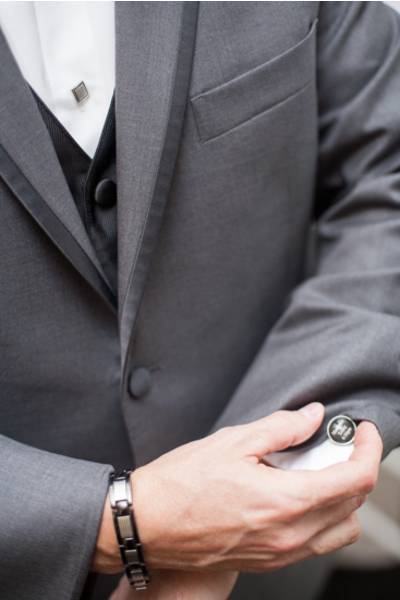 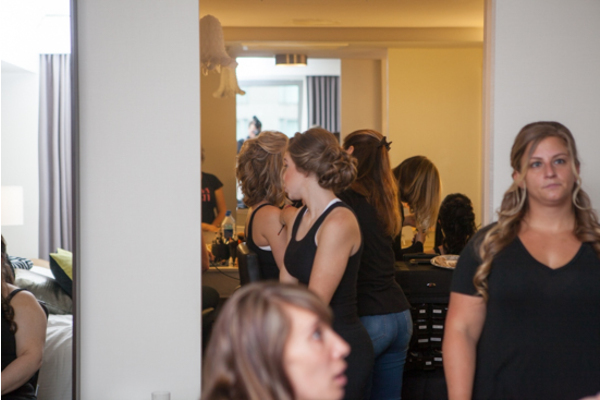 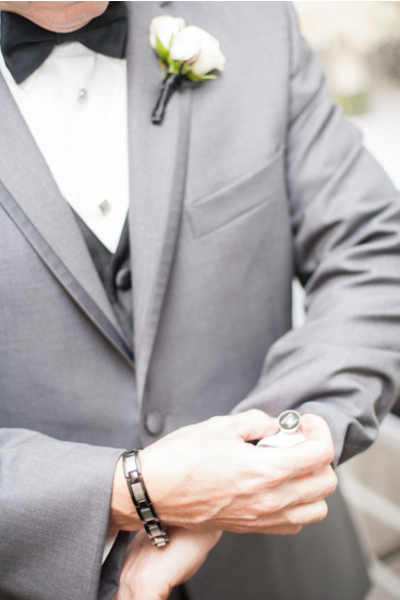 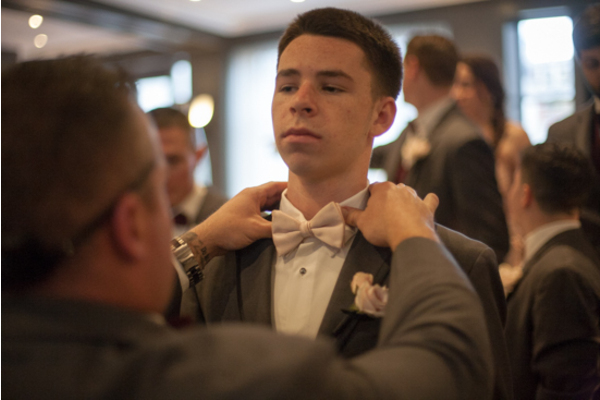 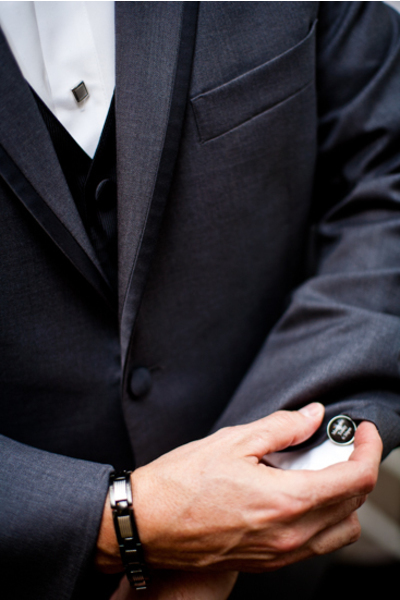 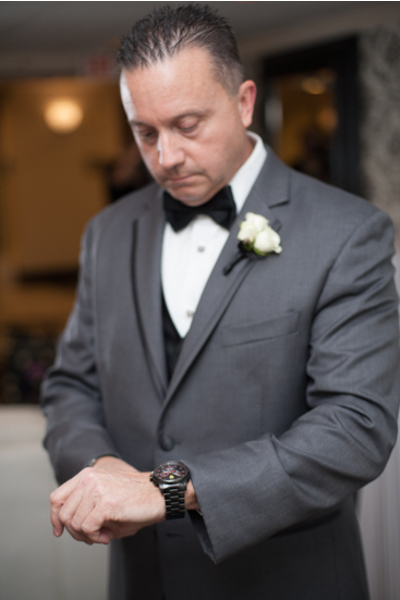 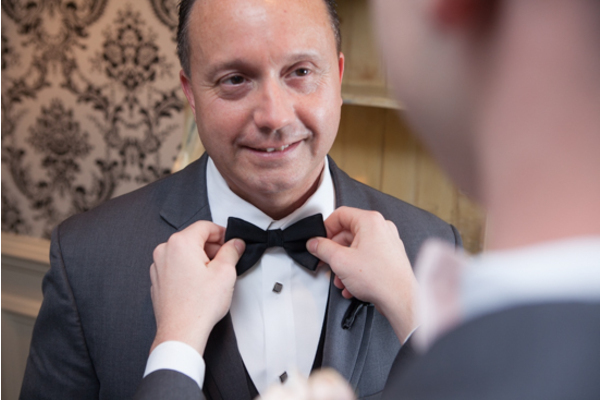 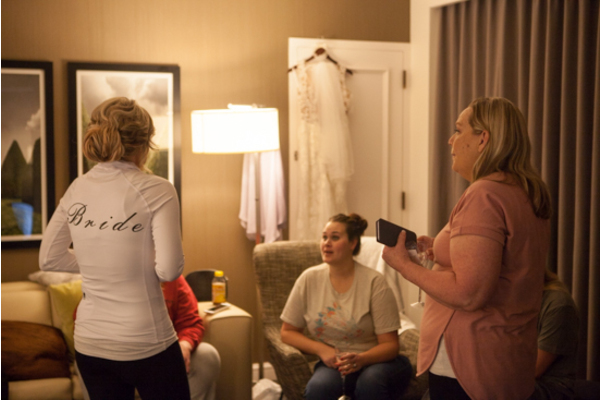 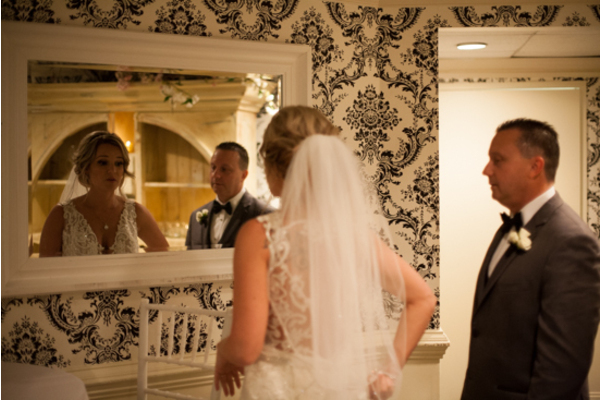 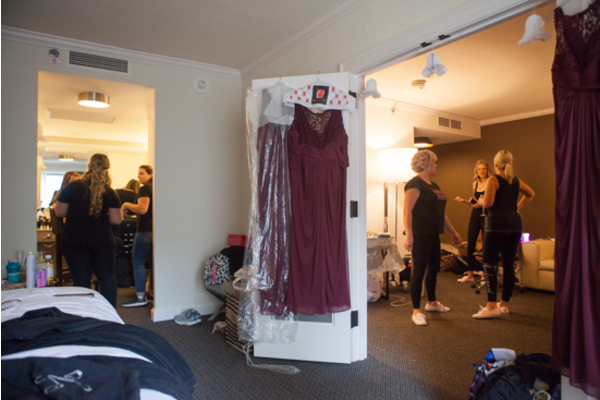 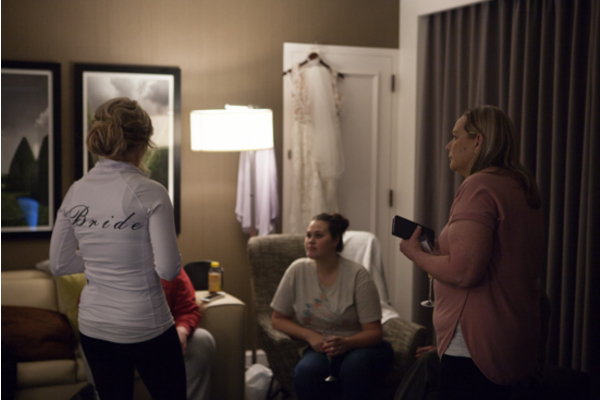 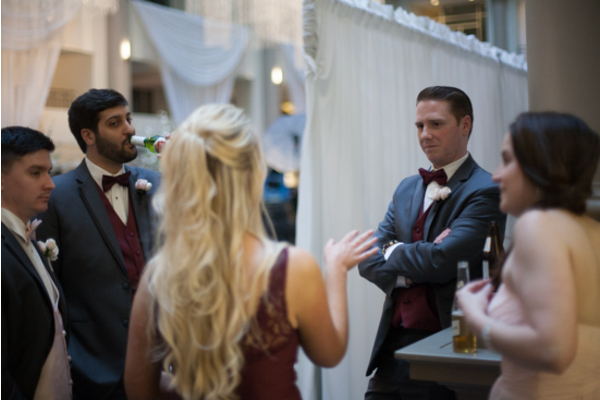 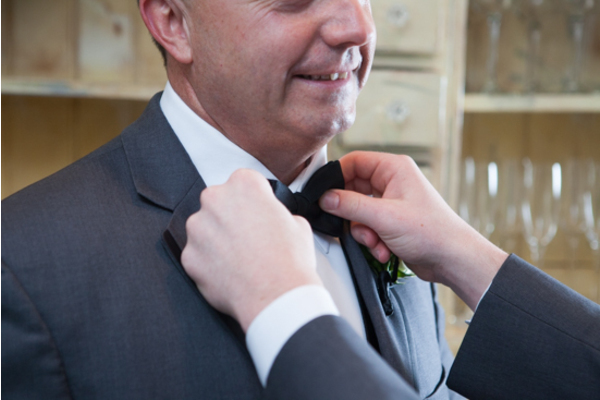 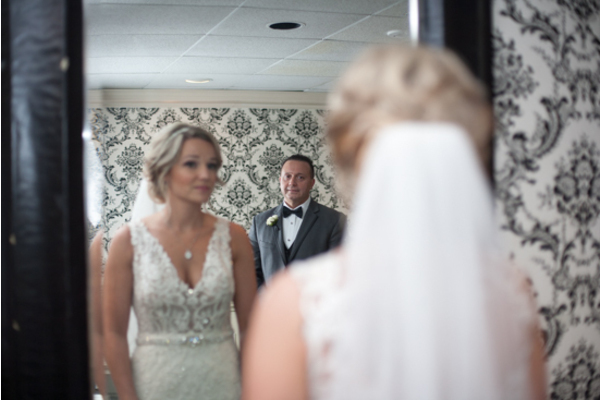 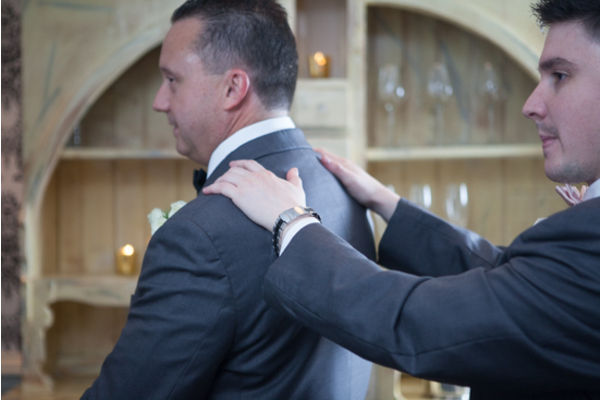 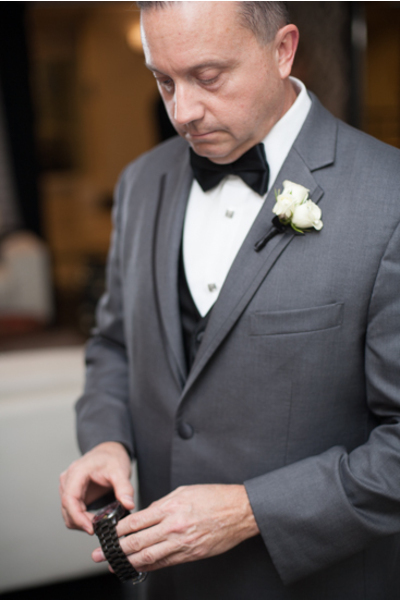 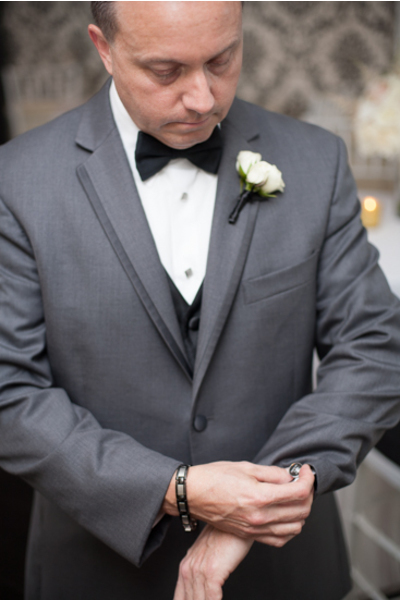 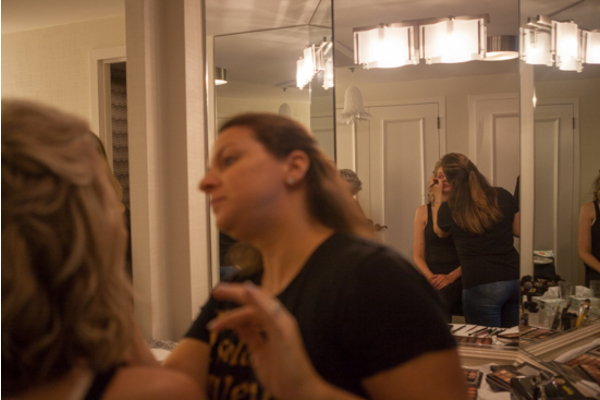 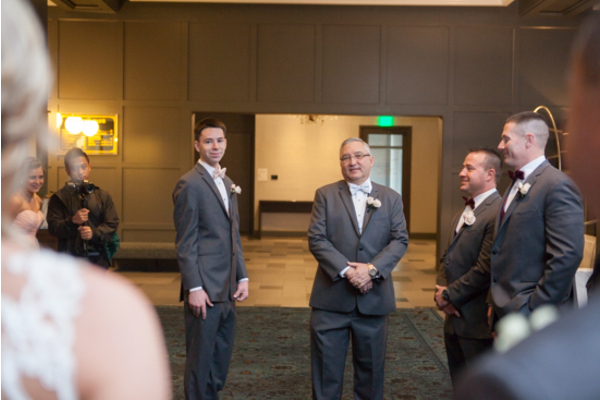 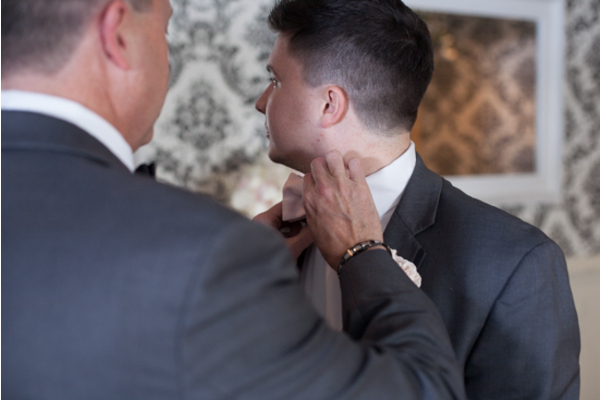 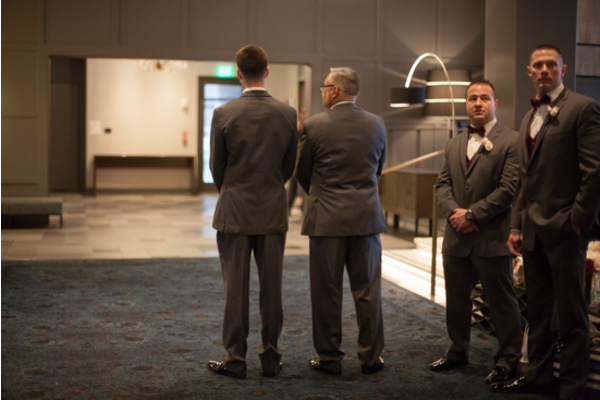 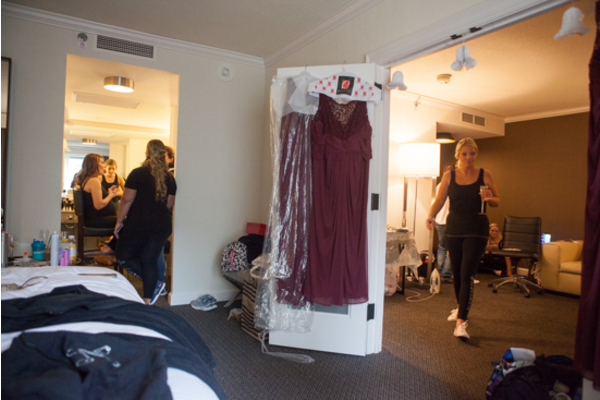 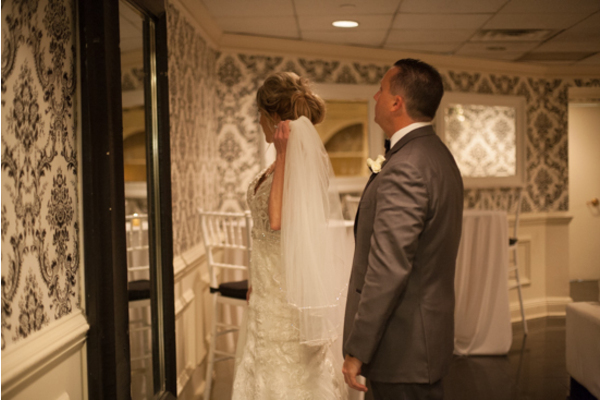 Anthony, eagerly awaiting his bride, was getting ready in a room nearby. 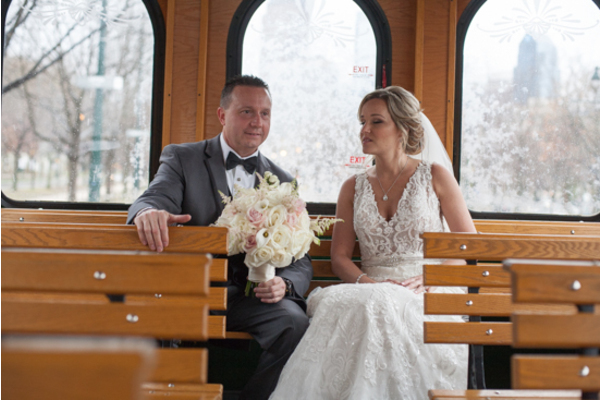 After the finishing touches were added, this beautiful bride and groom were ready for their outdoor portrait session around the city. 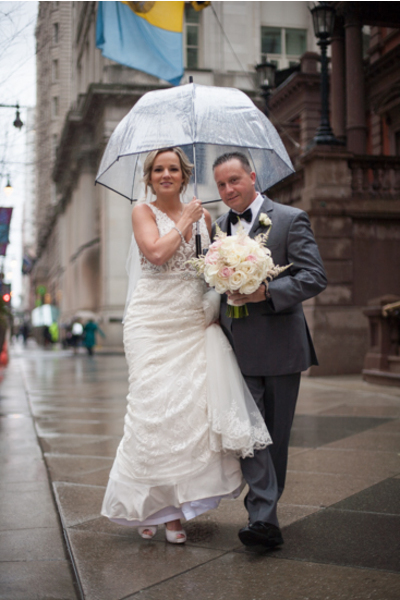 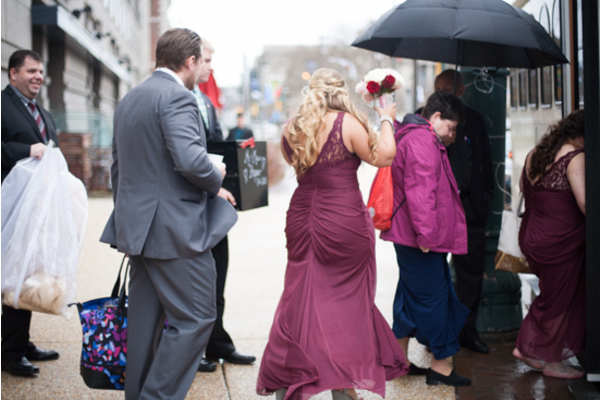 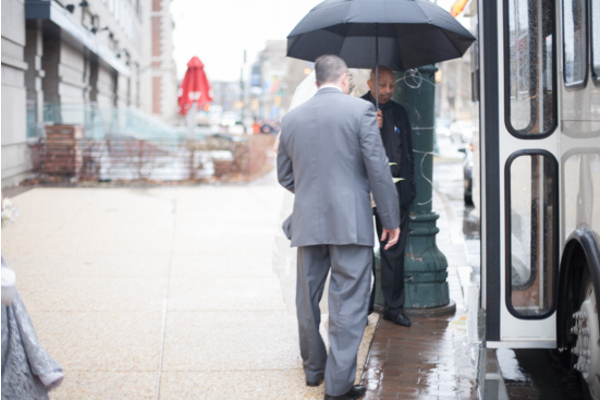 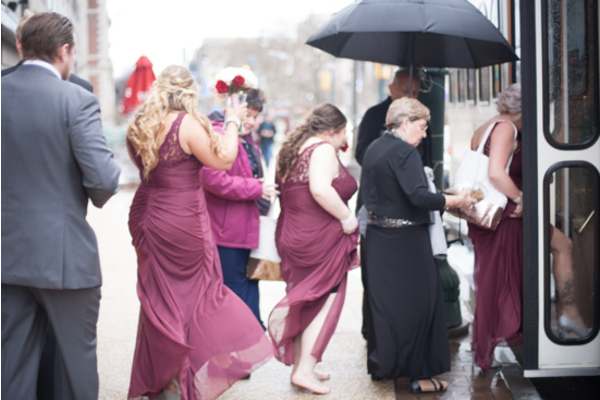 The couple held an umbrella in the streets and held onto each other tight! 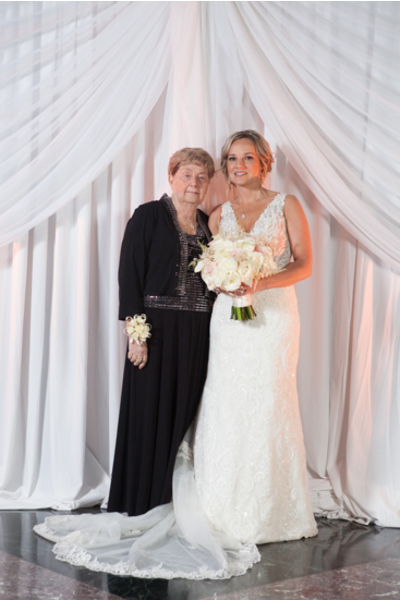 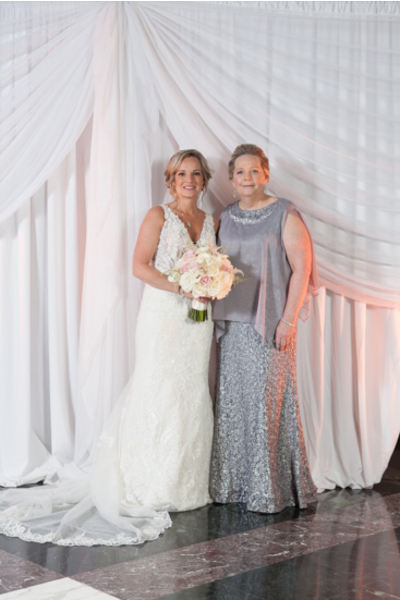 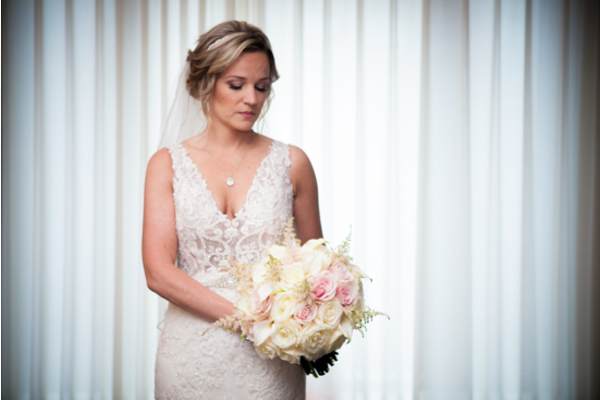 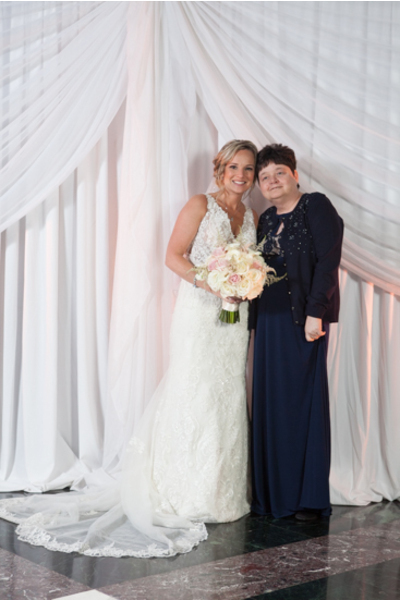 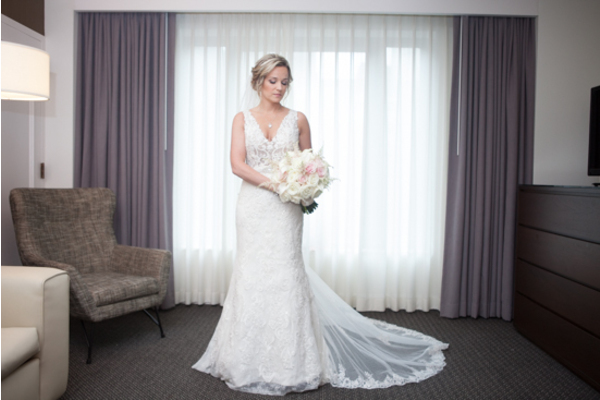 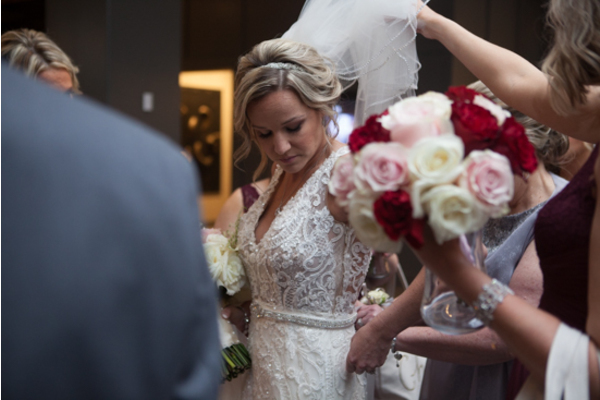 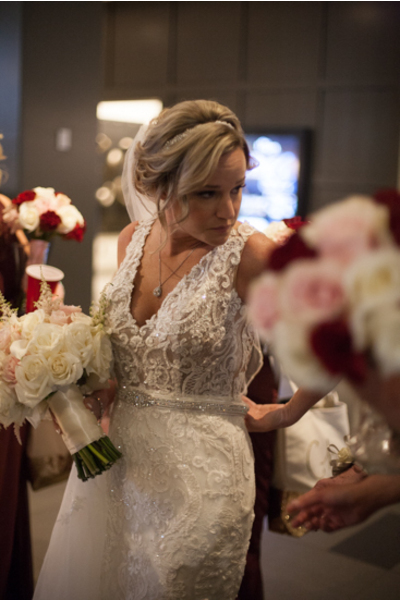 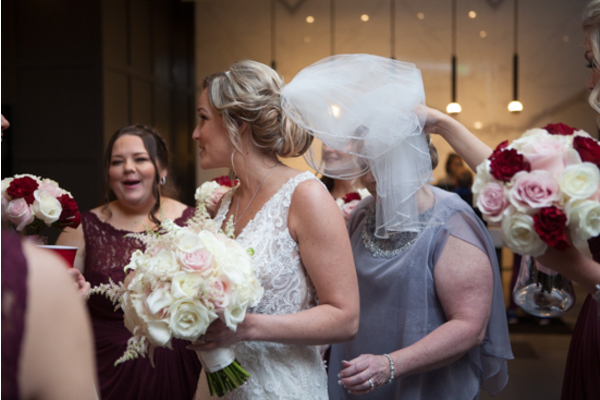 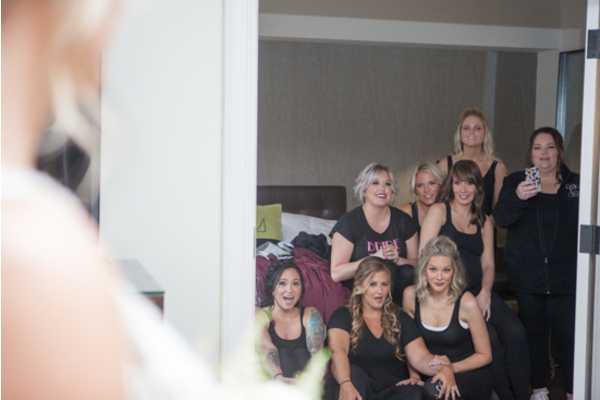 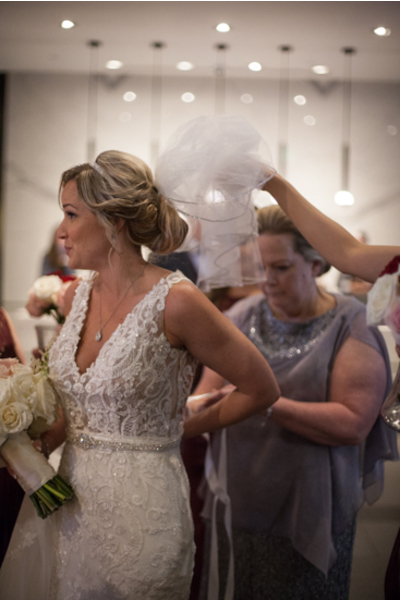 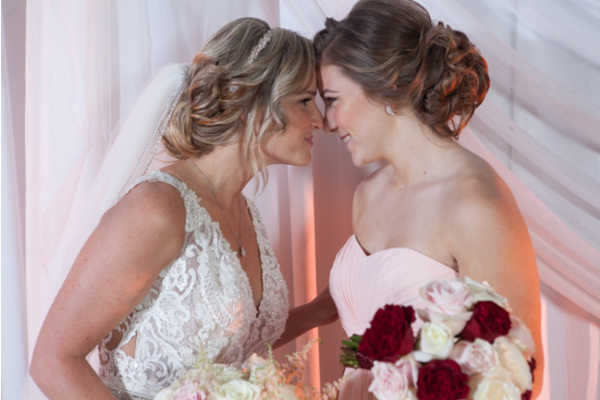 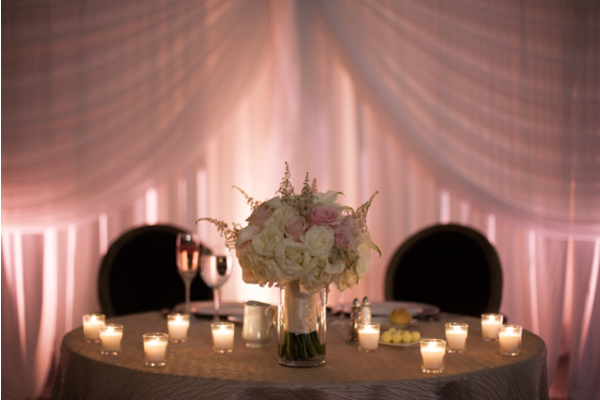 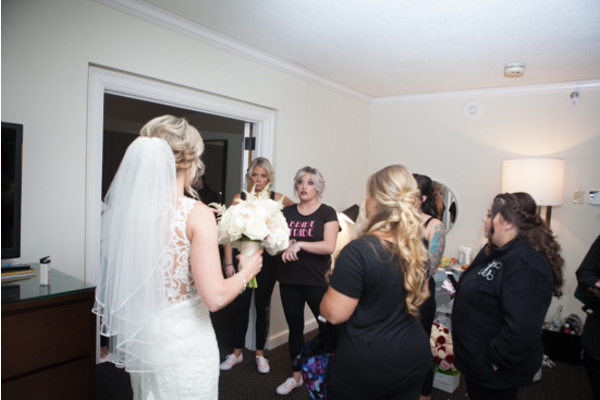 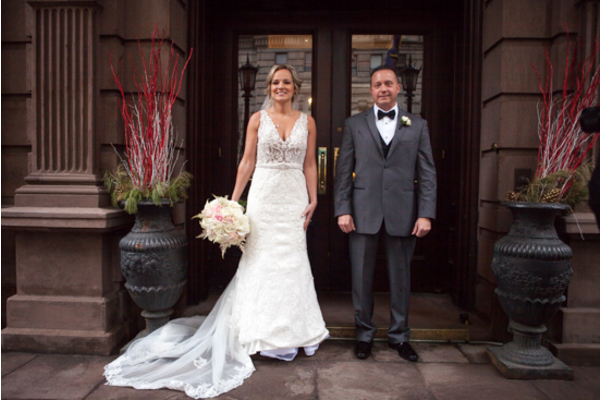 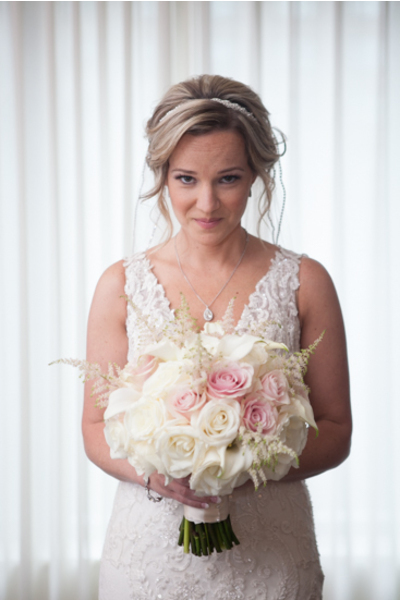 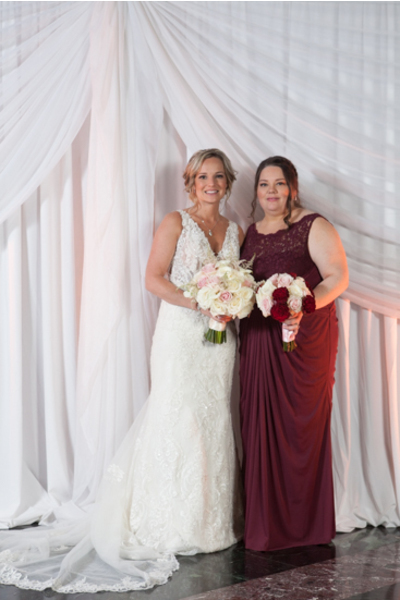 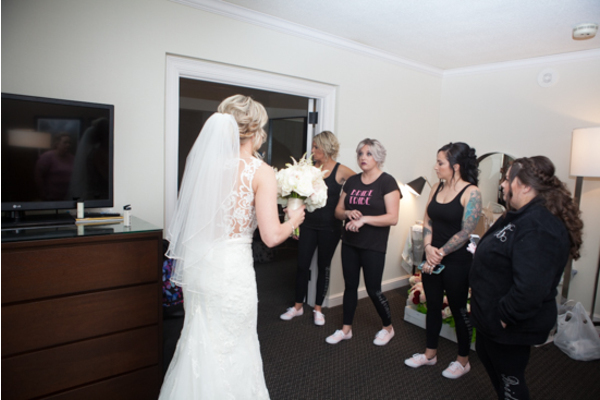 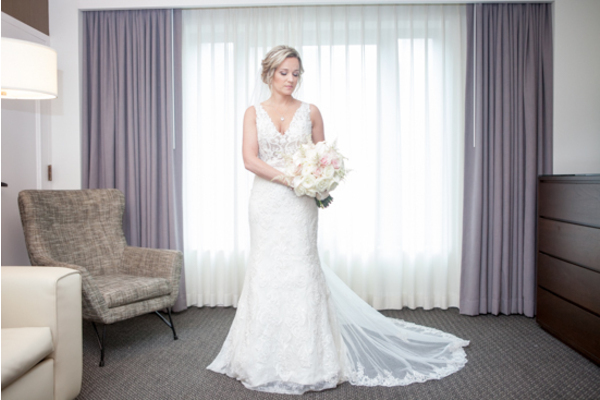 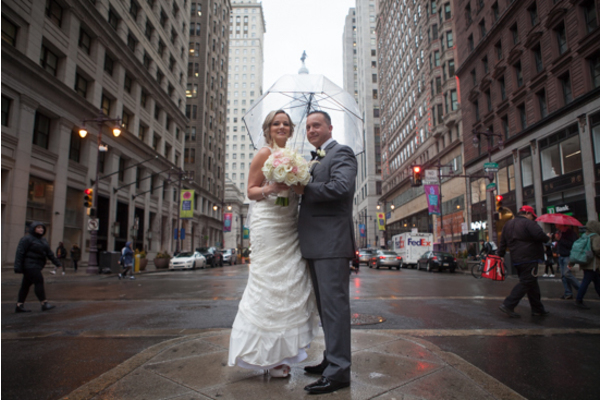 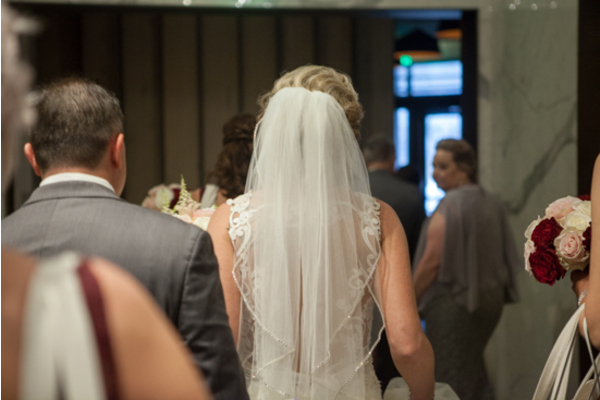 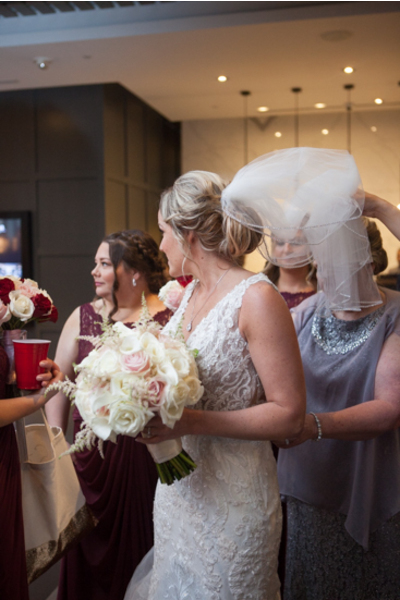 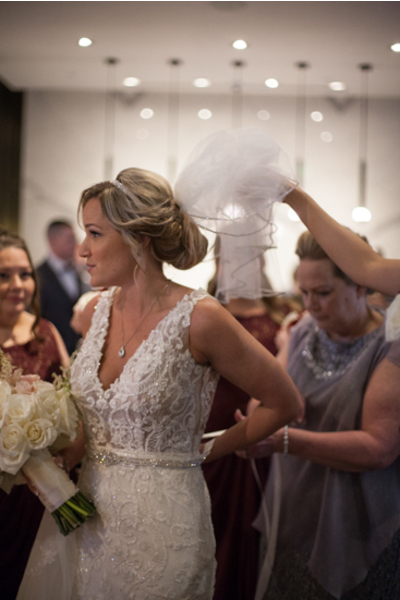 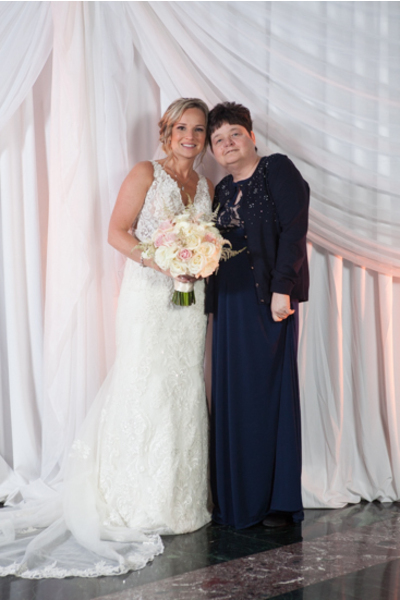 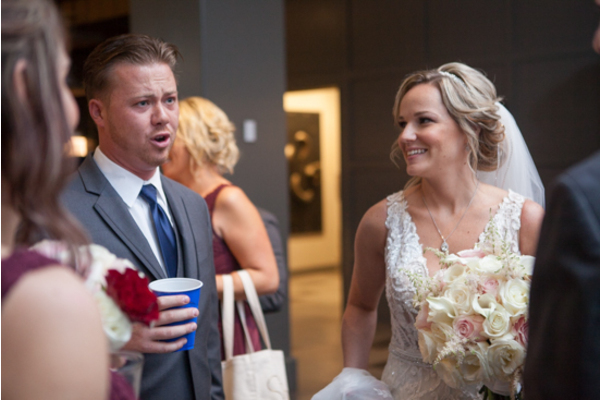 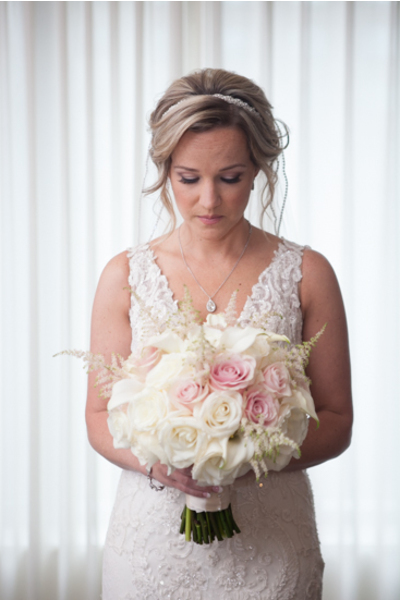 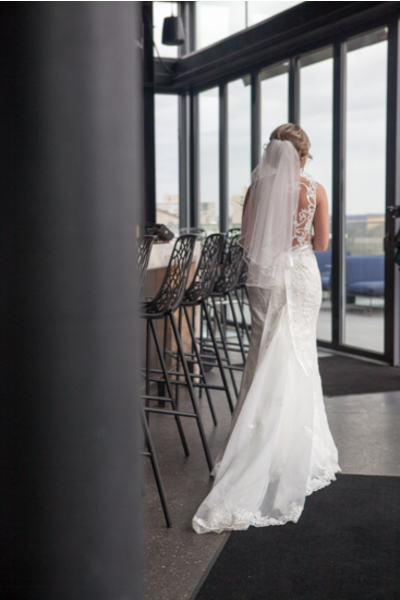 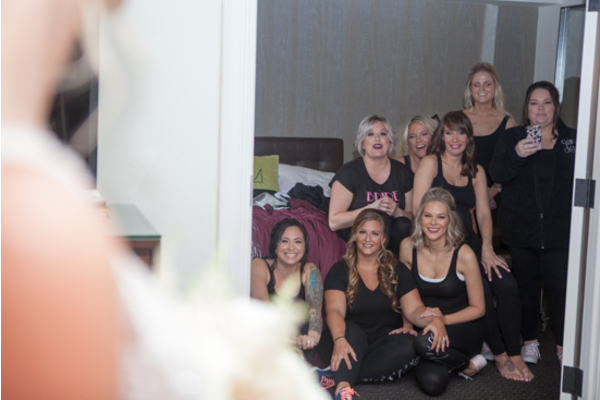 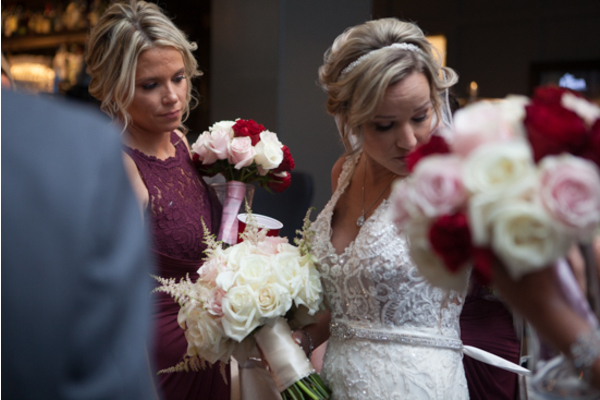 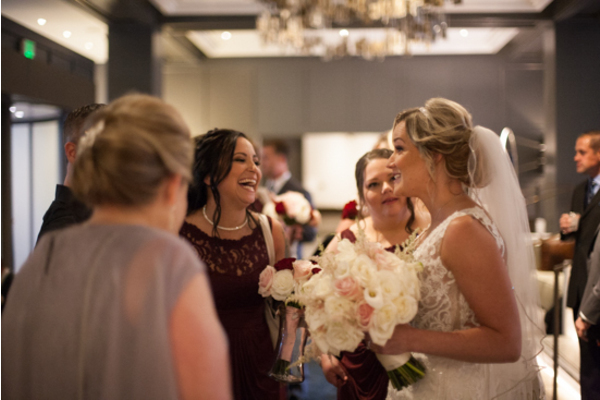 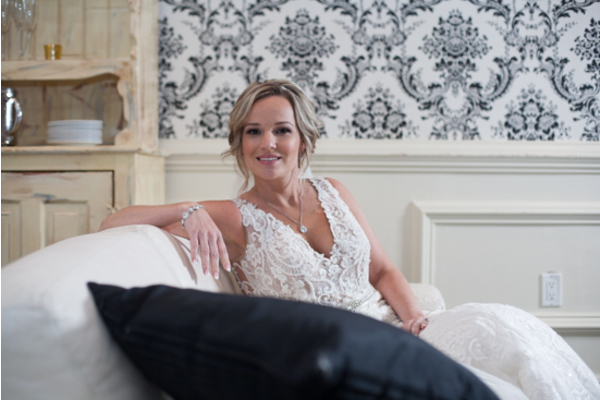 Christi’s bouquet of white and pink roses stood out against the city lights and beautiful buildings. 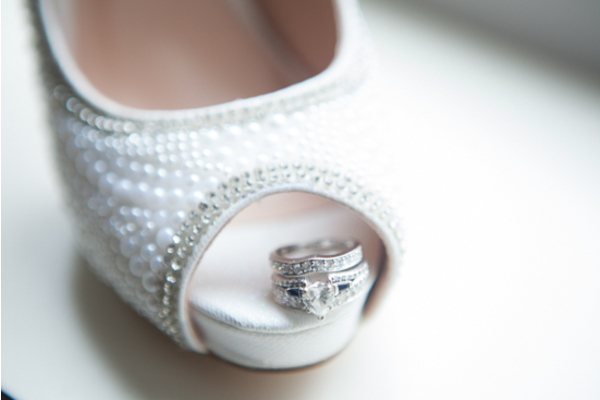 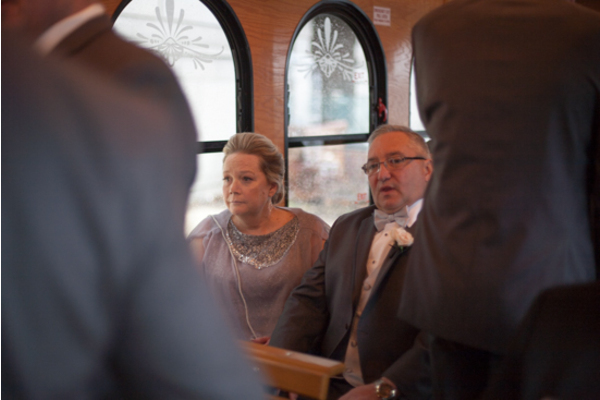 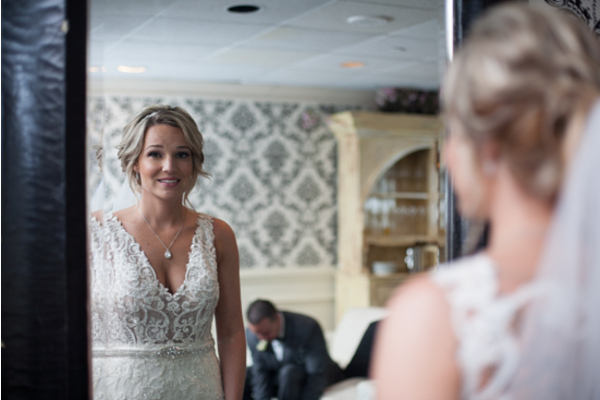 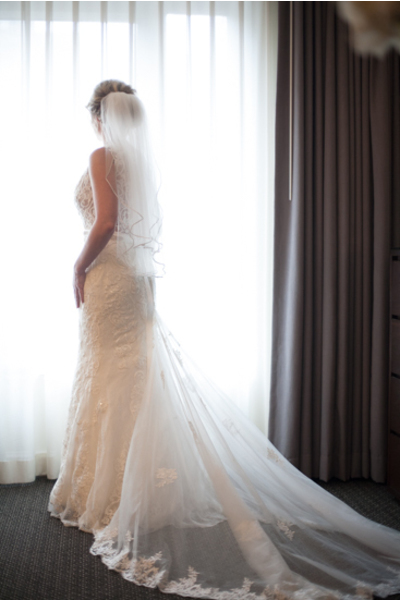 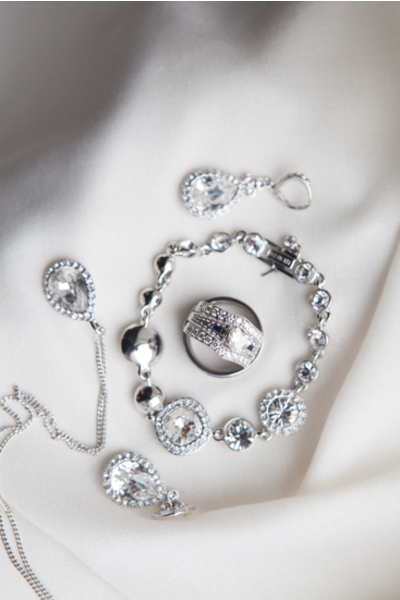 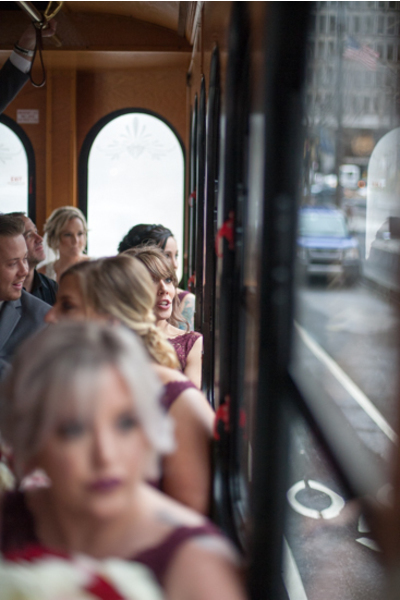 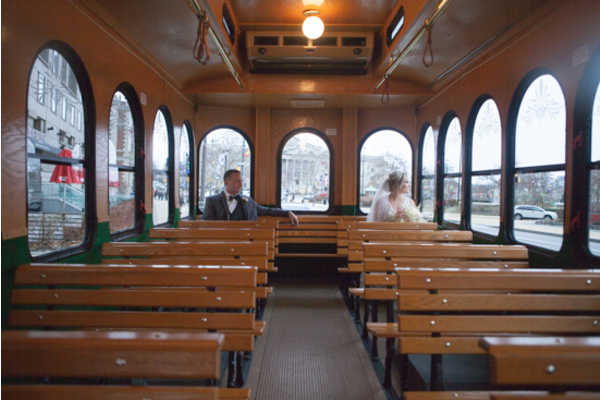 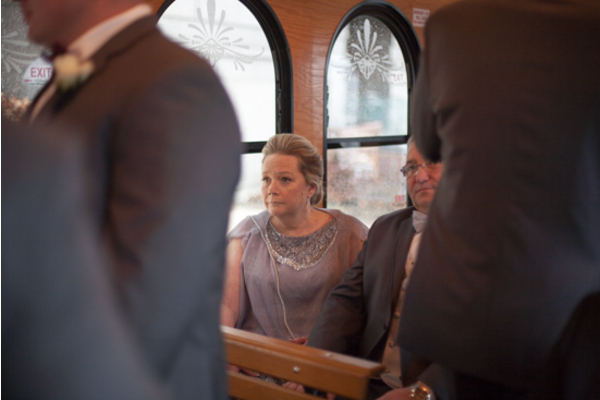 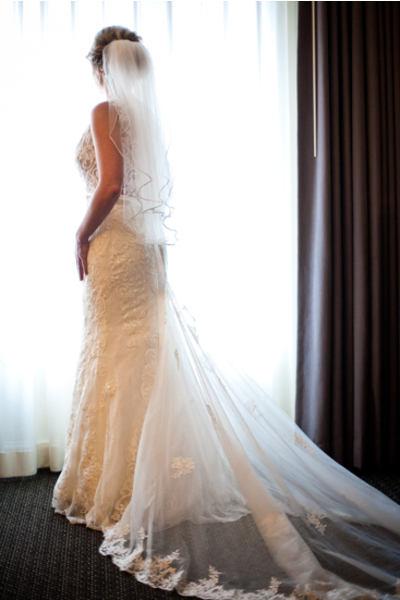 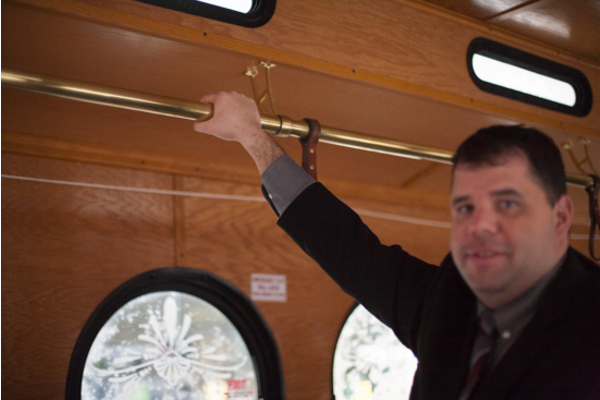 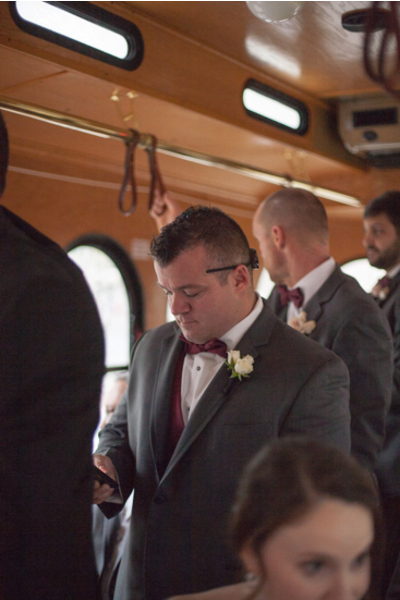 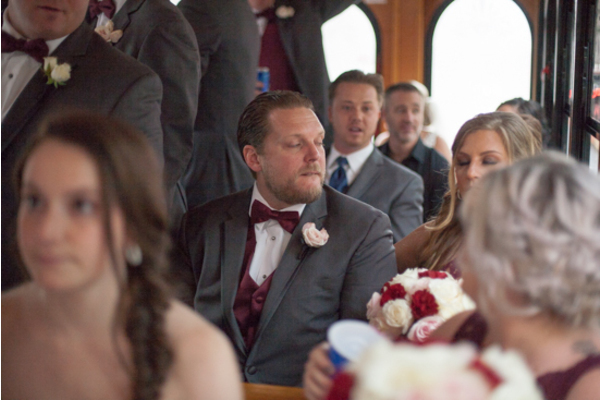 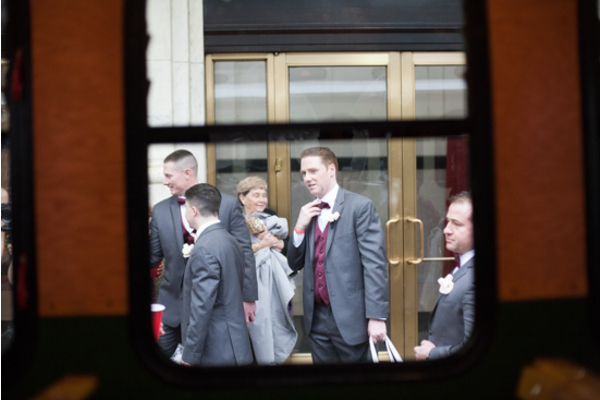 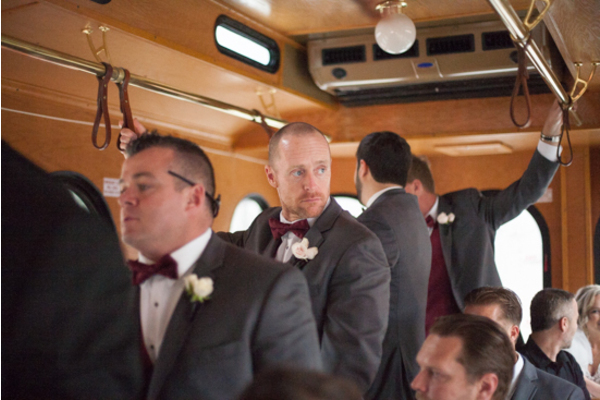 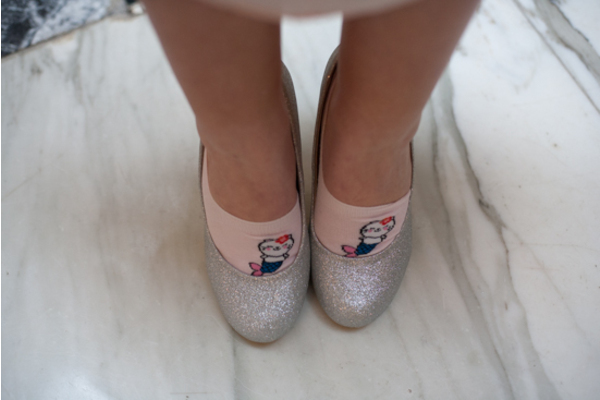 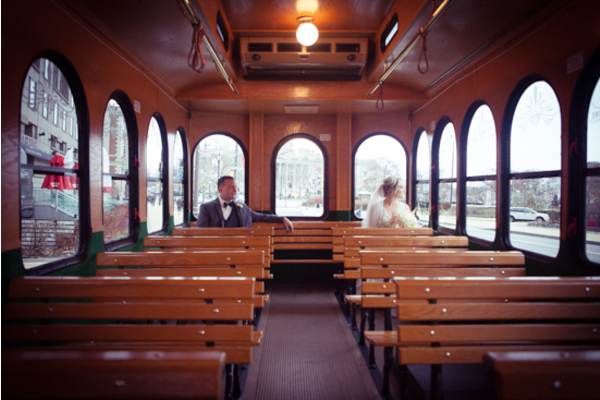 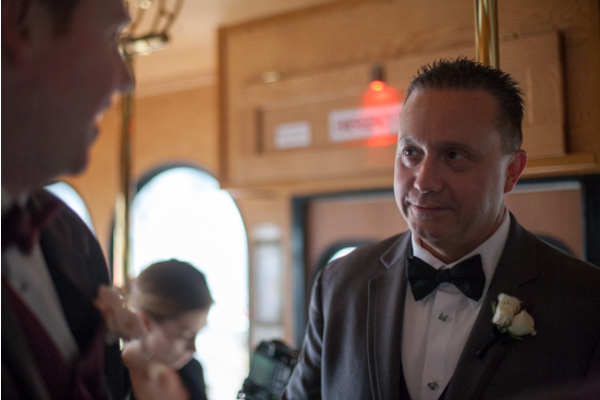 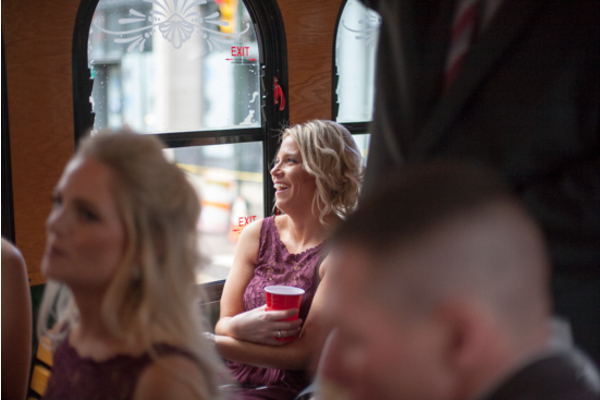 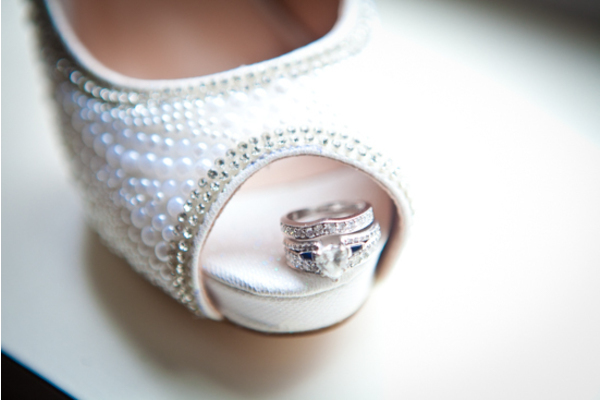 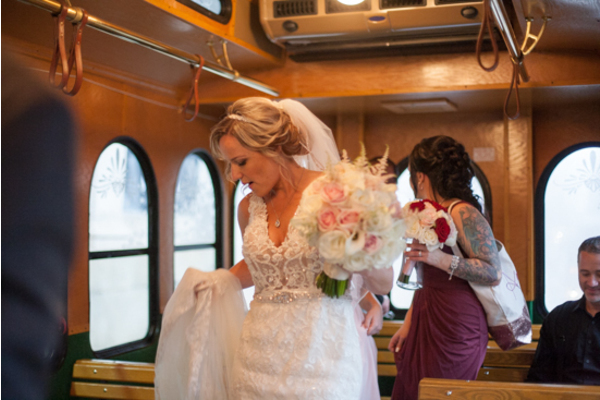 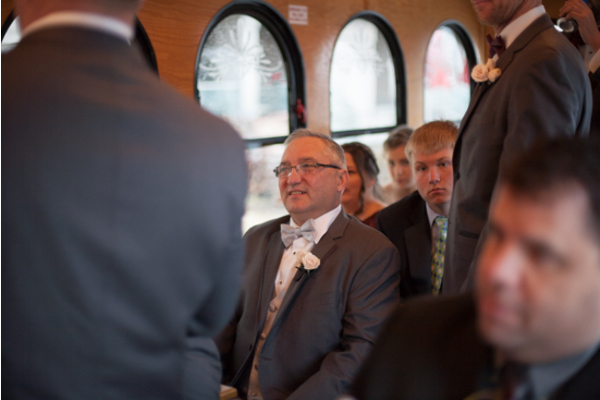 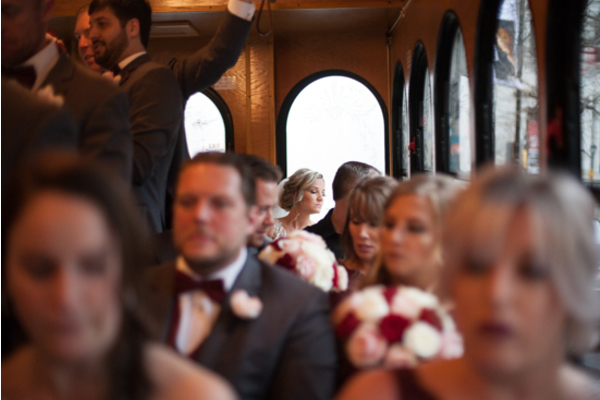 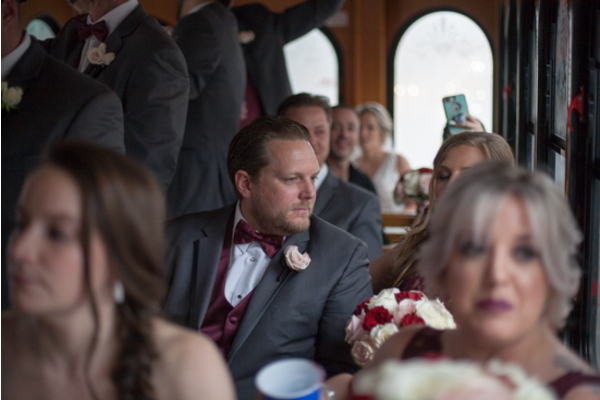 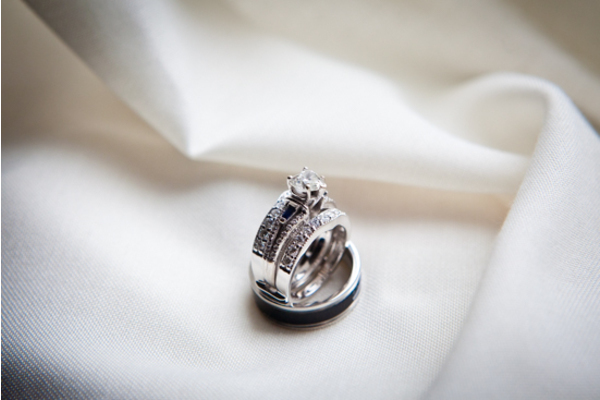 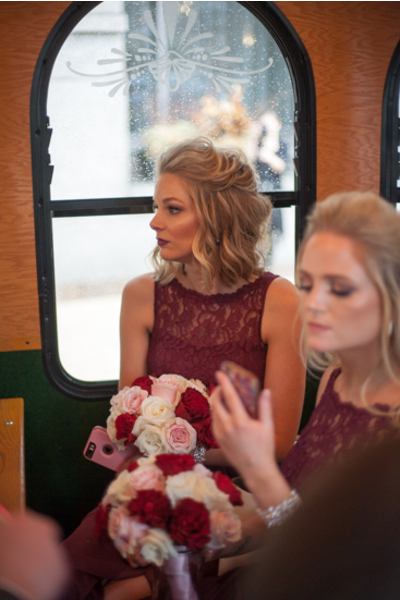 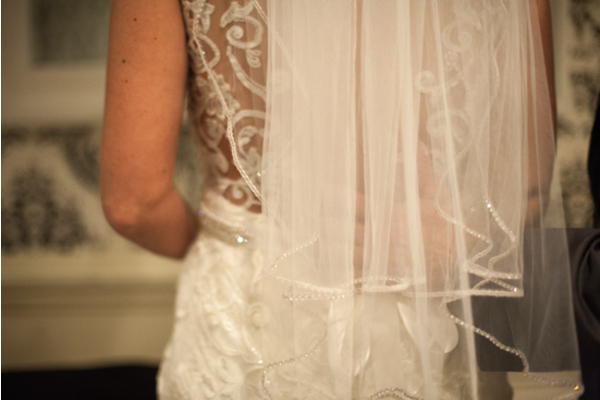 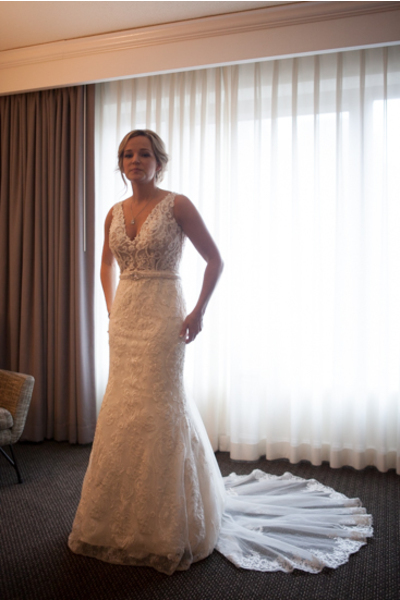 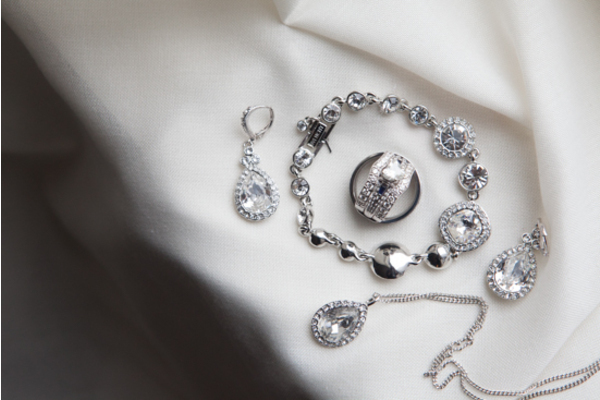 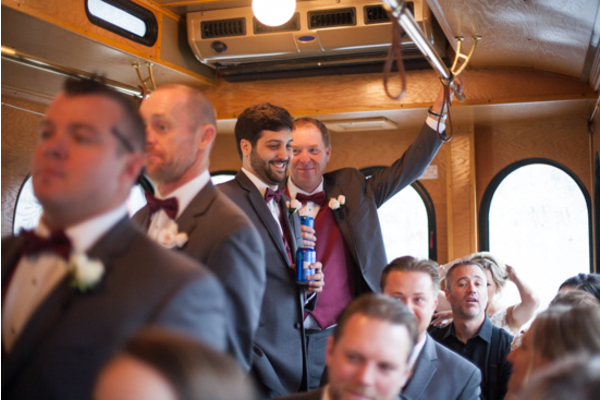 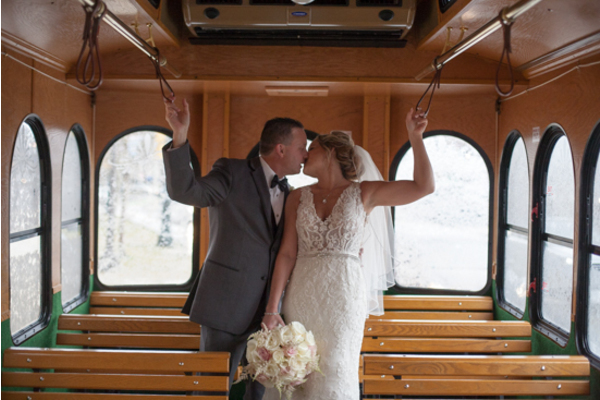 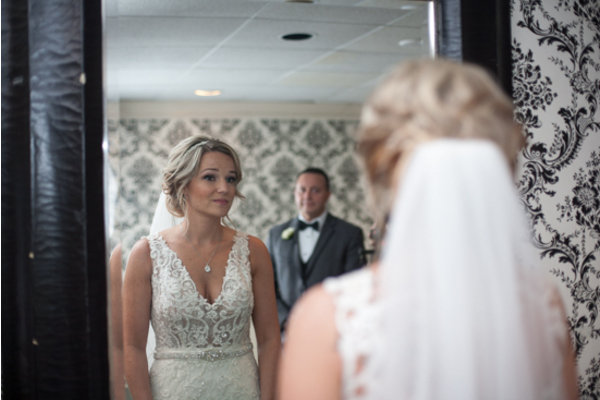 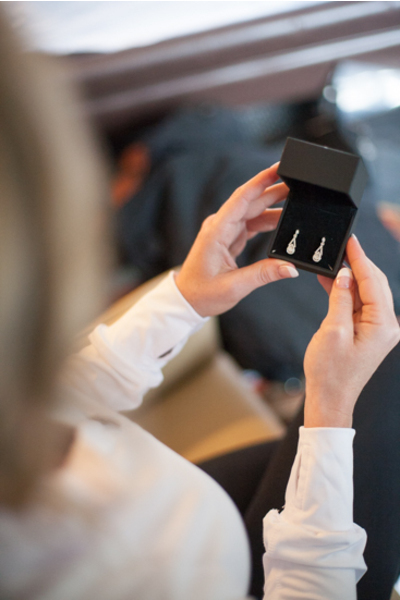 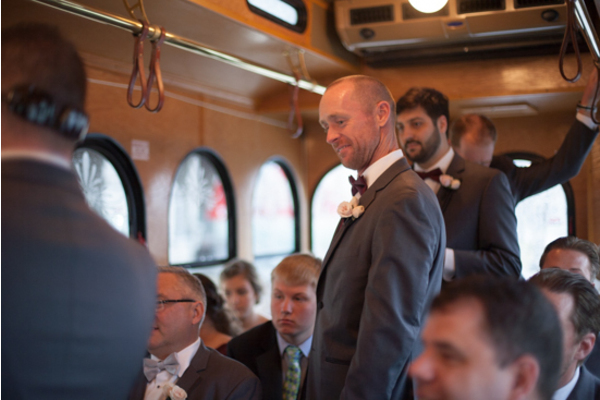 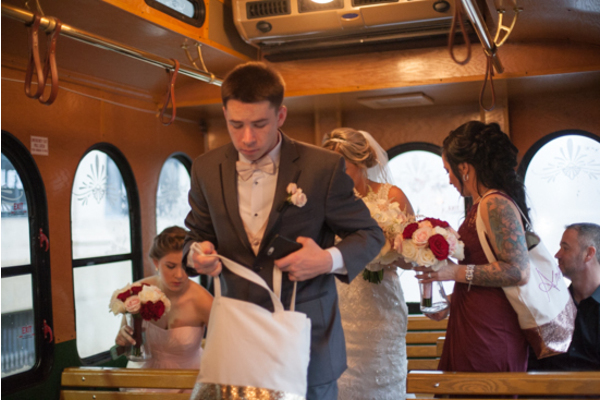 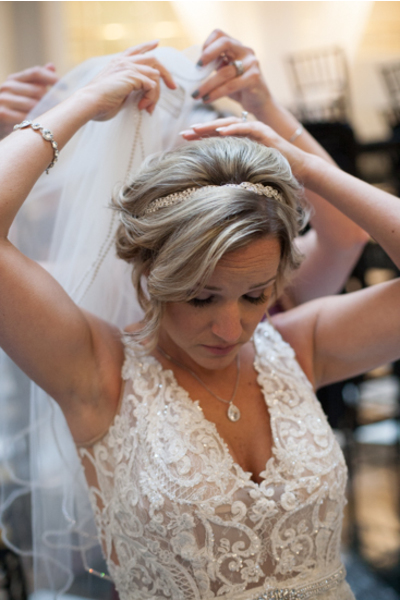 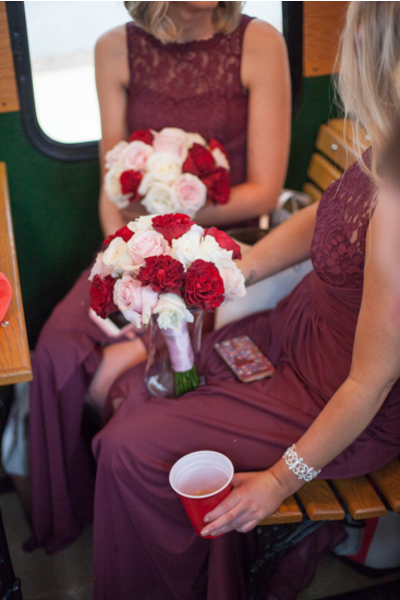 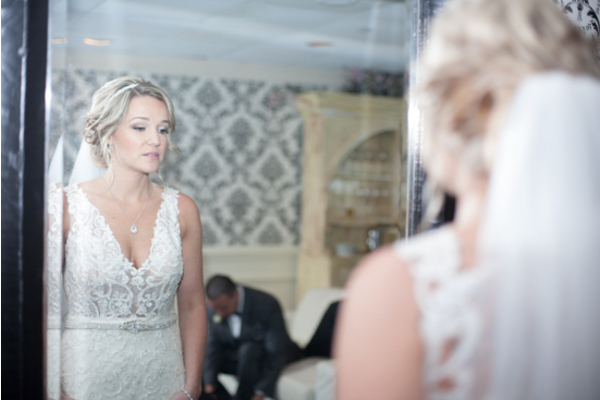 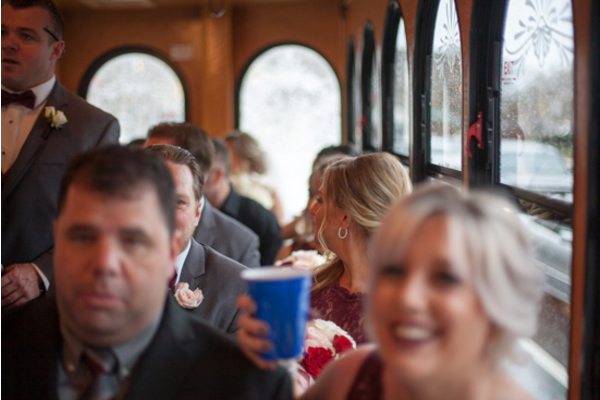 Our NJ Wedding Photographer also captured breath-taking photography on the bus ride on the way to the ceremony. 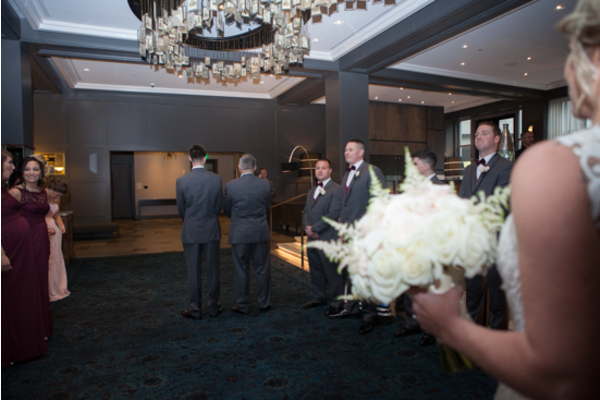 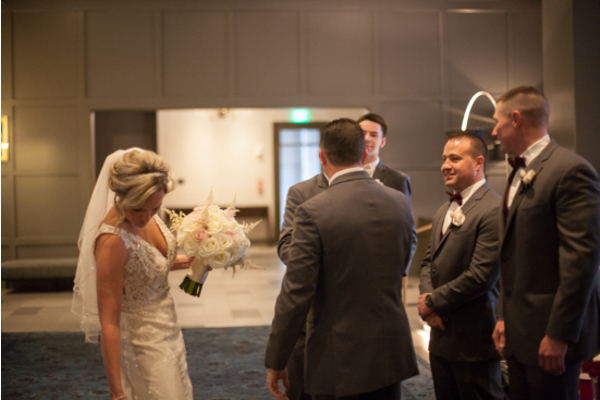 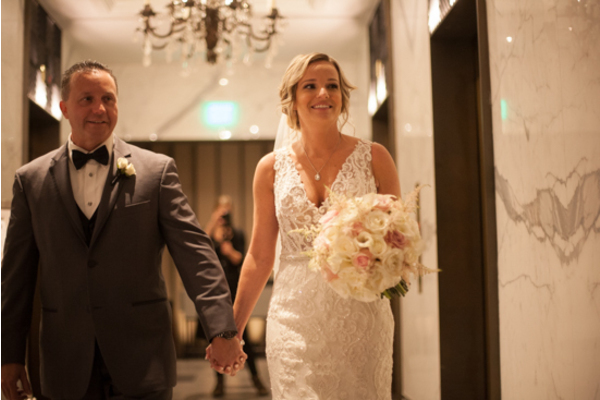 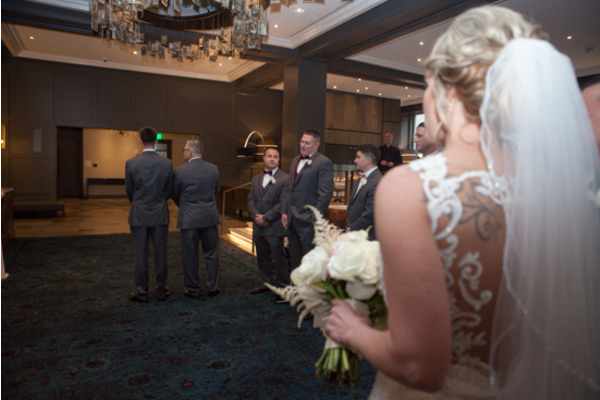 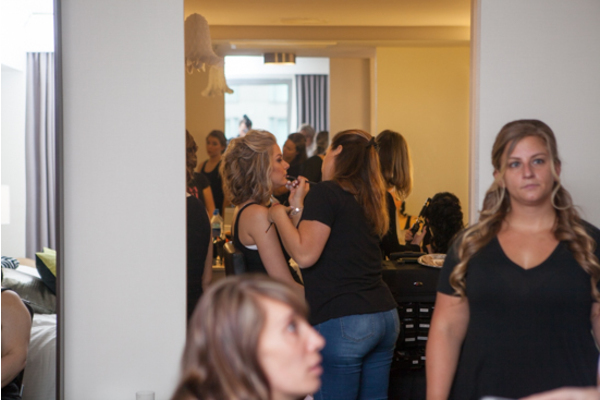 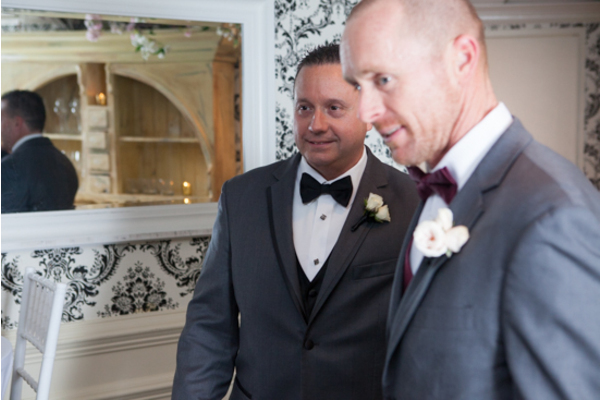 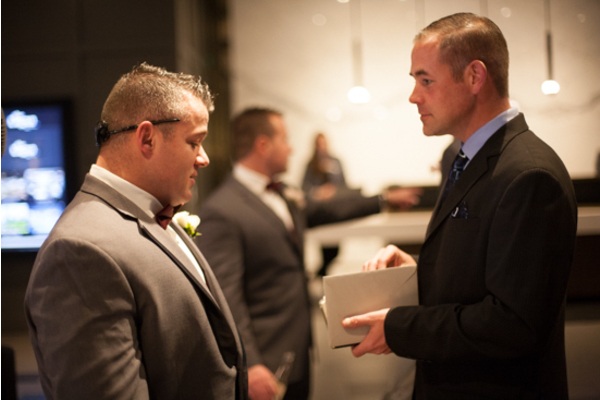 As guests made their way inside for the ceremony, all eyes were on Christi and Anthony! 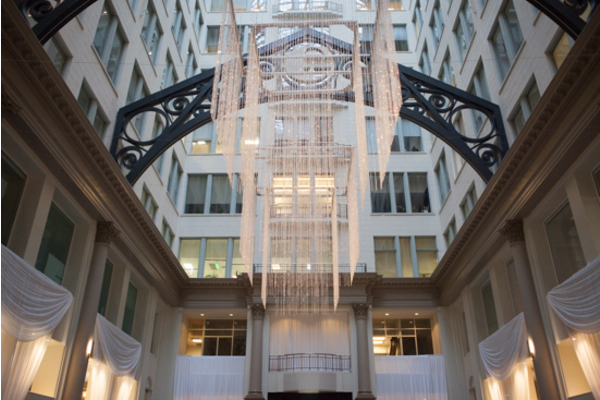 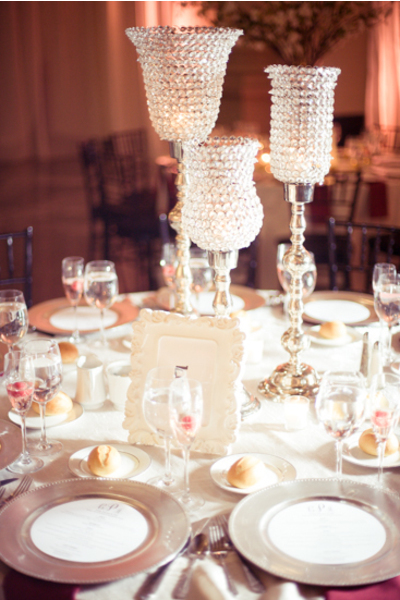 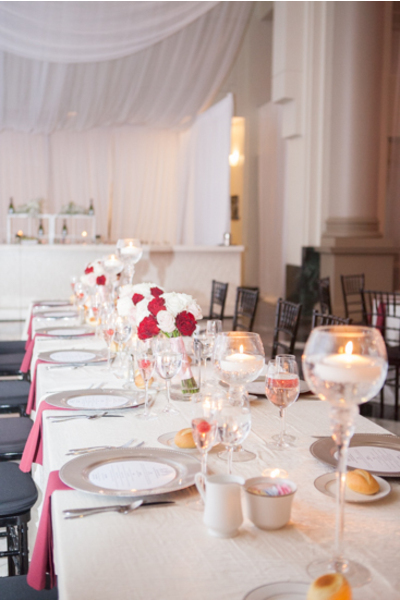 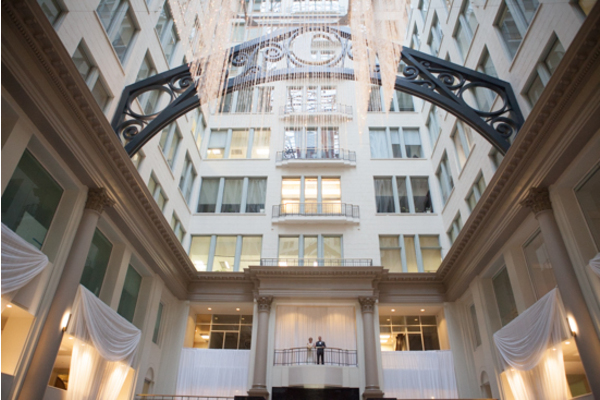 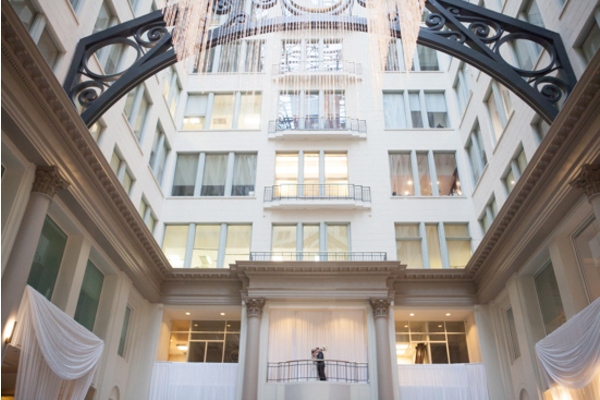 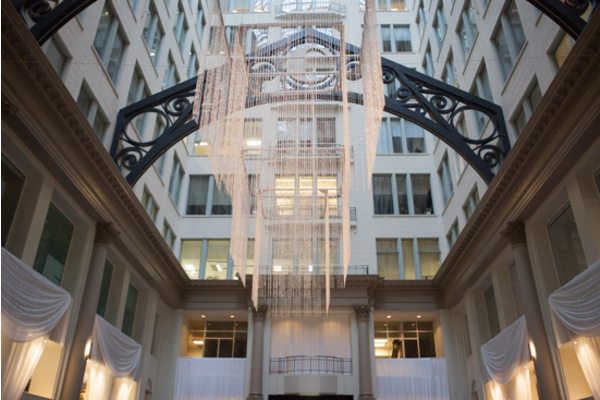 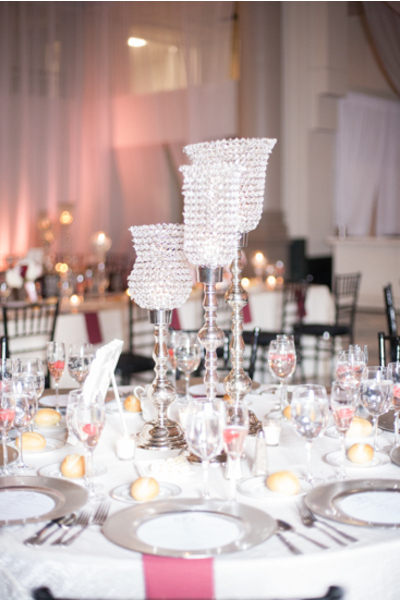 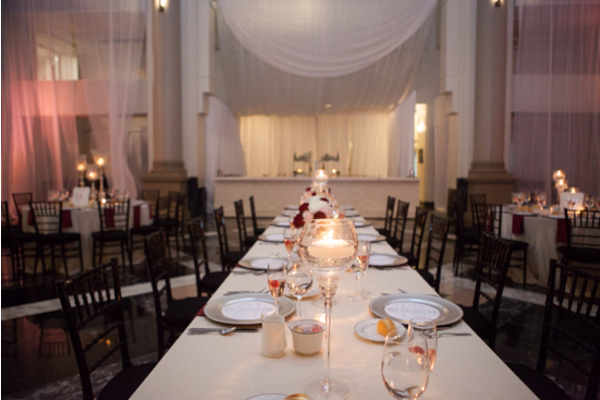 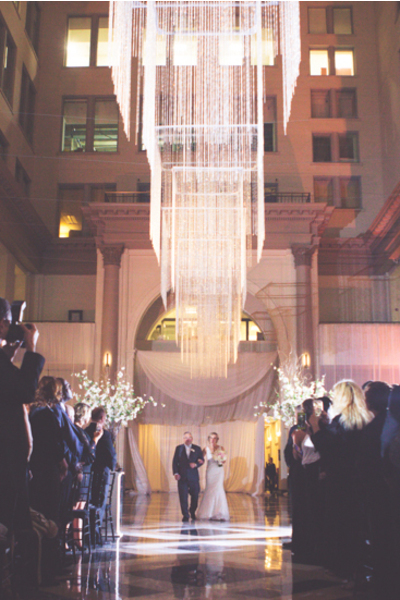 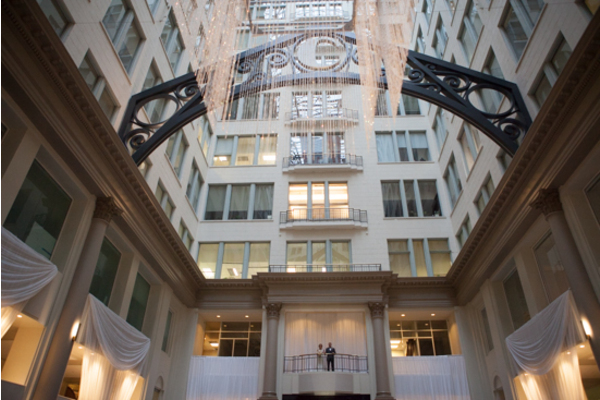 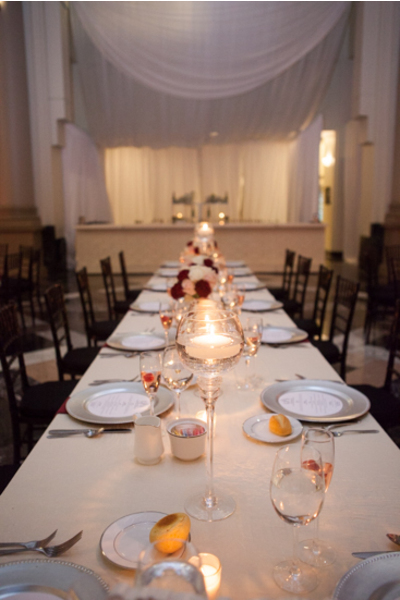 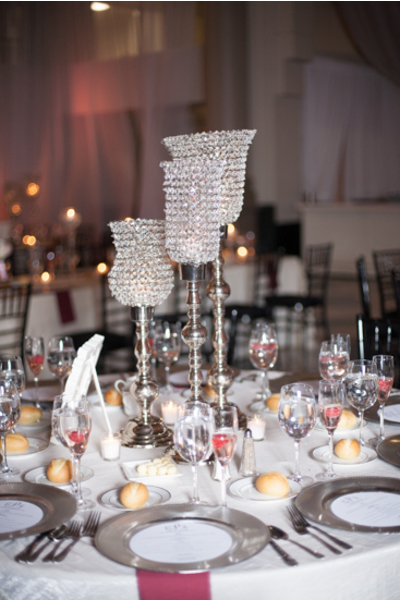 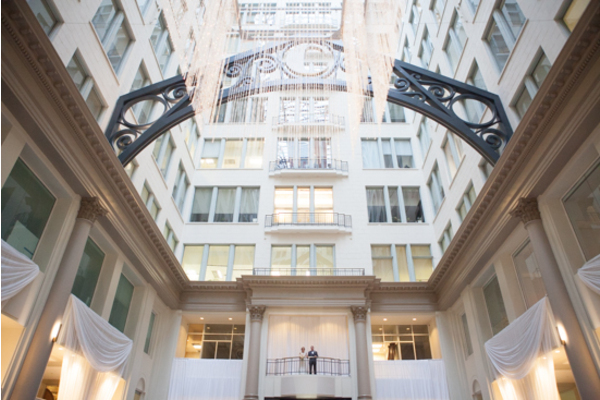 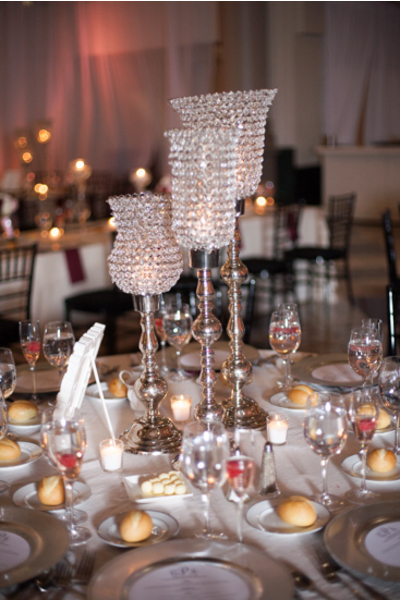 The ceremony room was a wide-open and gorgeous space with high ceilings and an incredible chandelier hanging above. 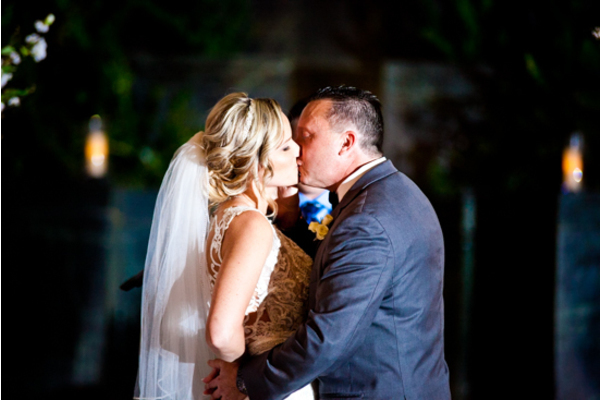 Christi and Anthony exchanged their vows on the alter surrounded by greenery and the perfect amount of lighting. They walked down the aisle together across a unique marble floor for the first time as Mr. and Mrs! 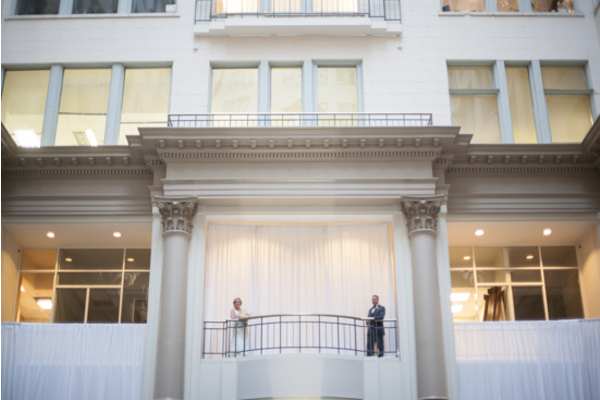 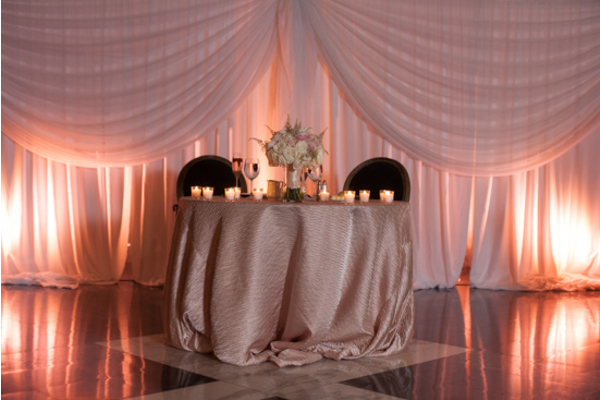 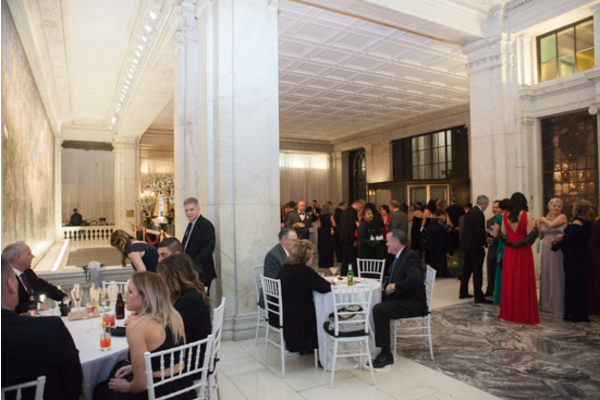 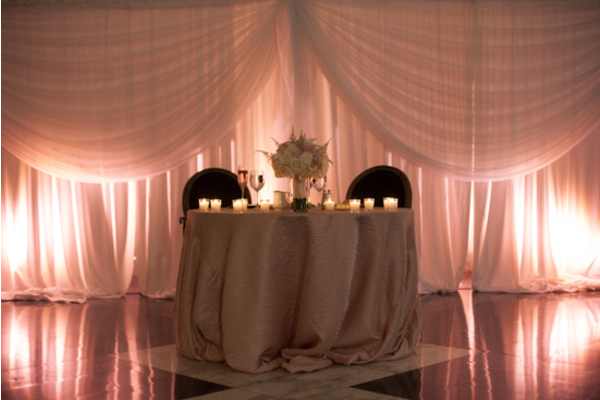 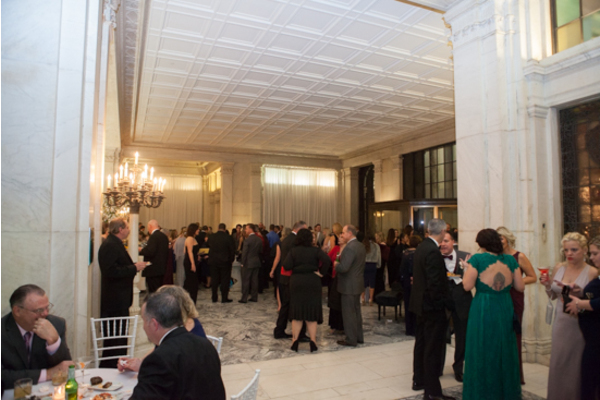 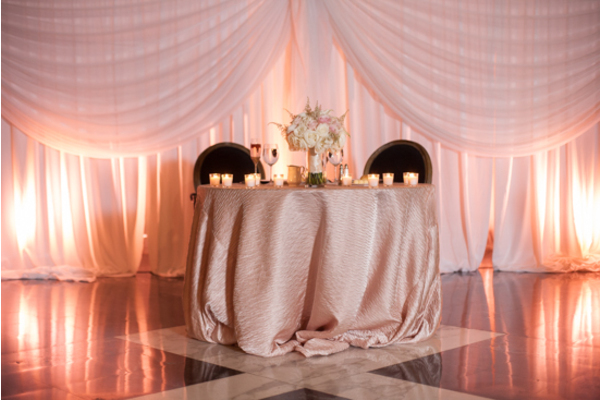 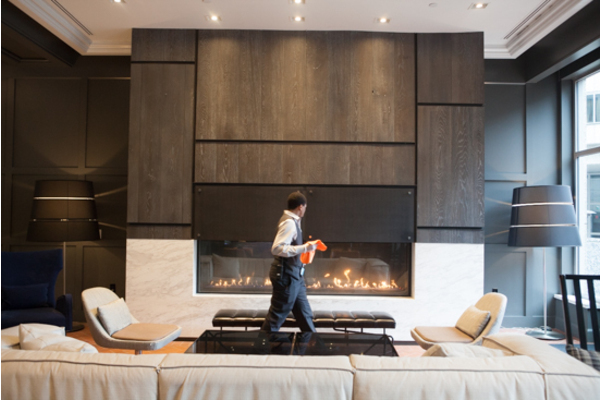 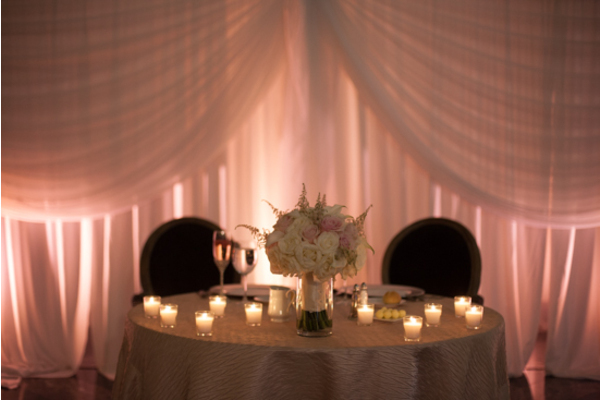 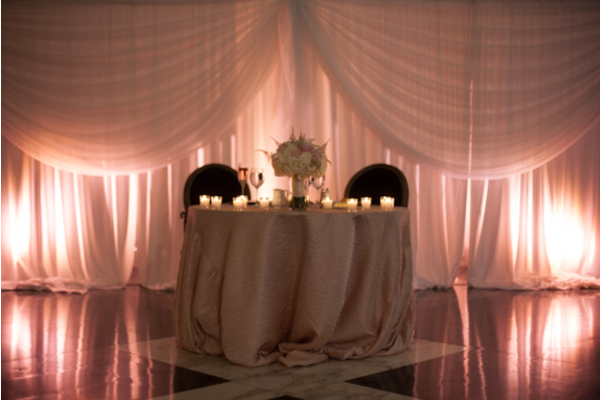 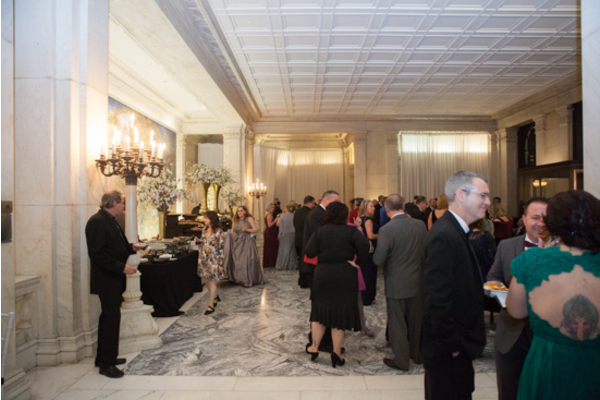 The reception hall was picture-perfect and ready for guests to file in for a night of celebrating! 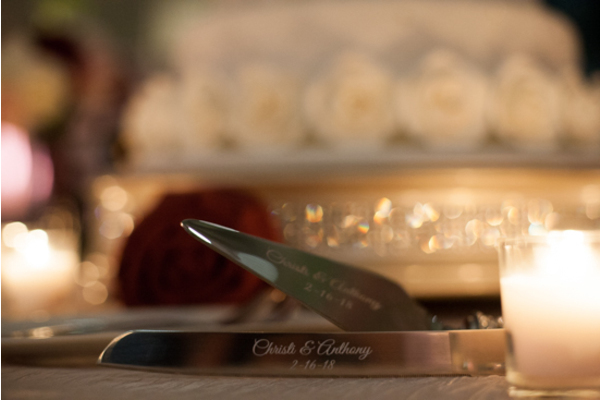 The sweetheart table for Christi and Anthony was decorated with white flowers, candles, and an American flag wooden sign. 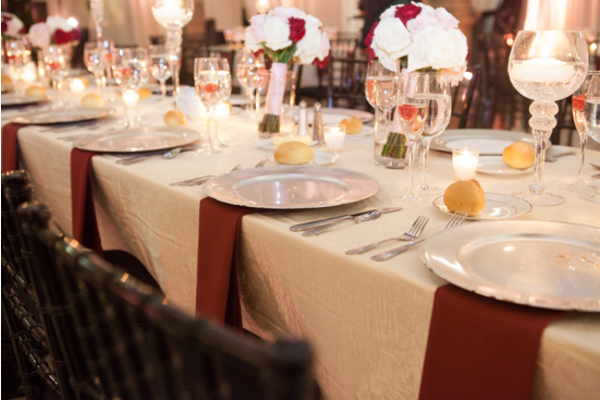 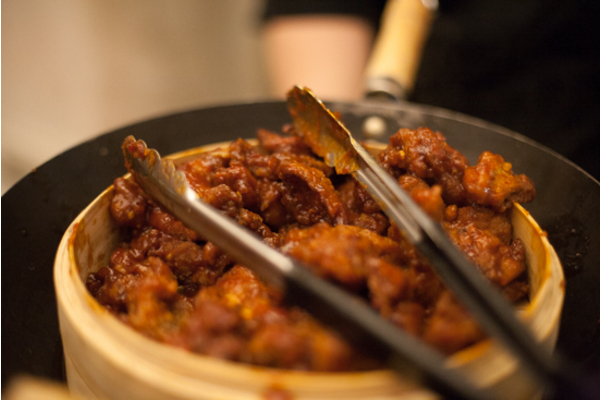 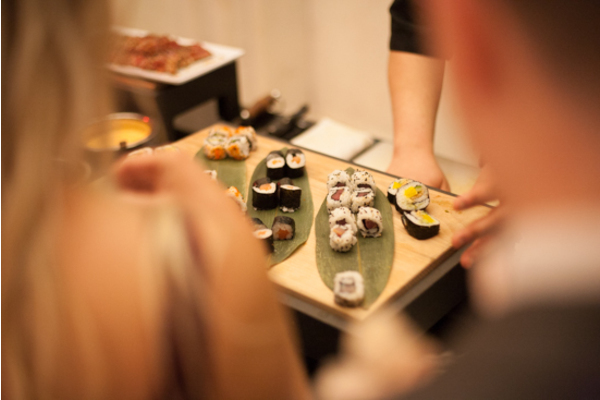 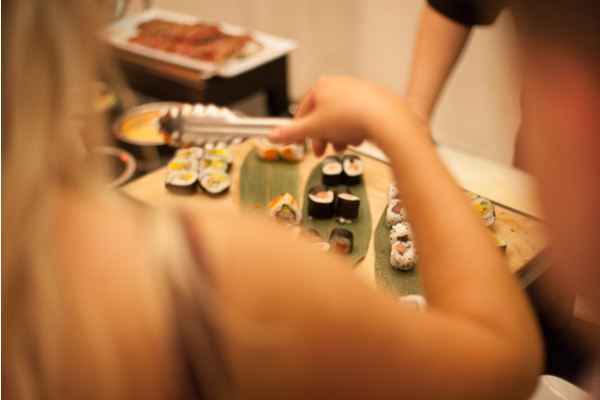 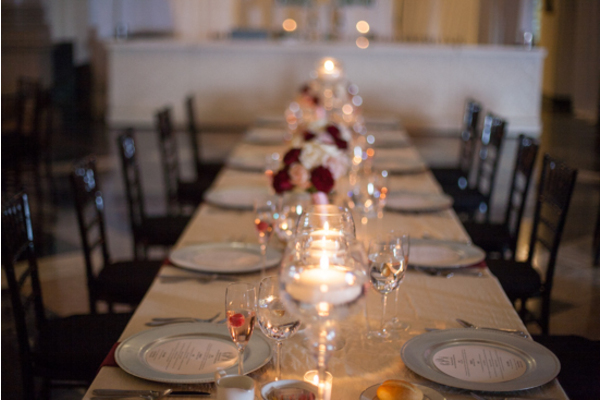 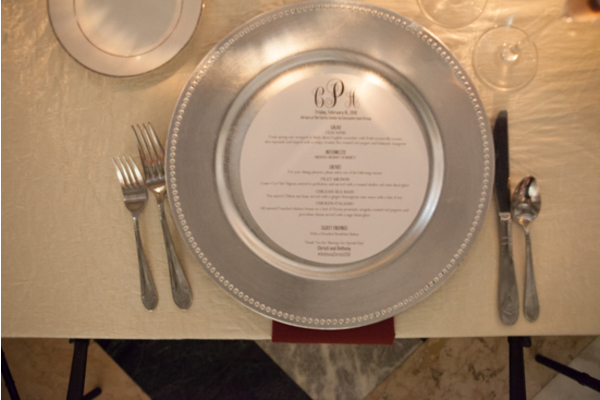 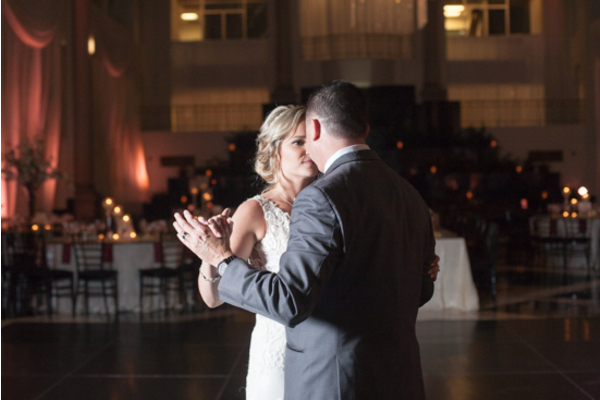 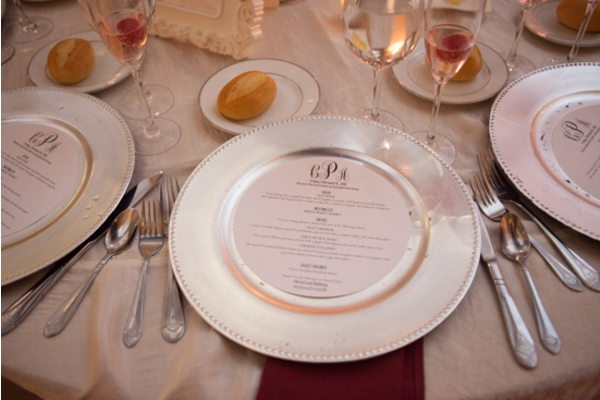 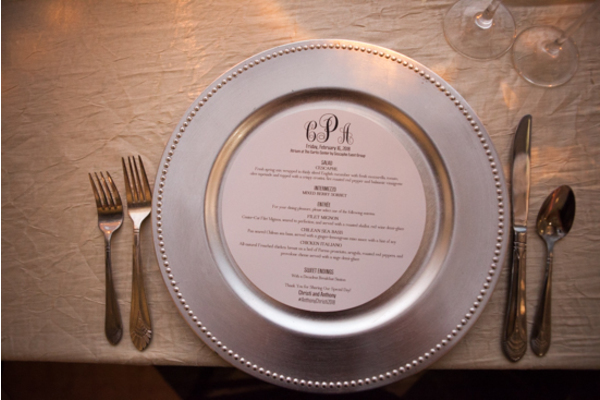 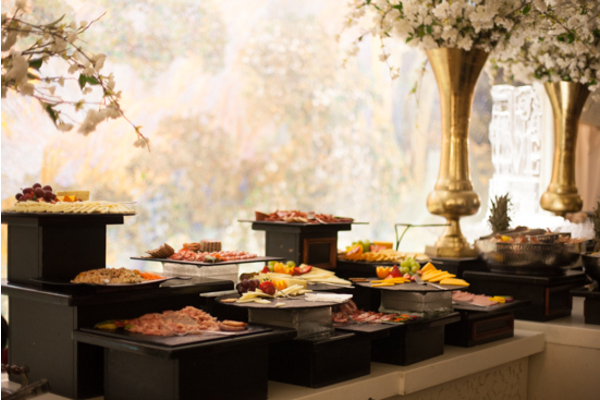 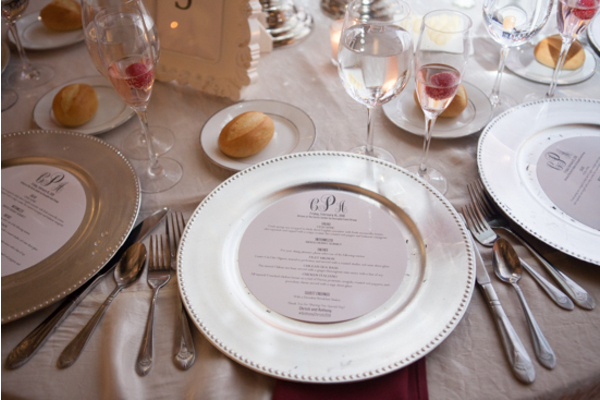 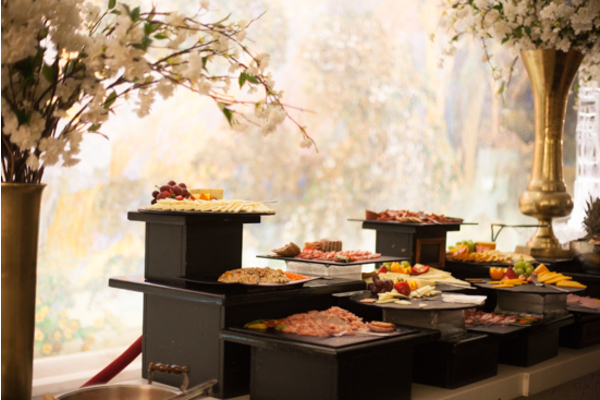 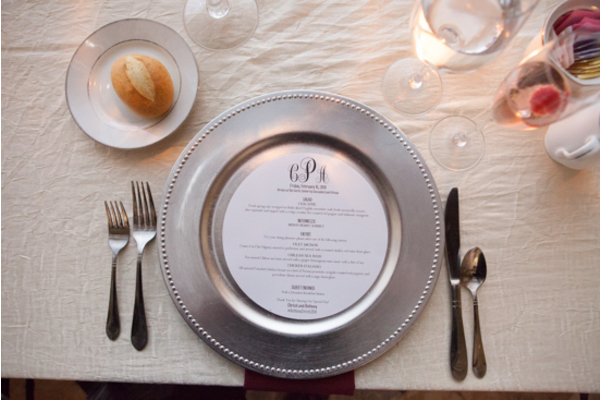 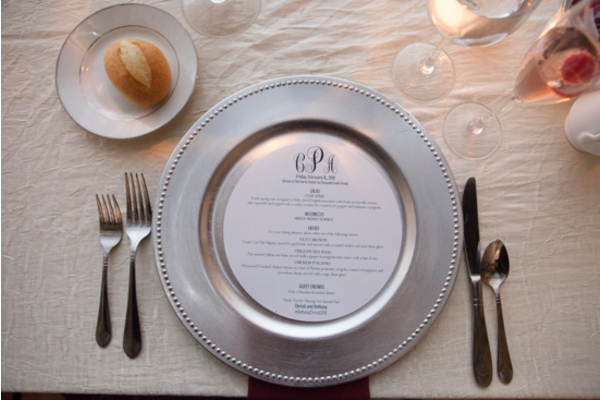 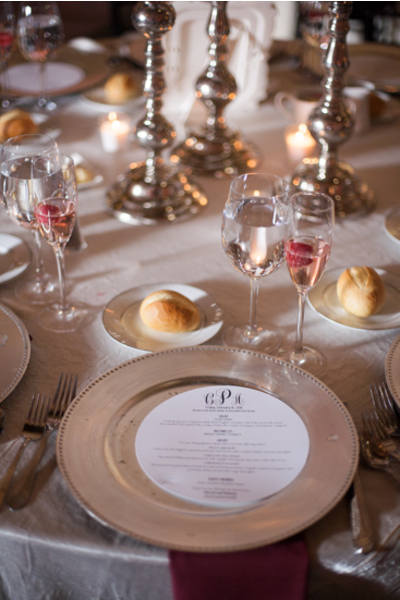 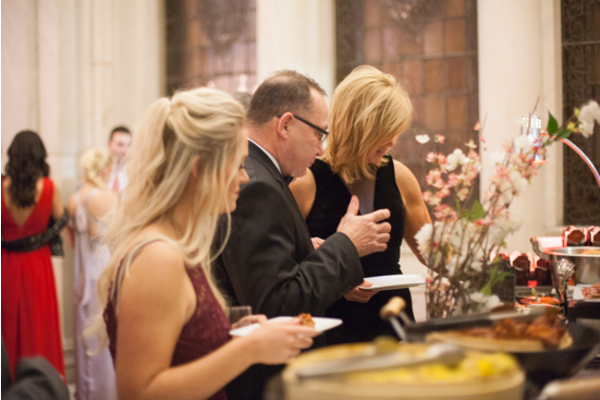 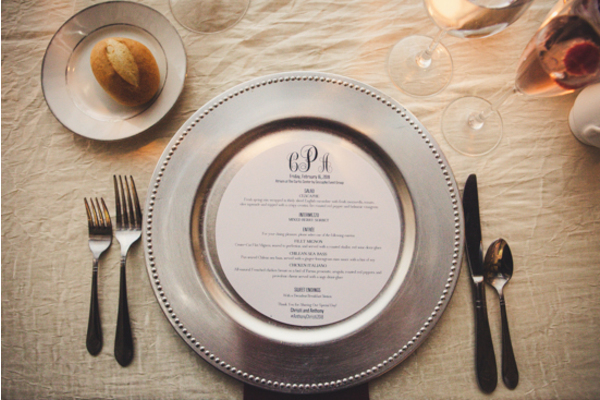 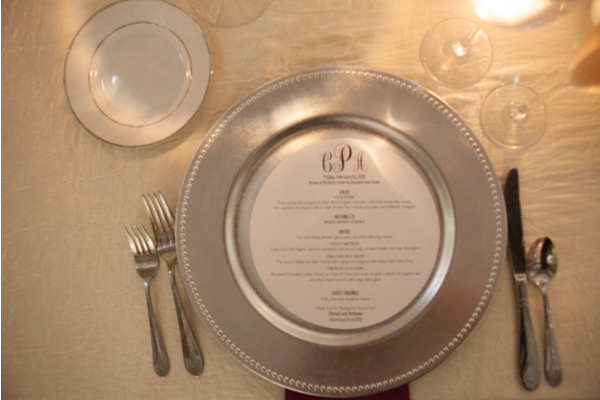 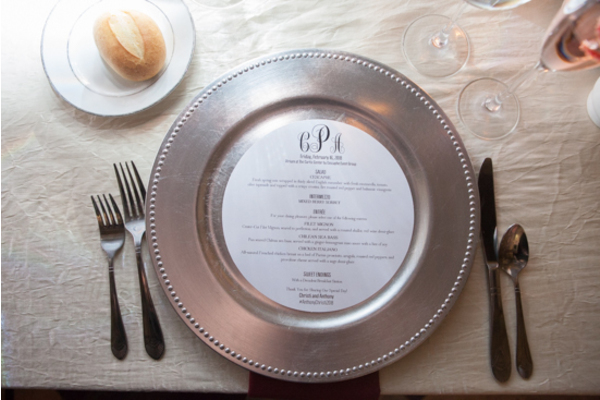 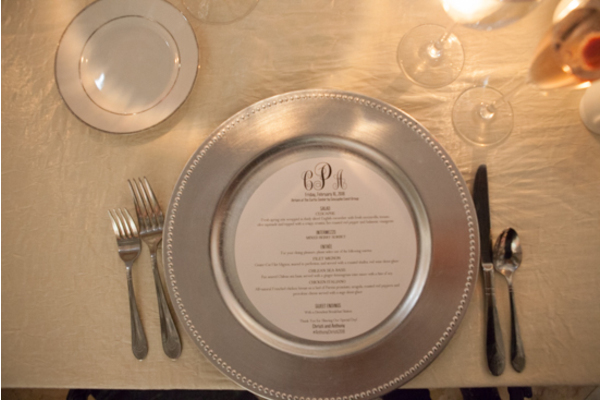 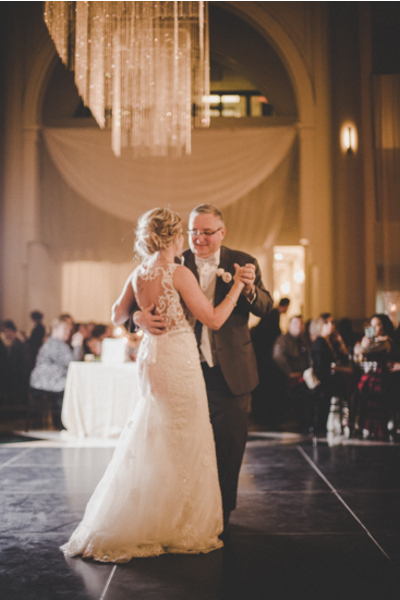 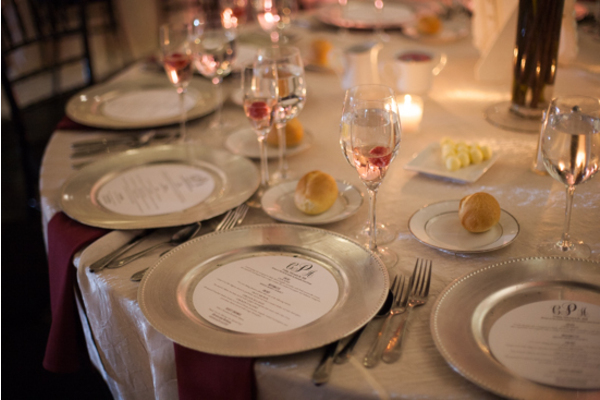 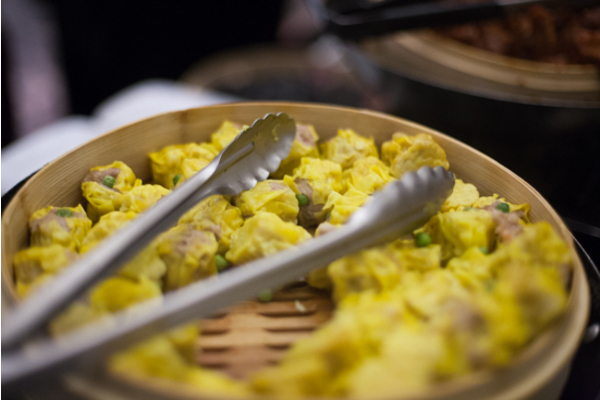 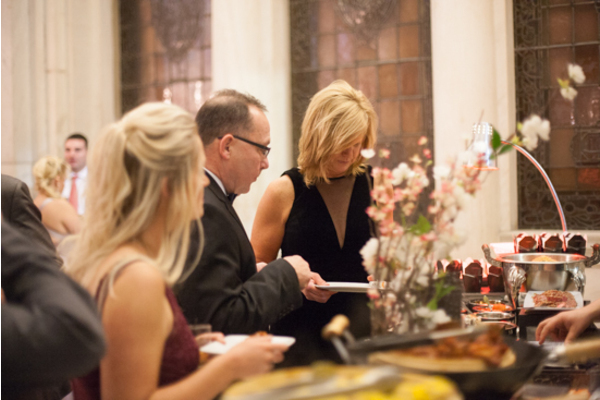 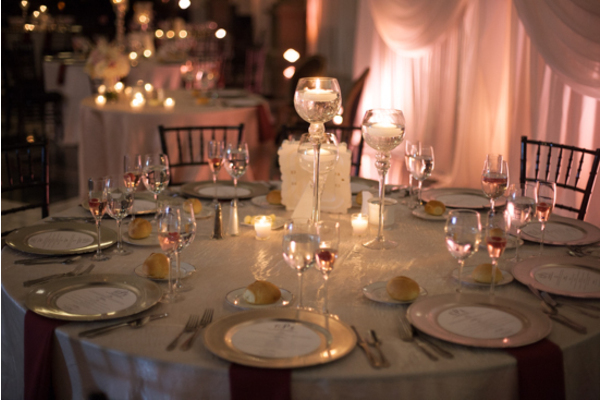 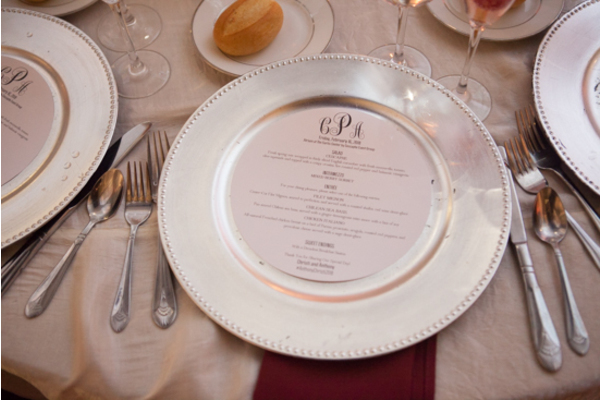 The night was filled with great food and great memories out on the dance floor. 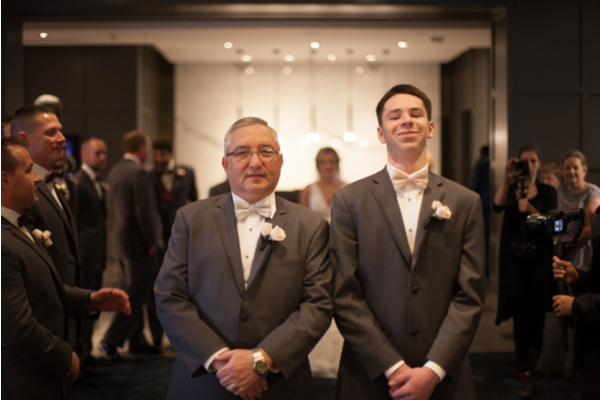 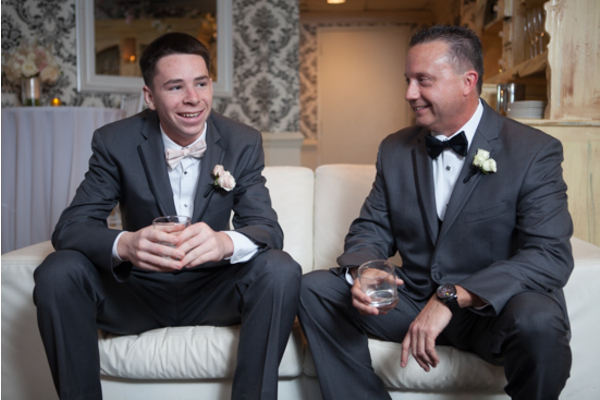 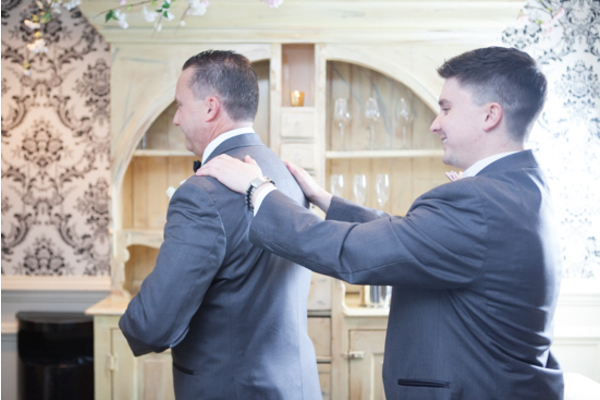 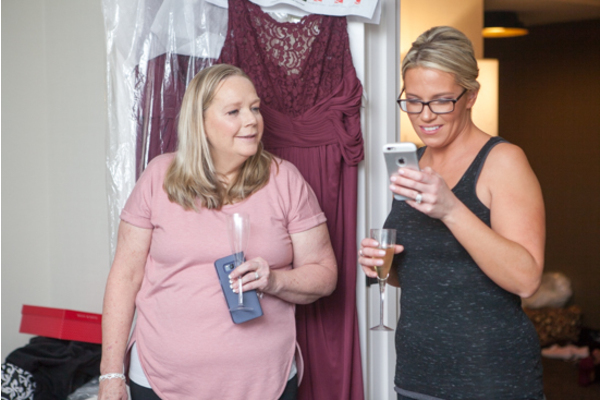 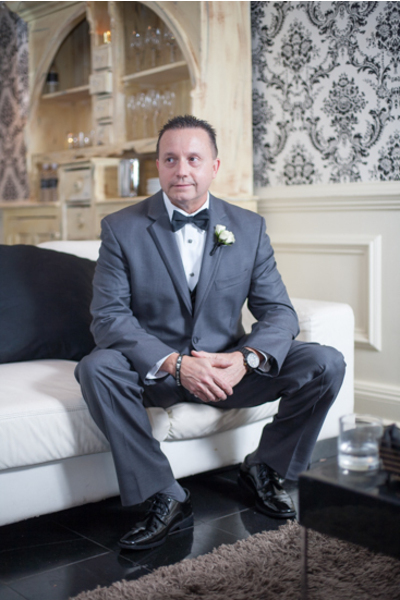 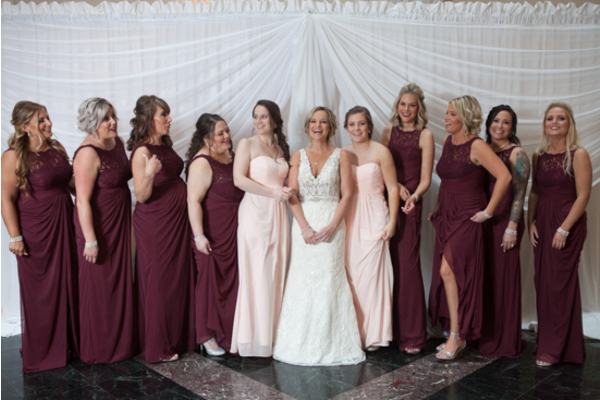 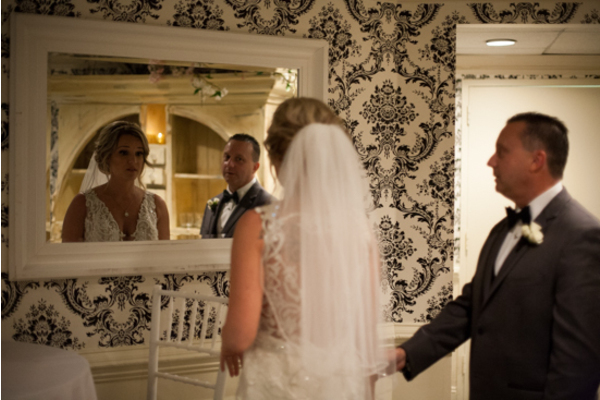 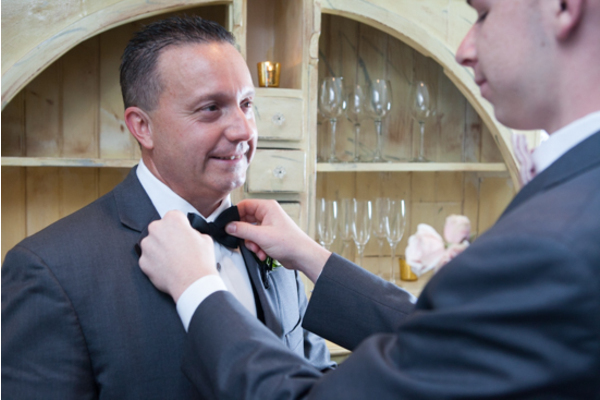 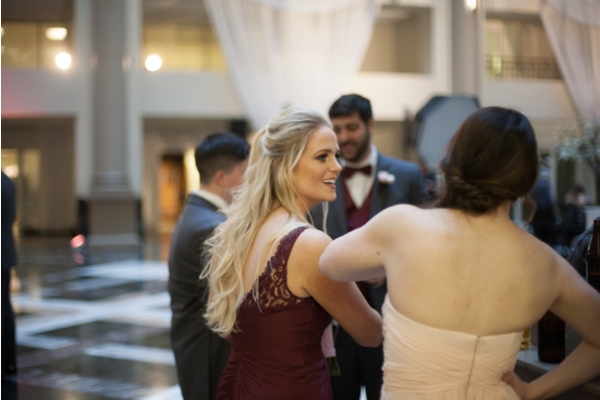 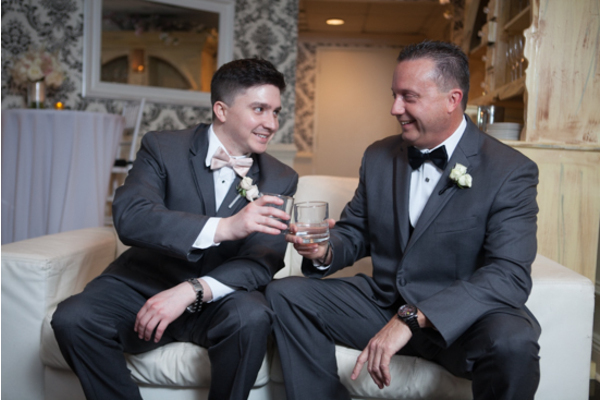 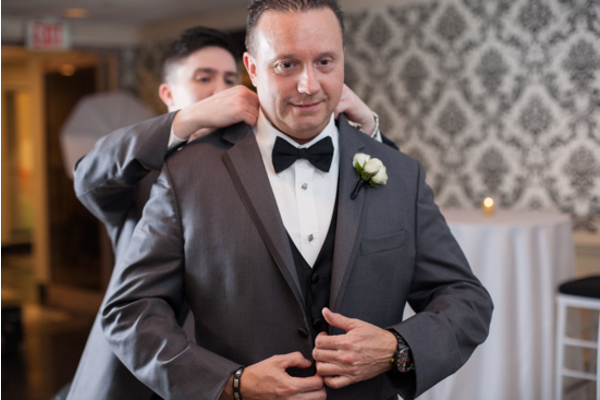 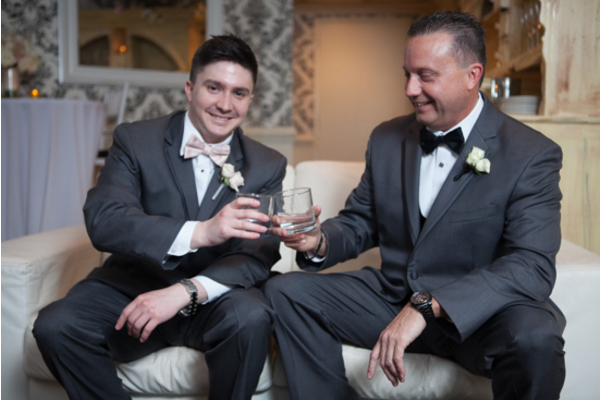 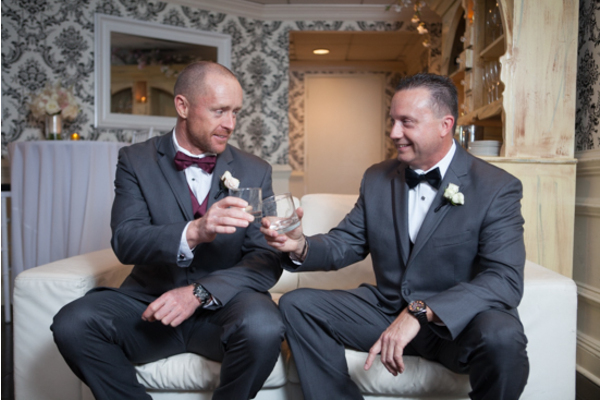 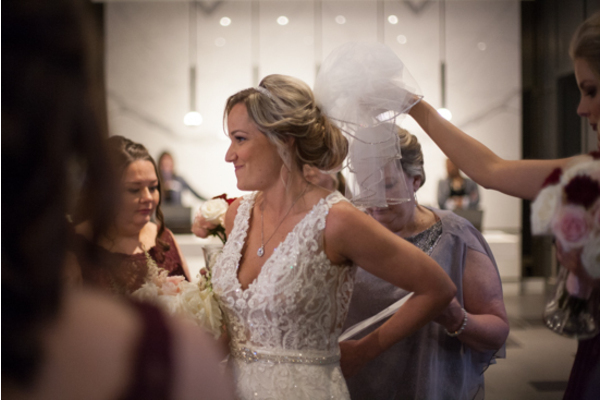 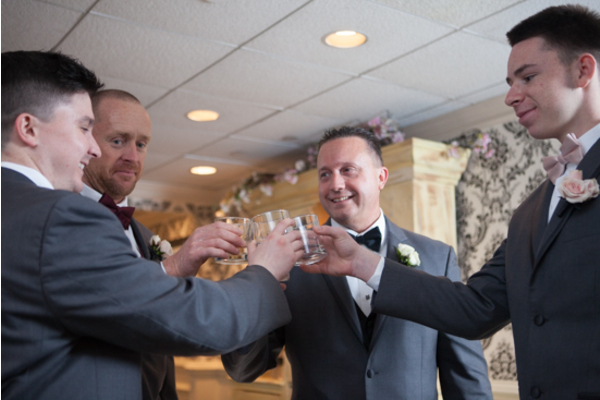 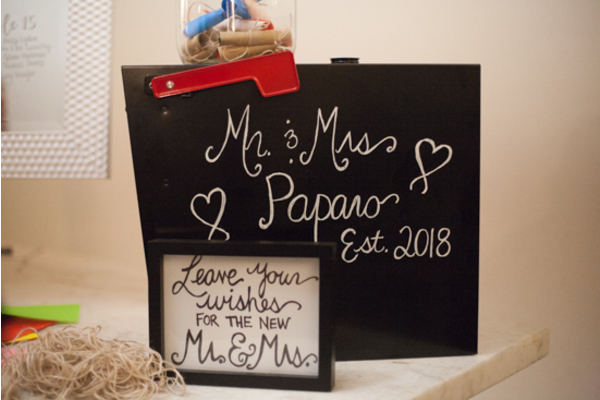 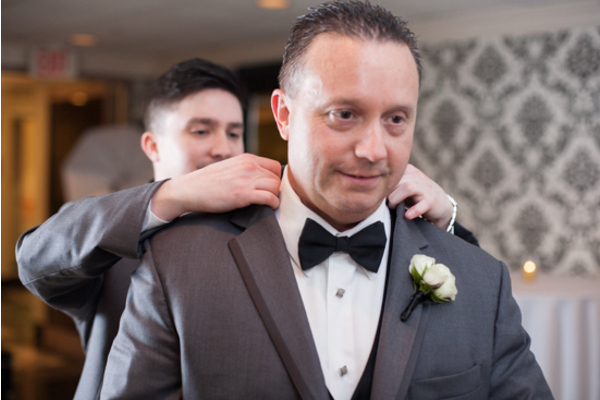 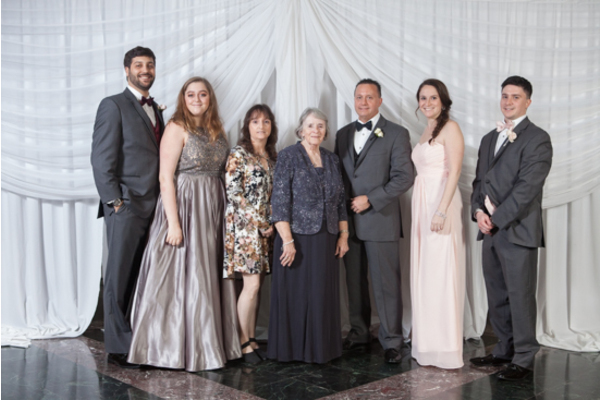 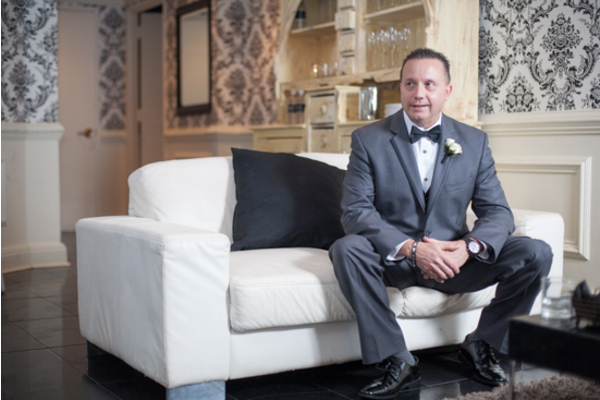 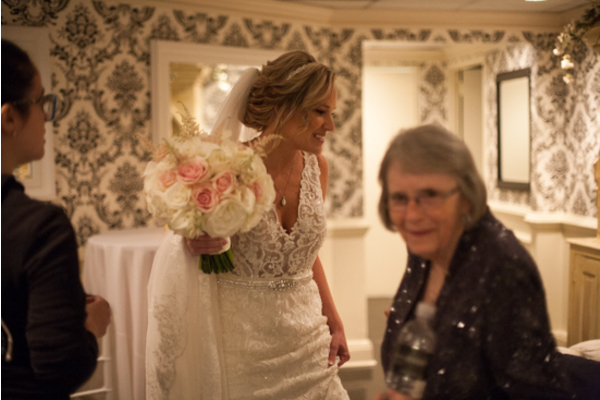 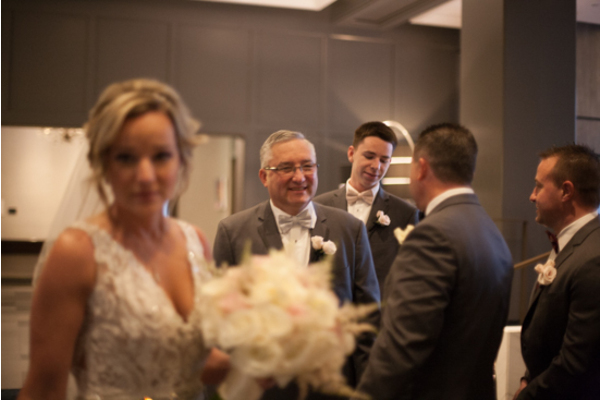 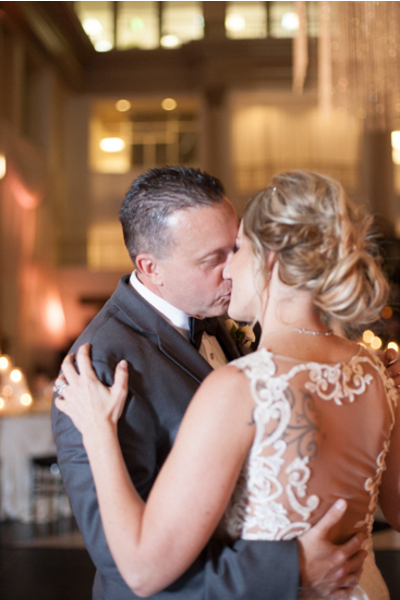 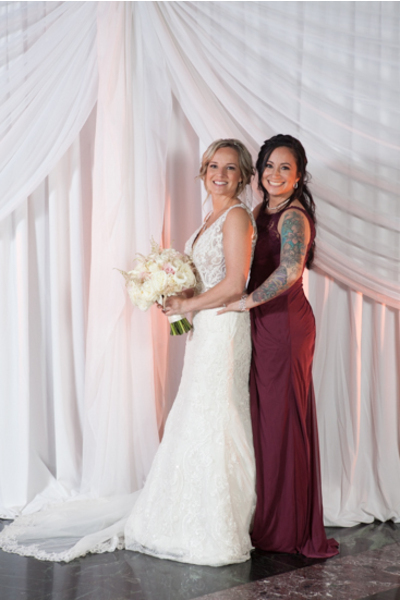 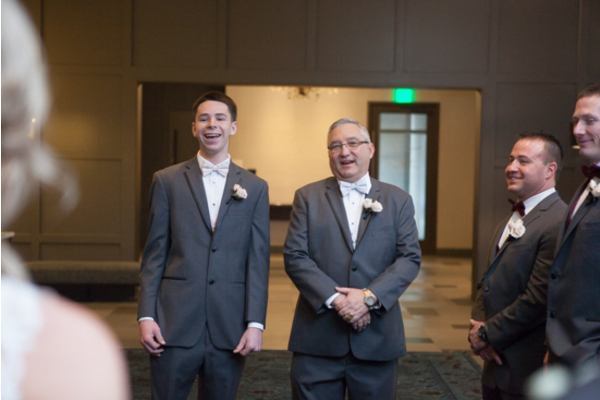 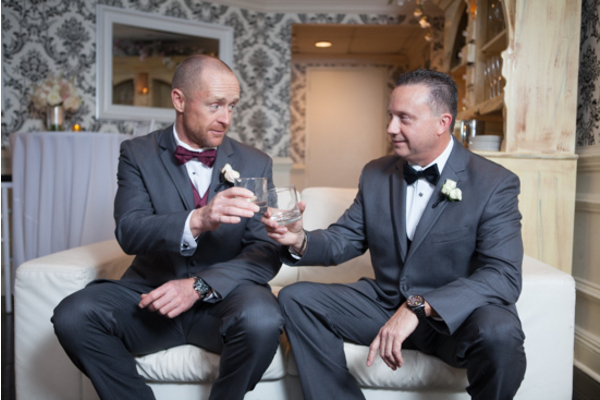 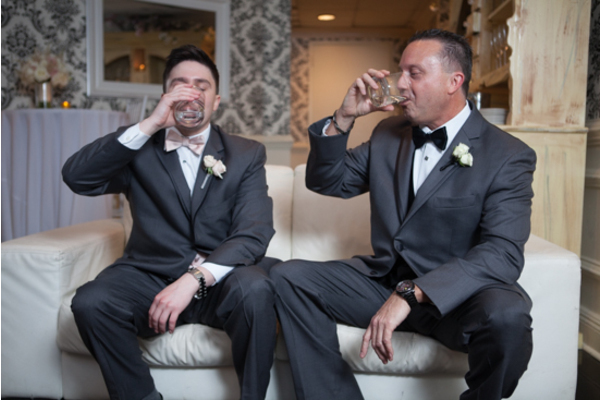 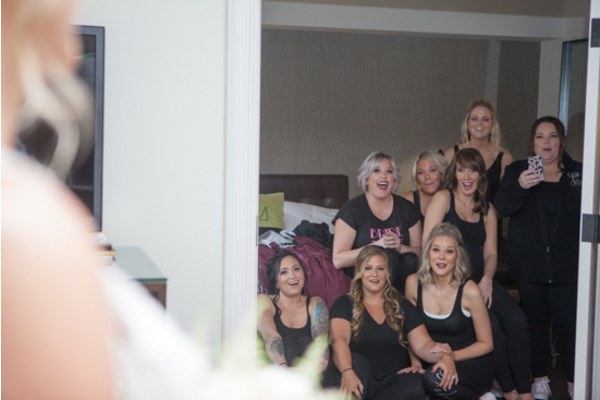 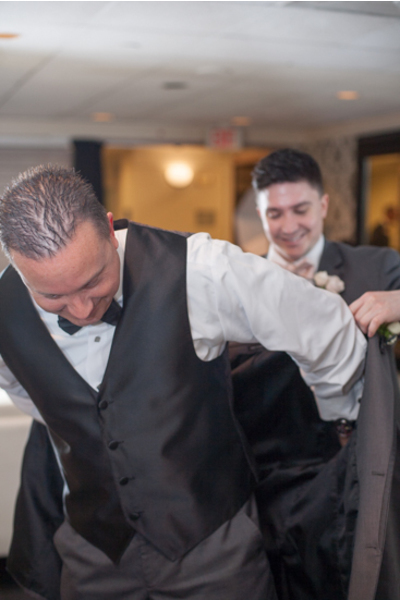 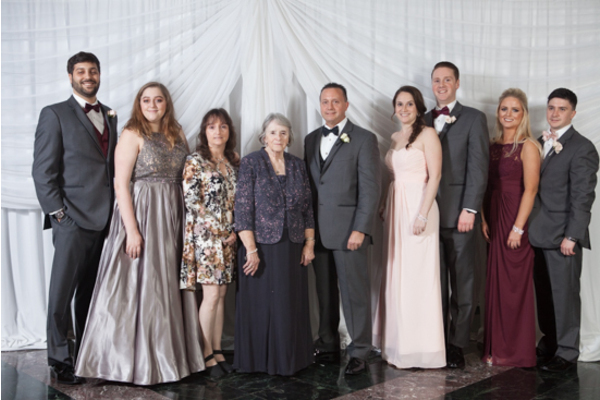 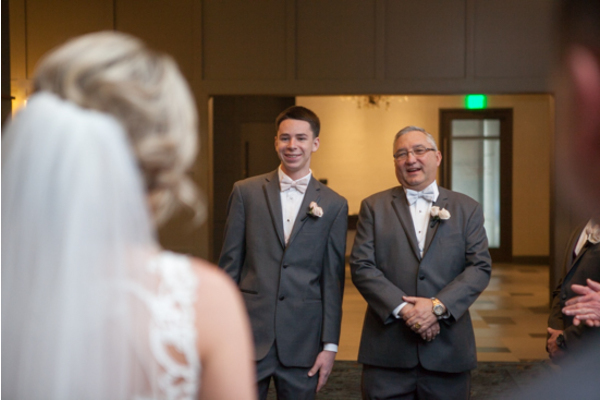 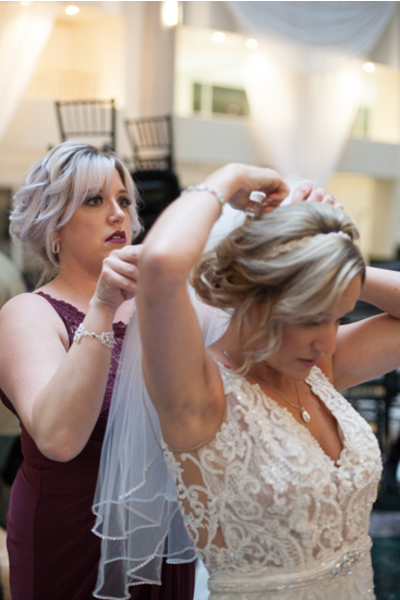 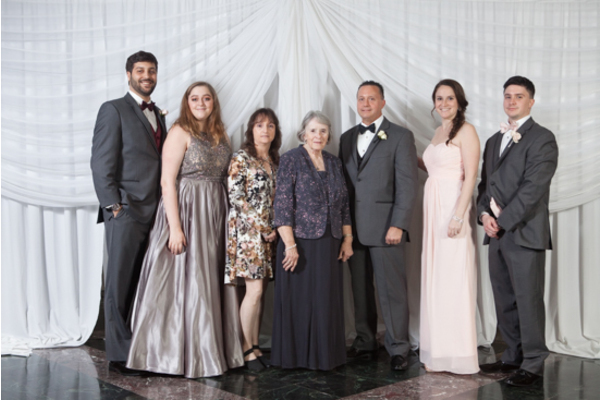 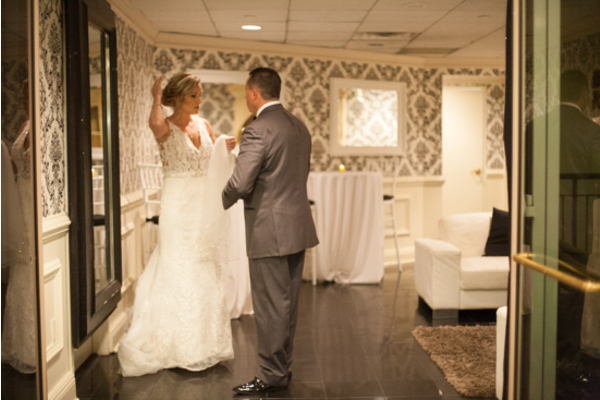 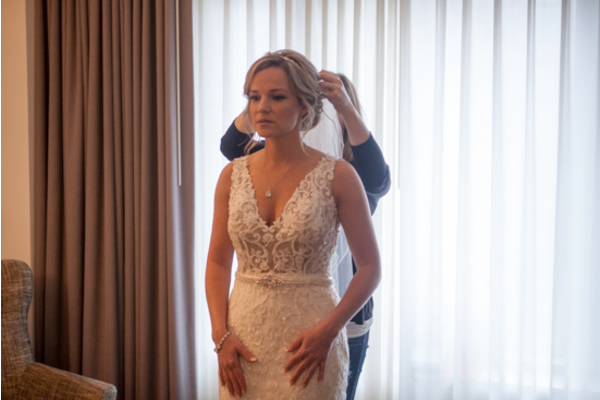 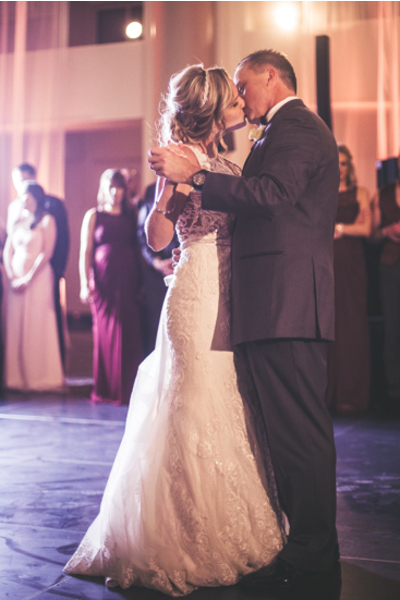 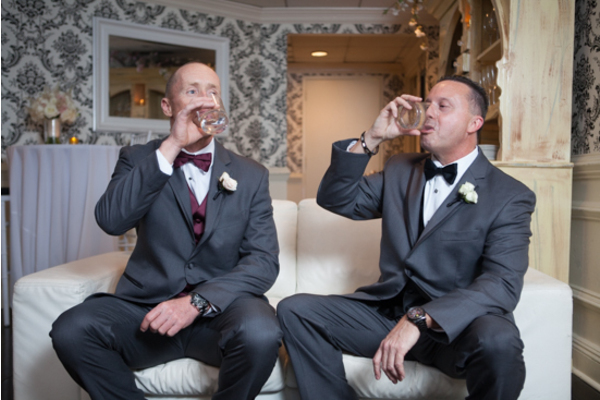 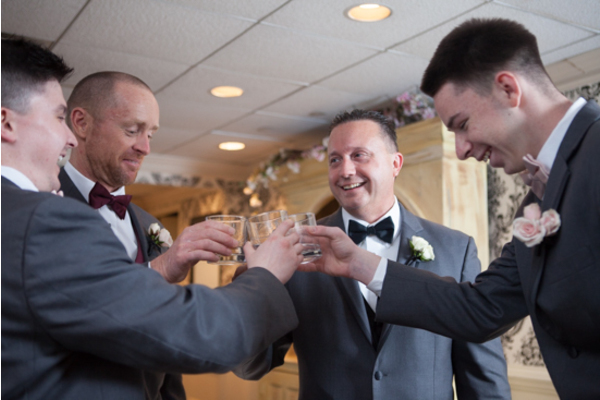 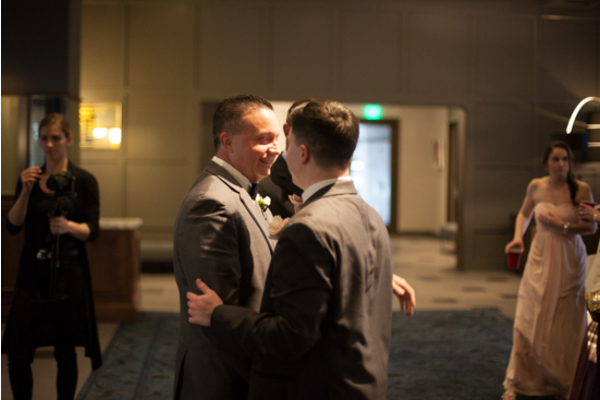 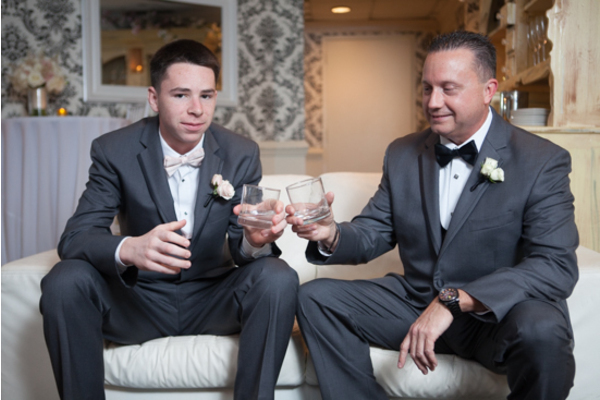 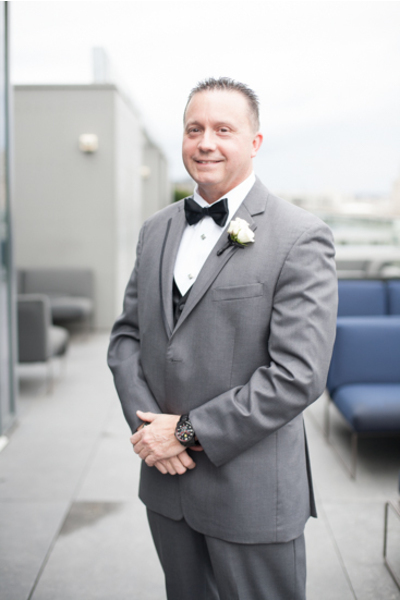 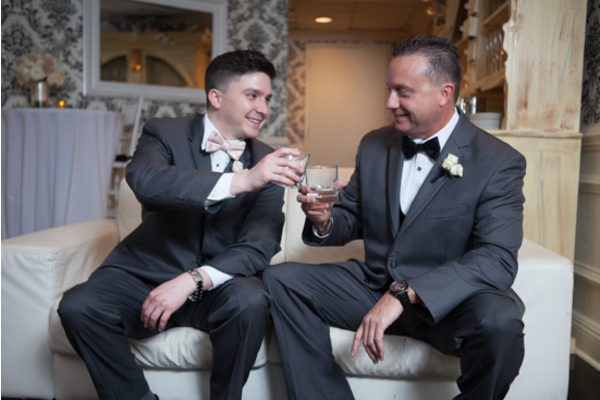 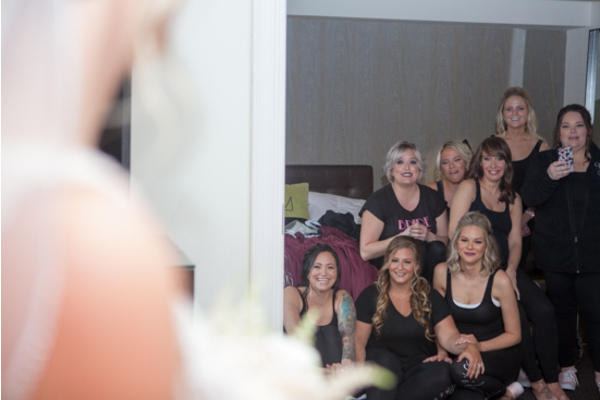 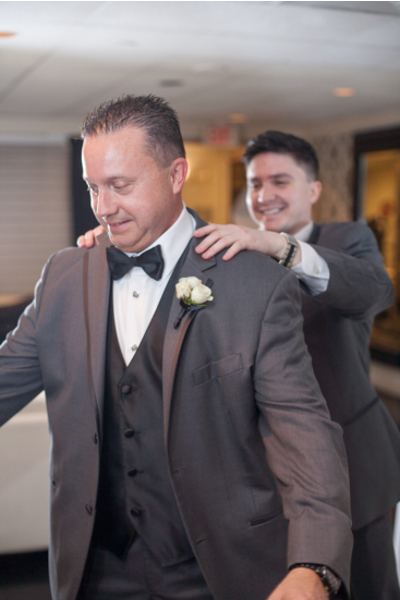 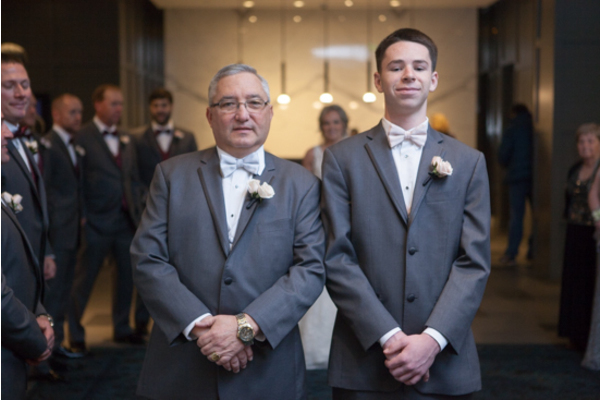 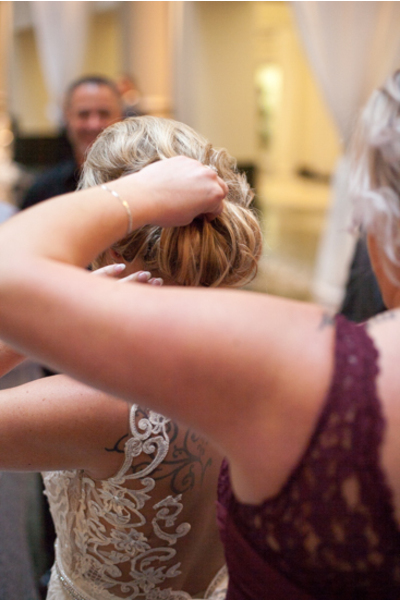 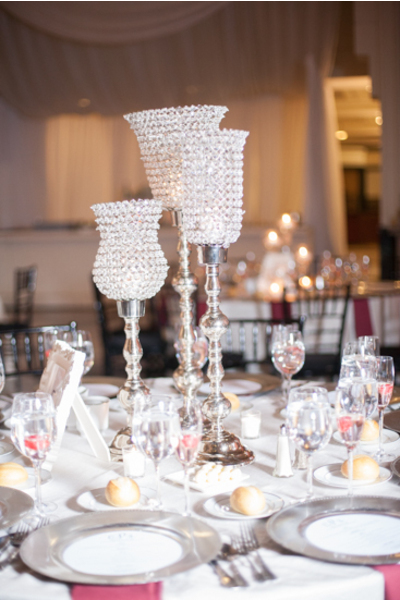 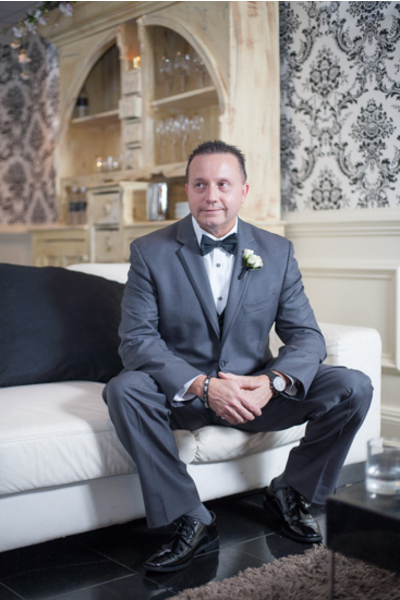 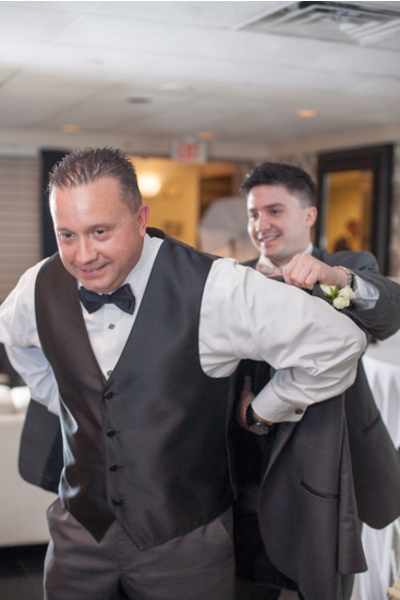 Our NJ Wedding Videographer captured the romantic and candid moments throughout the night whether the couple was dancing or sitting at their sweetheart table. 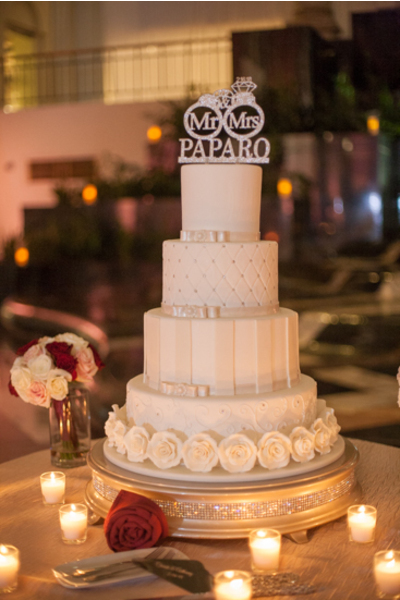 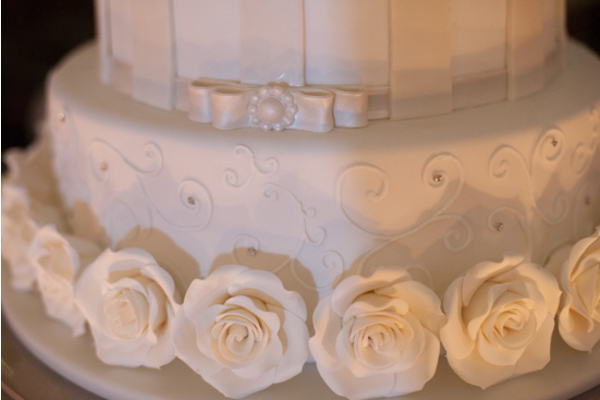 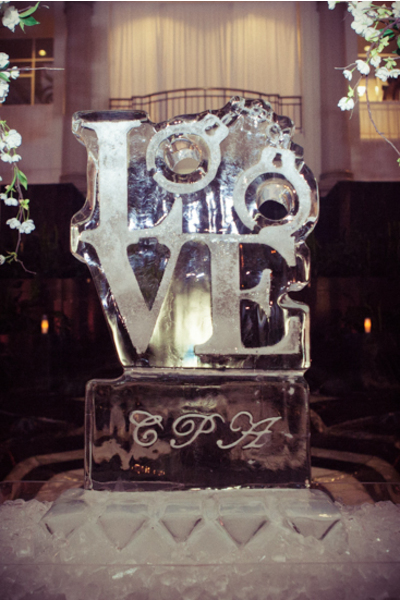 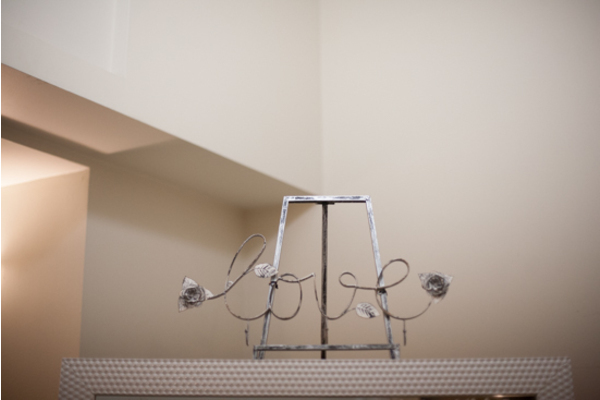 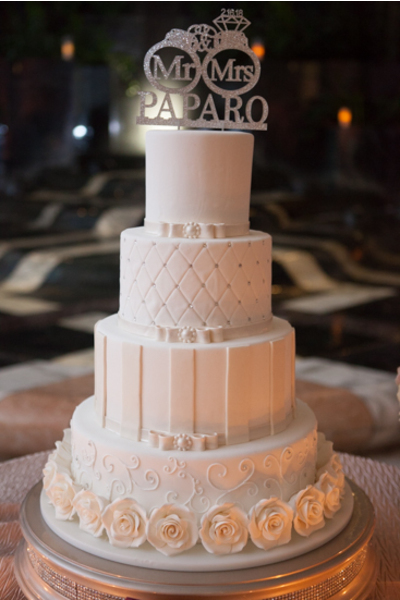 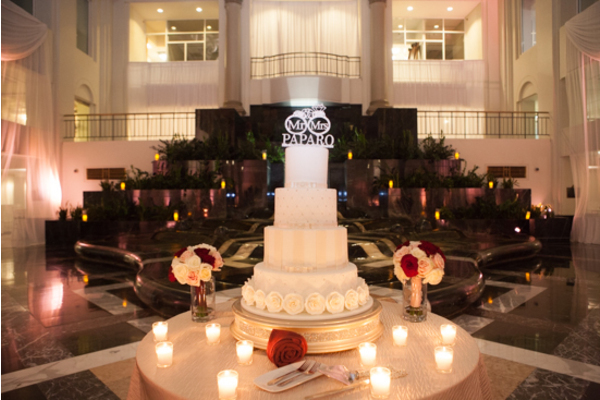 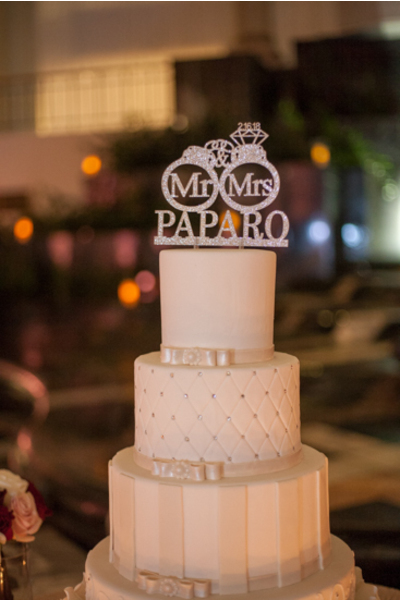 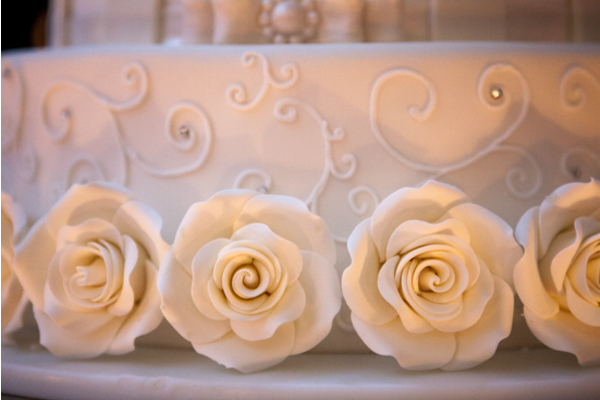 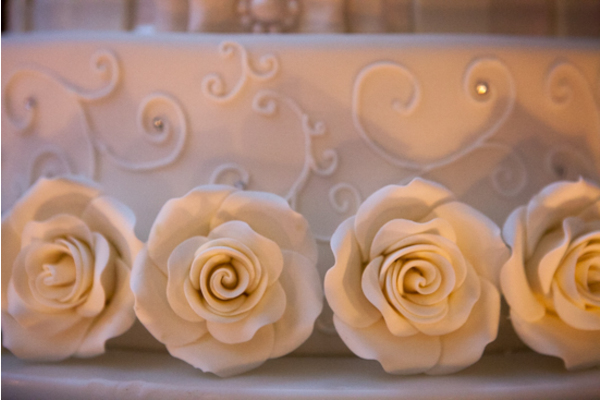 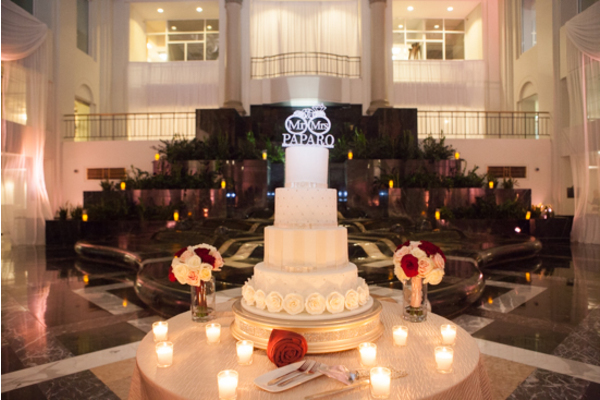 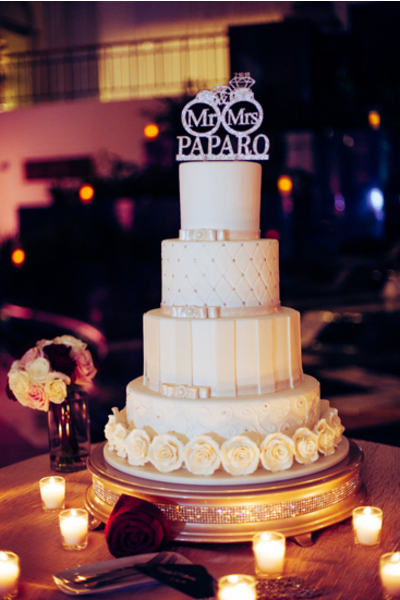 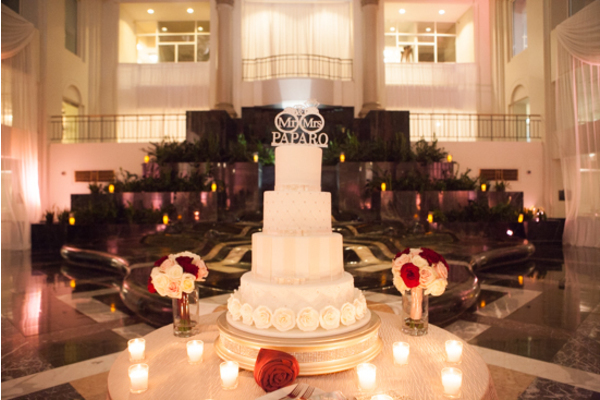 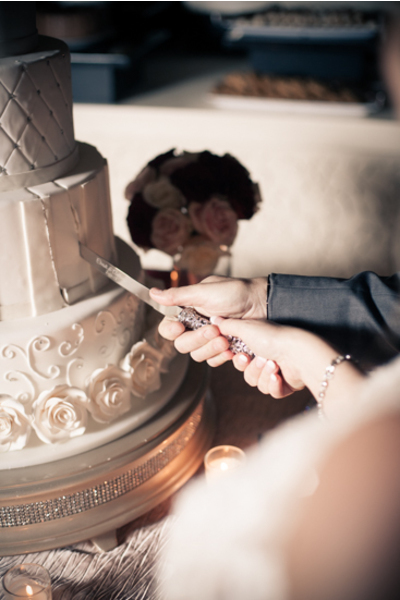 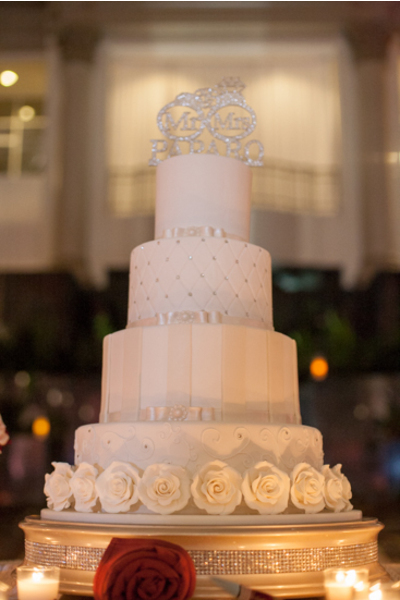 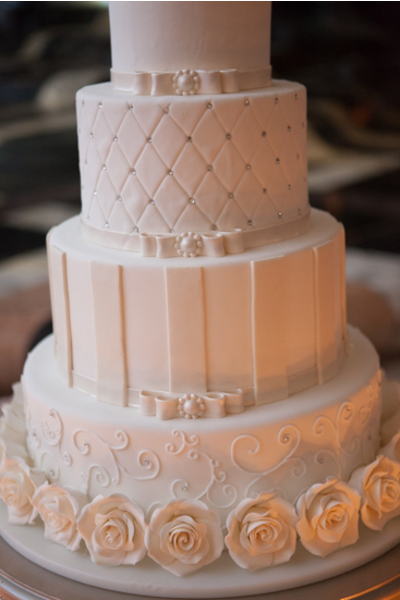 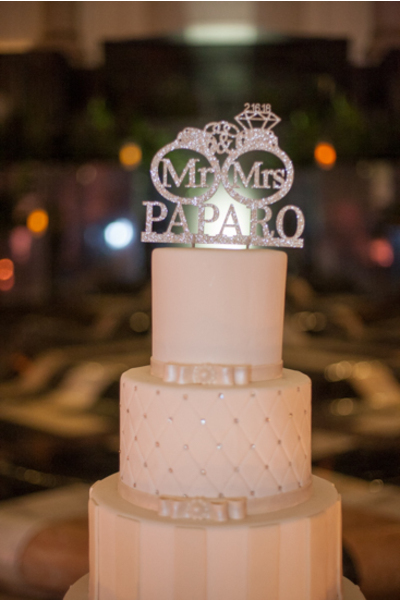 Christi and Anthony’s detailed wedding cake and a Philadelphia”Love” ice sculpture caught everyone’s attention! 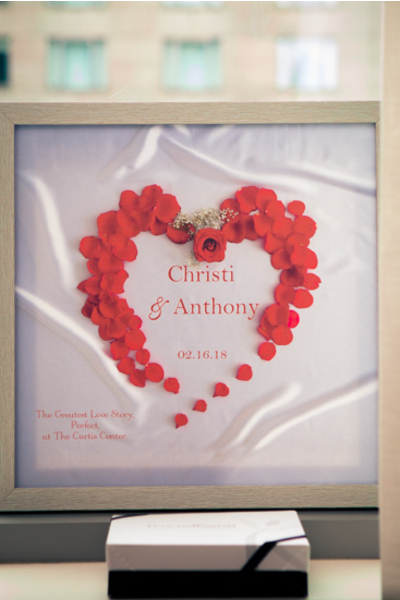 Congratulations, again, to Christi and Anthony. 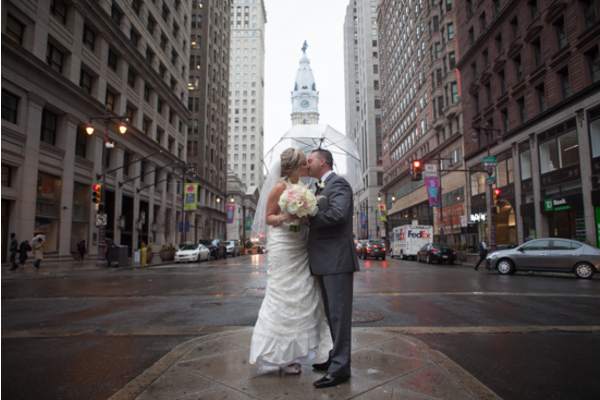 We hope you enjoy the city of Philadelphia together forever!